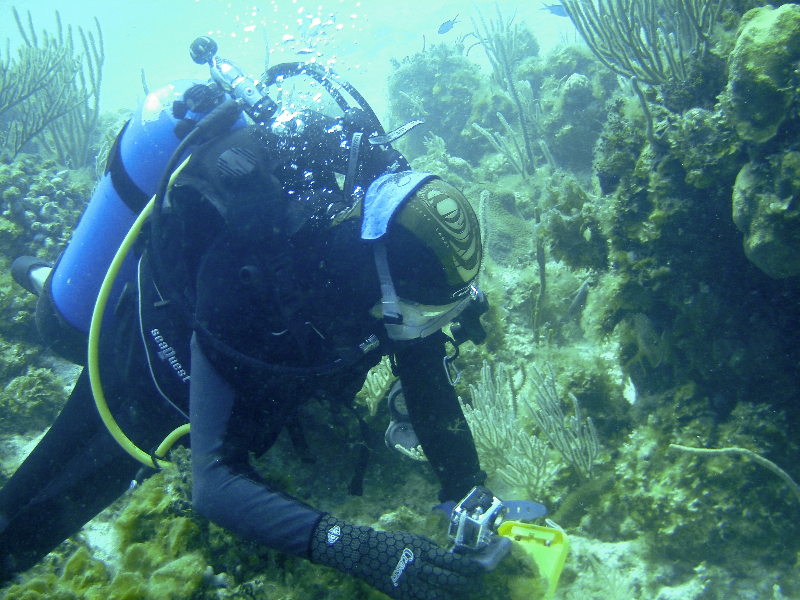 Captain Renaud’s career in oceanography began at the Naval Academy where he earned a Bachelor of Science Degree in Oceanography in 1979. 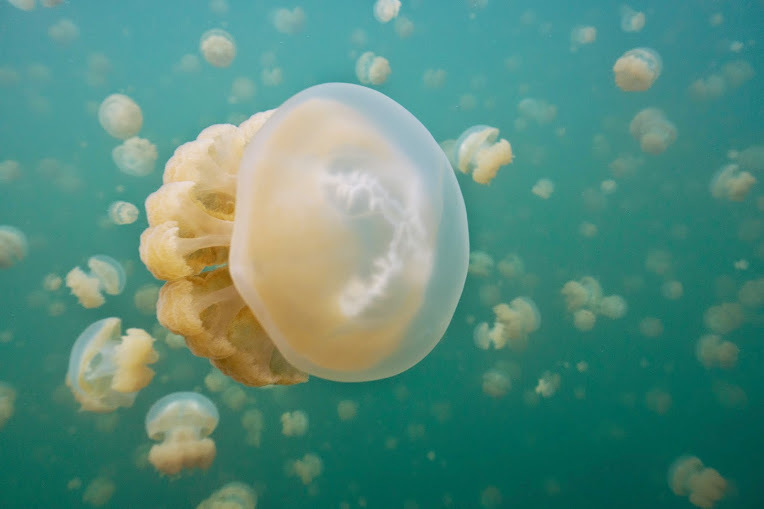 During his distinguished 25-year career in the Navy, he served as the oceanographer for an aircraft carrier (USS Theodore Roosevelt), was the lead oceanographer for the Commander, Second Fleet, and his naval career culminated as the Commanding Officer of the Naval Oceanographic Office. 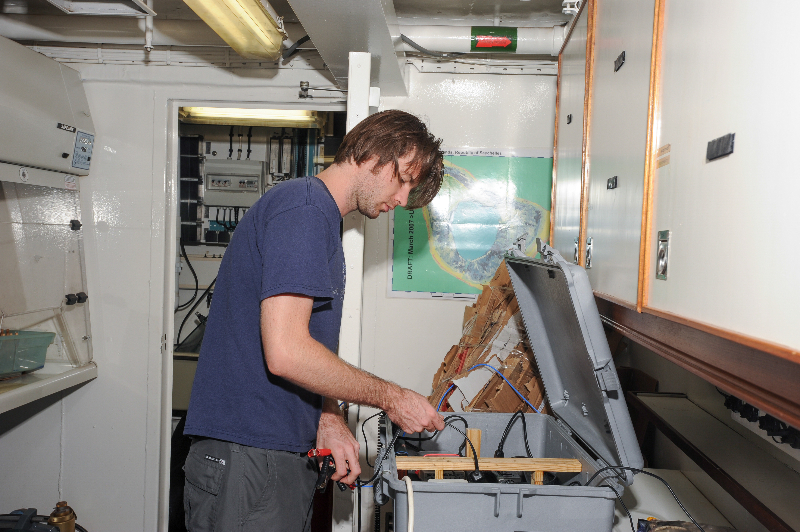 His naval career took him to all corners of the earth. 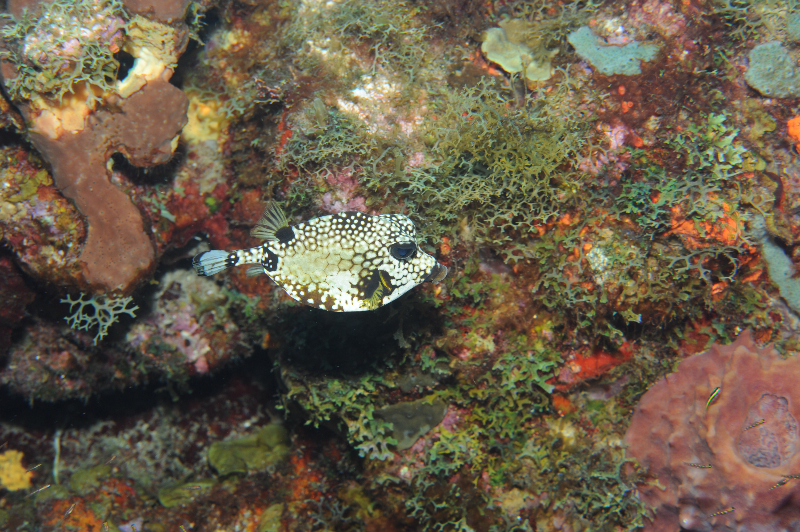 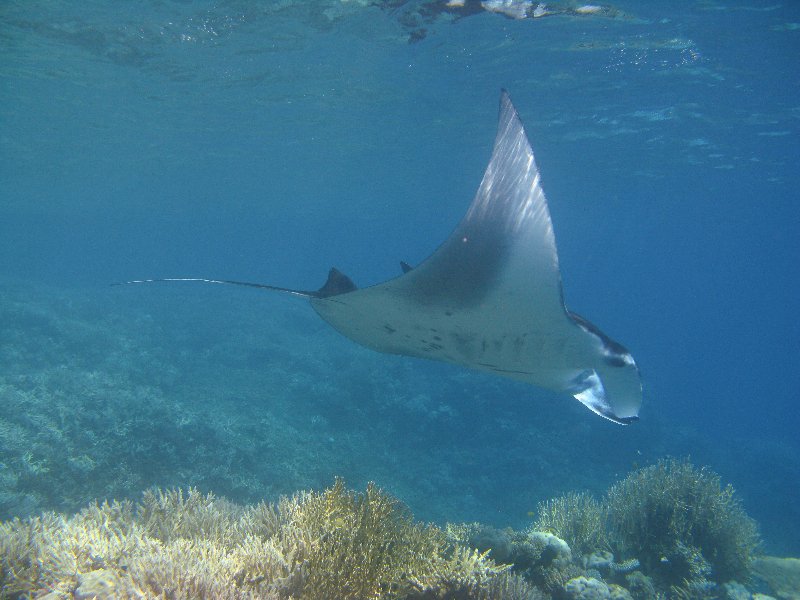 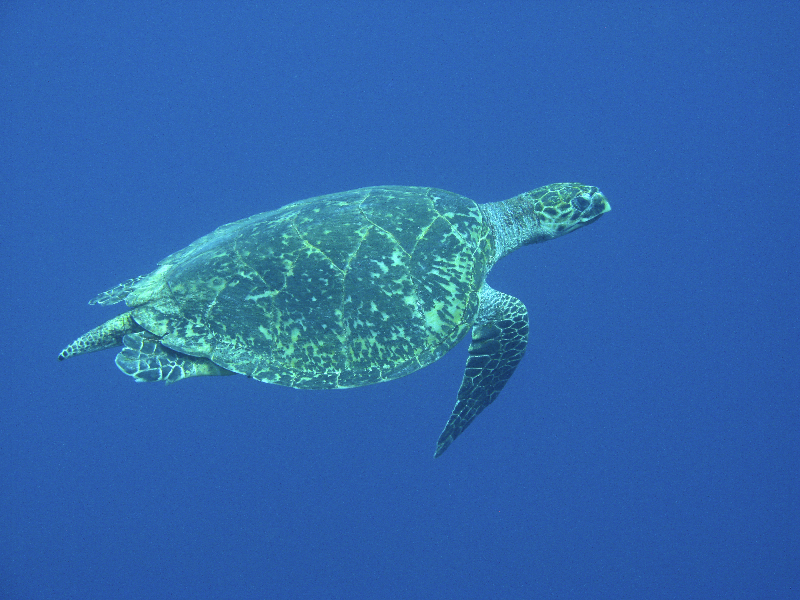 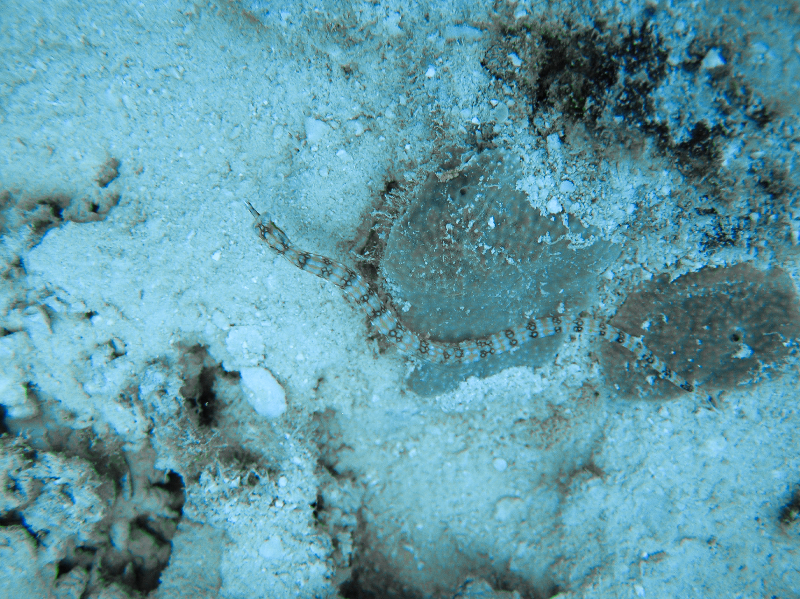 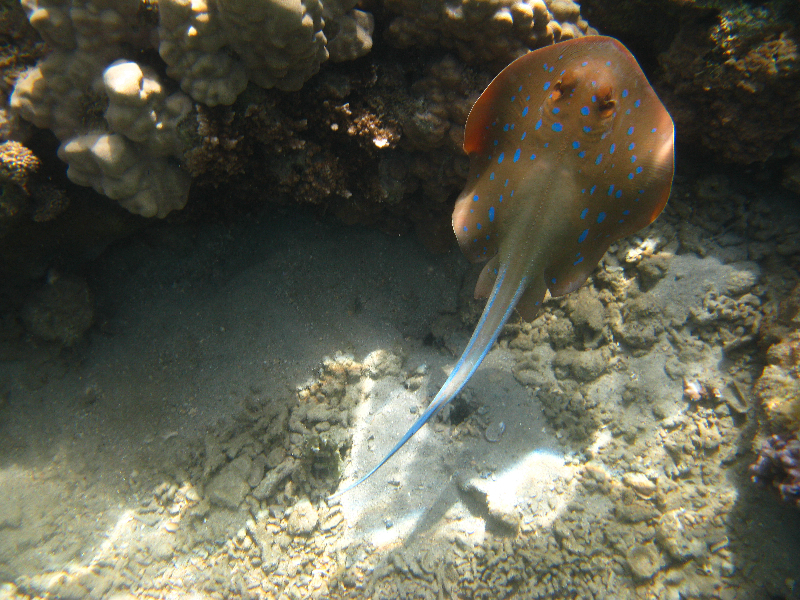 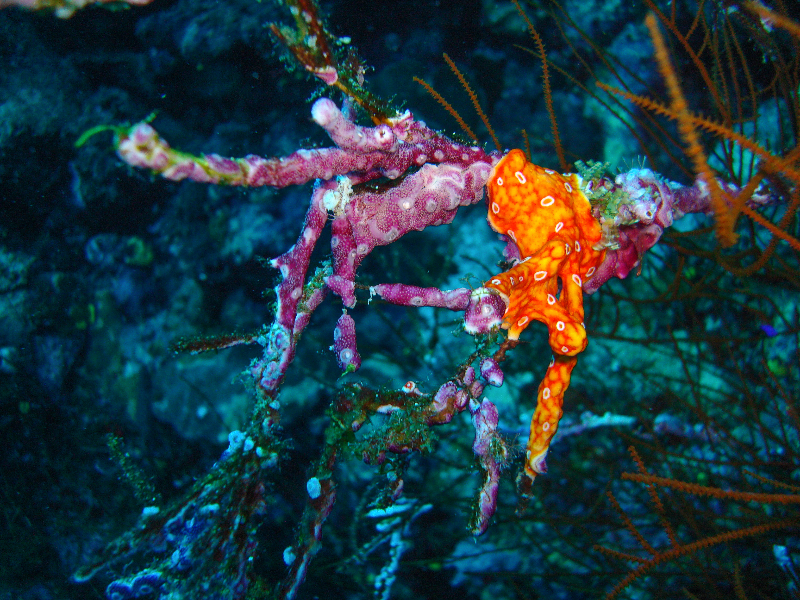 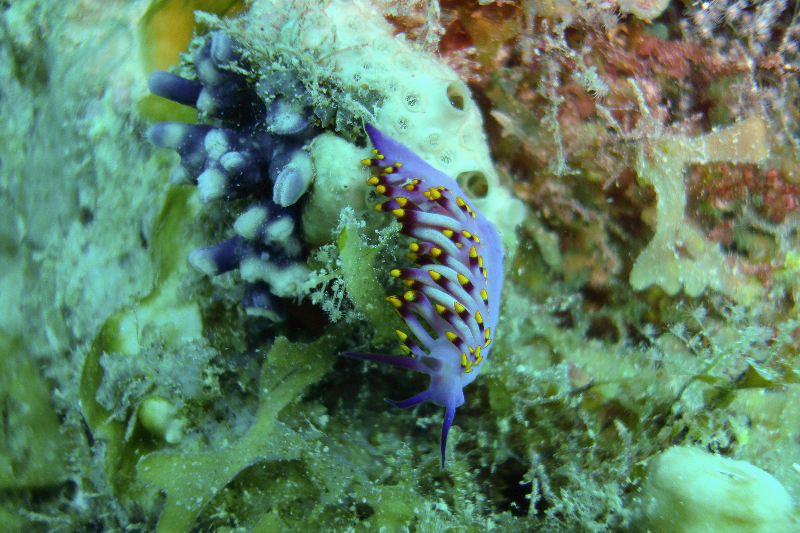 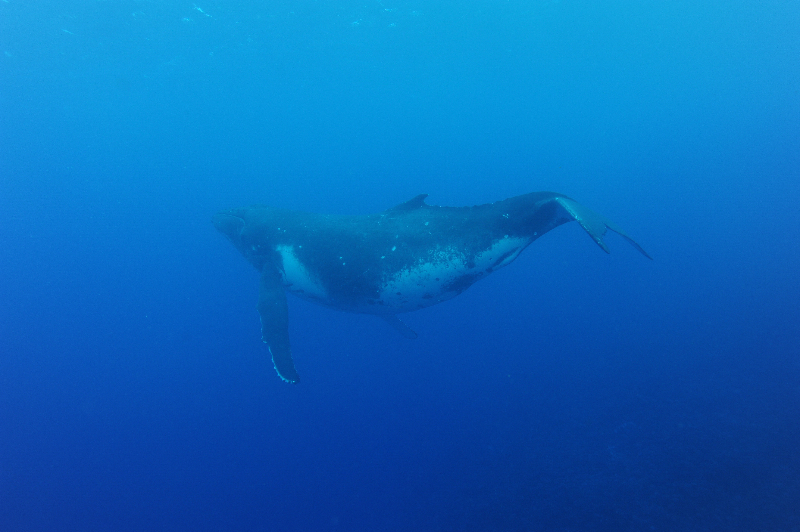 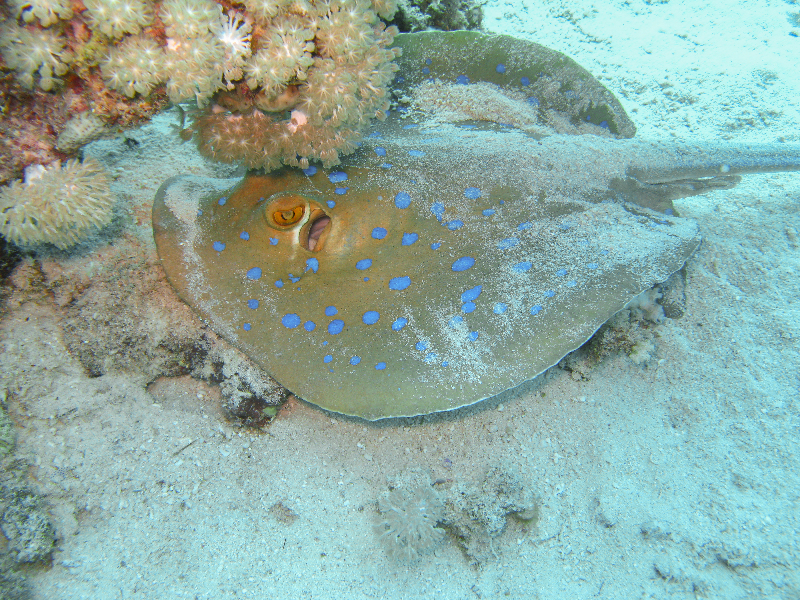 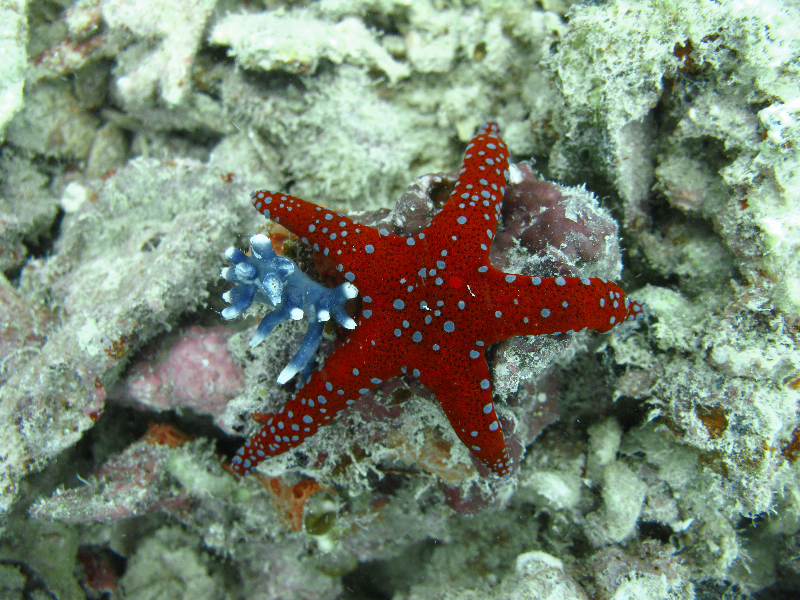 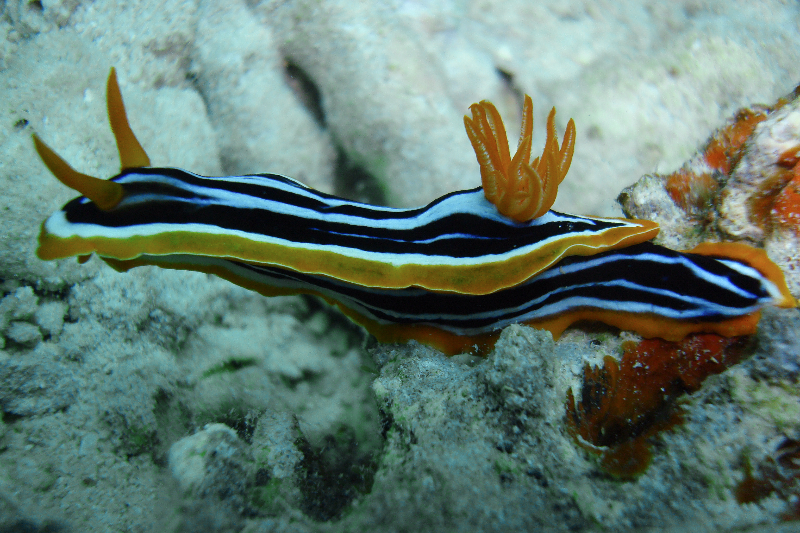 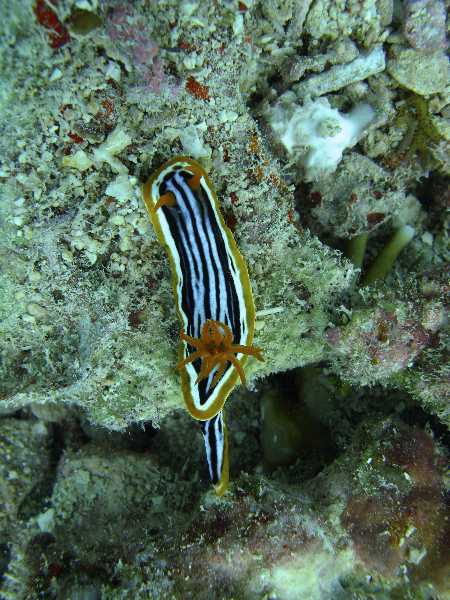 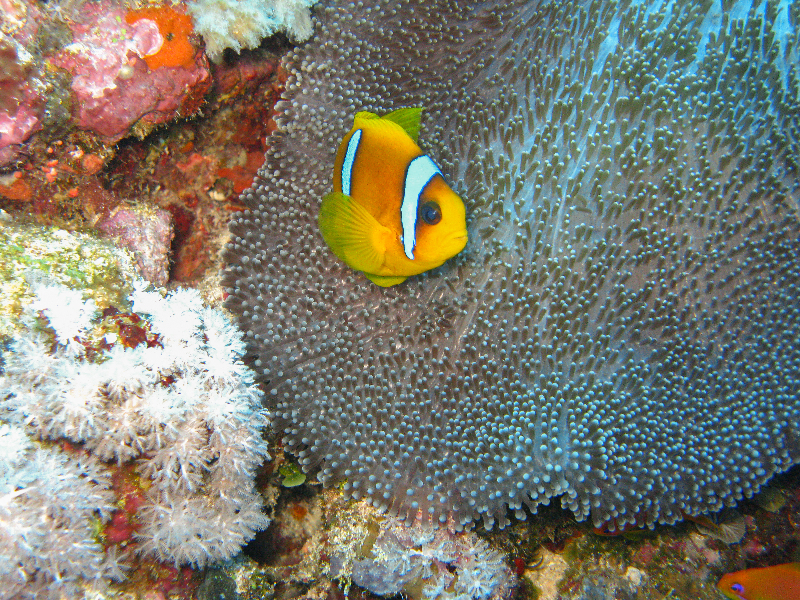 His hobbies include being a PADI SCUBA Instructor, avid sailor, backpacker, and skier. 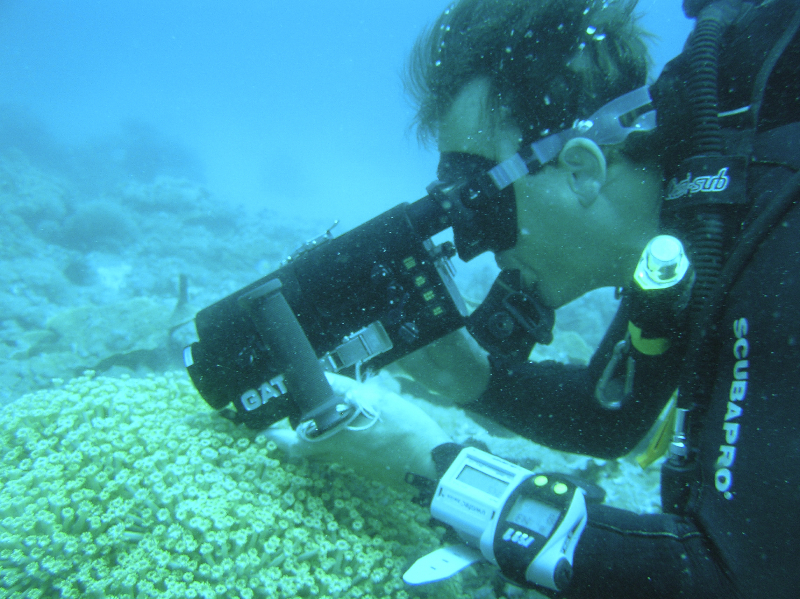 Phil has earned master’s degrees in Oceanography, Meteorology, Strategic Studies, and Business Administration. 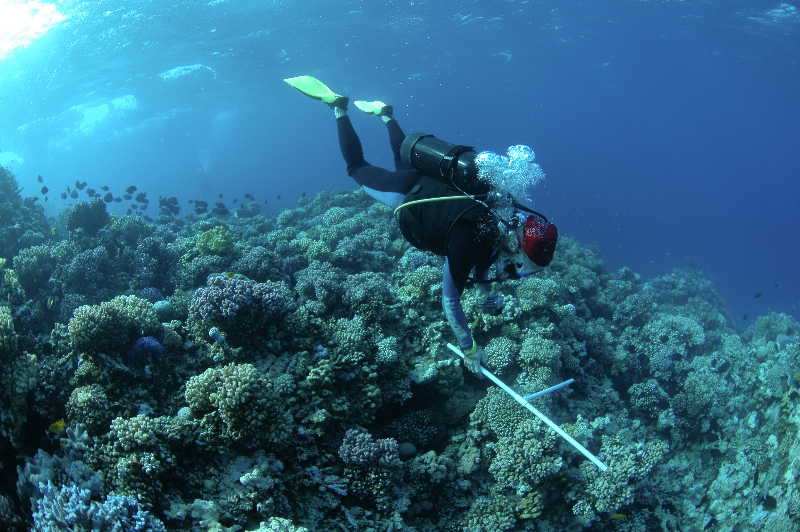 He has been leading the Khaled bin Sultan Living Oceans Foundation for the past decade and has developed the Foundation into a world-class scientific organization dedicated to conservation of the marine environment, particularly coral reef ecosystems. 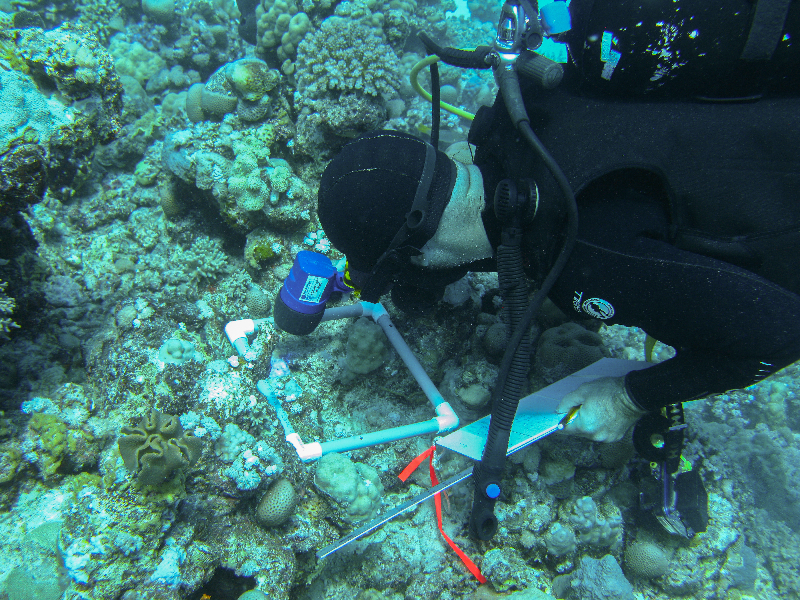 Presently, Phil is concentrating on fulfilling Prince Khaled’s vision of circumnavigating the globe to combat the rapid decline in coral reef health through the Foundation’s ambitious Global Reef Expedition program. 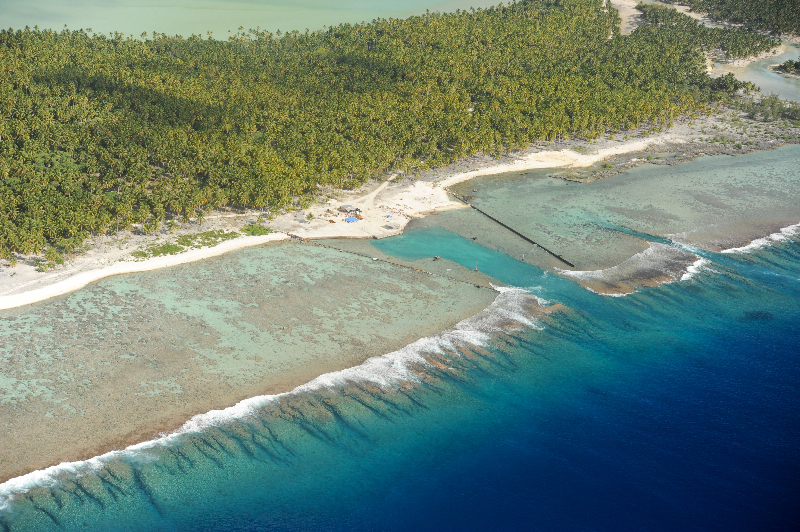 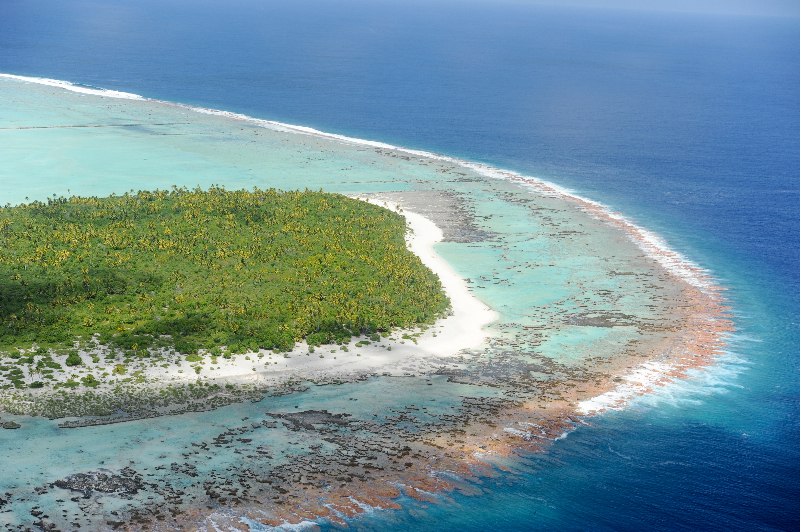 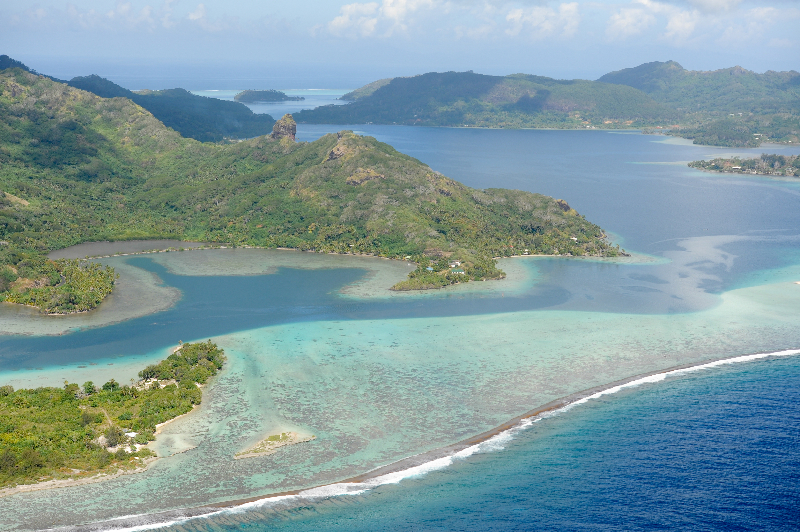 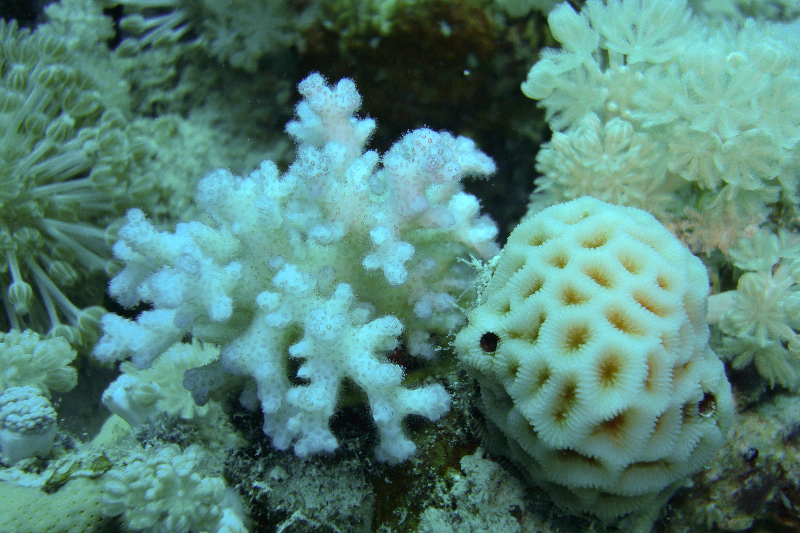 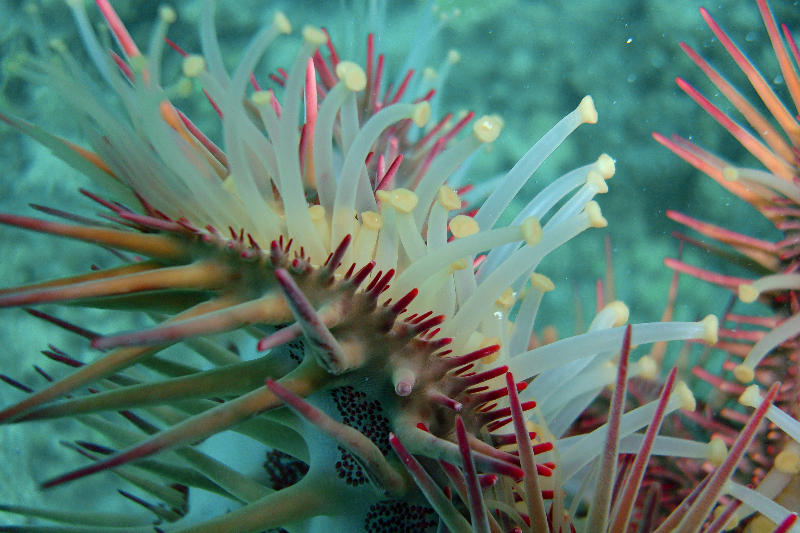 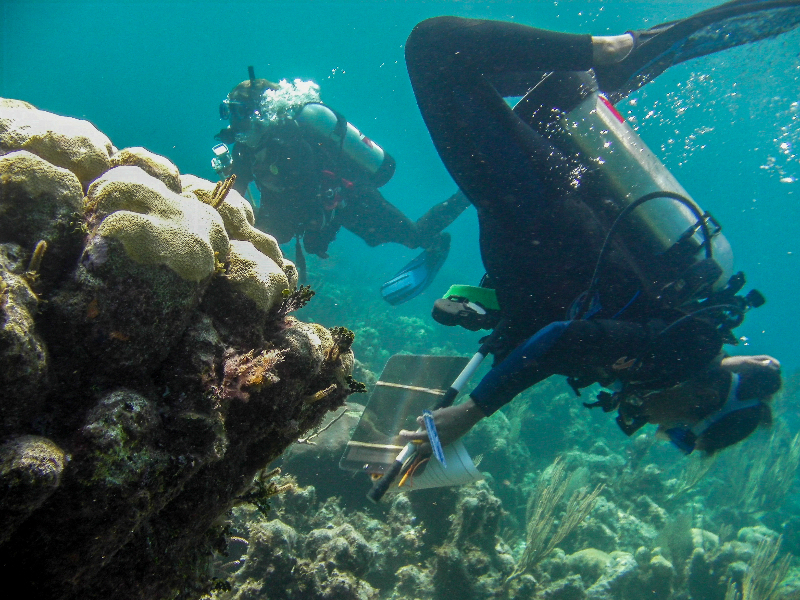 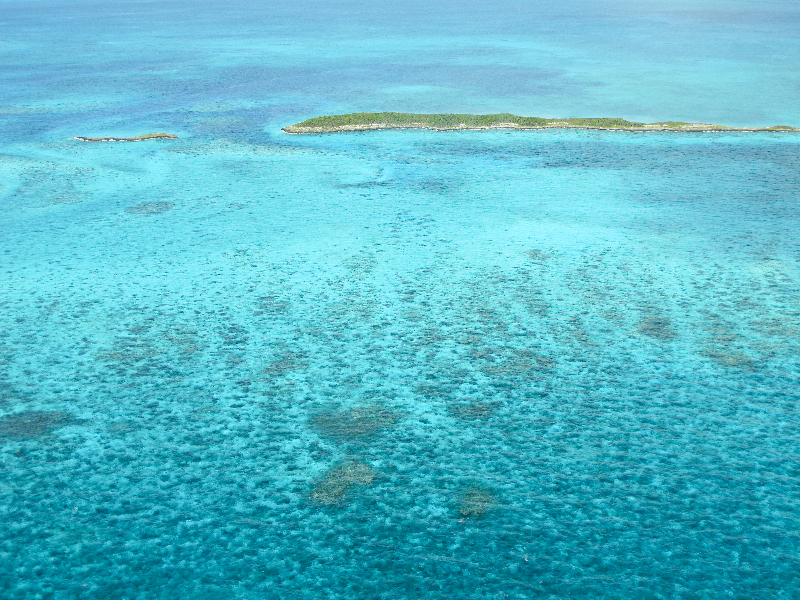 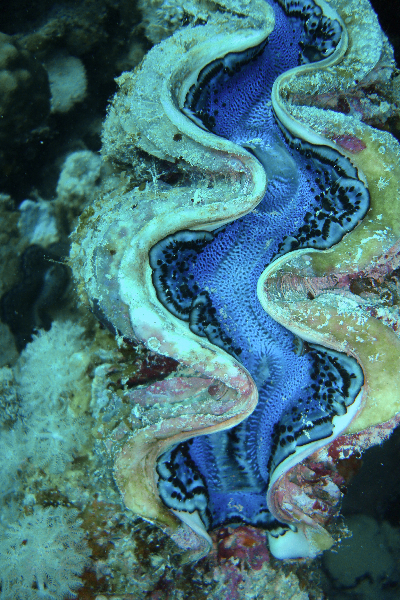 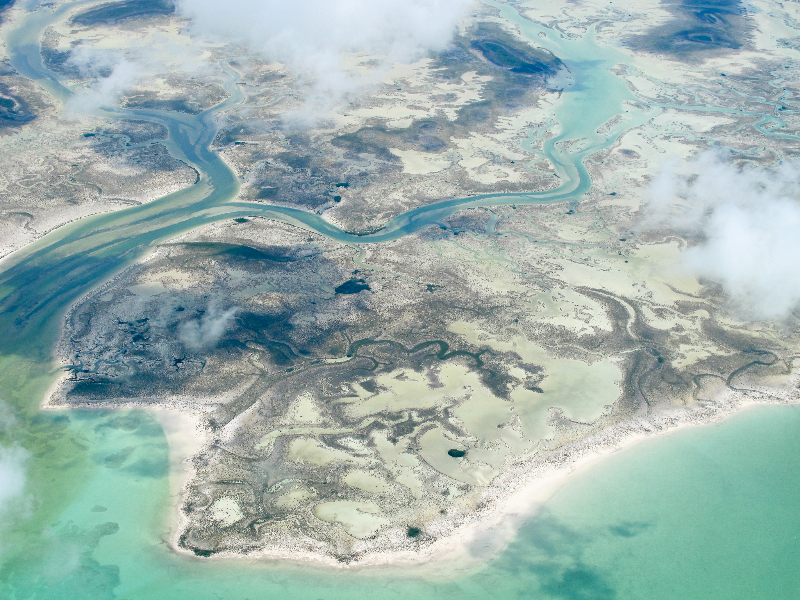 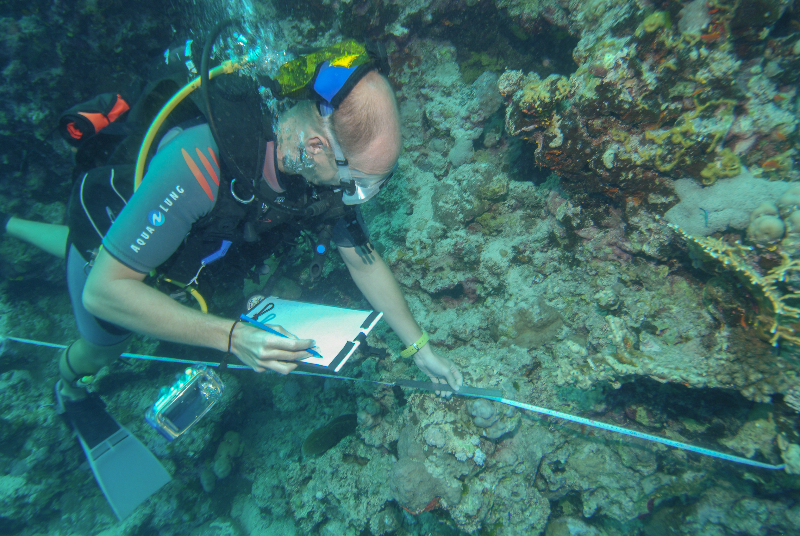 This fast-paced expedition is achieving the goals of mapping and surveying coral reefs around the world to rapidly close scientific knowledge gaps and to identify factors that either harm reefs or contribute to their resilience. 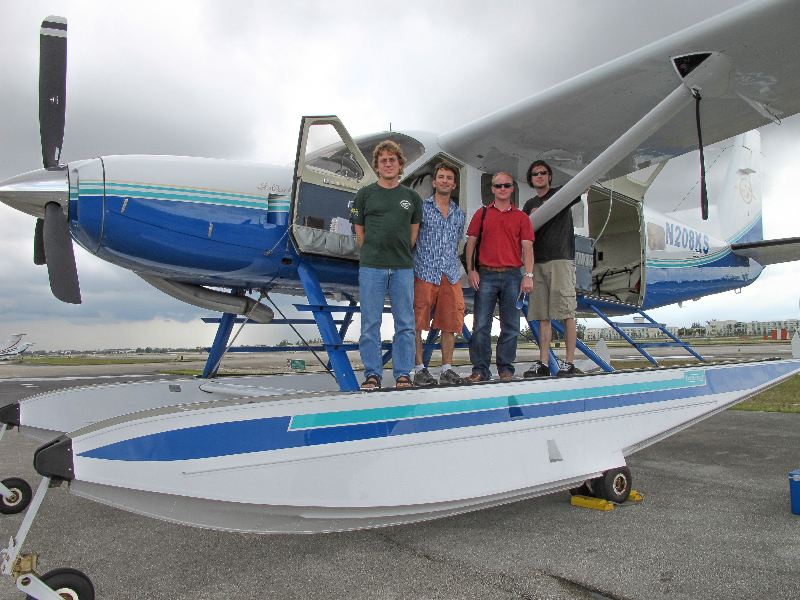 Dr. Andrew Bruckner, Dr. Sam Purkis, and Jeremy Kerr on the Golden Eye. 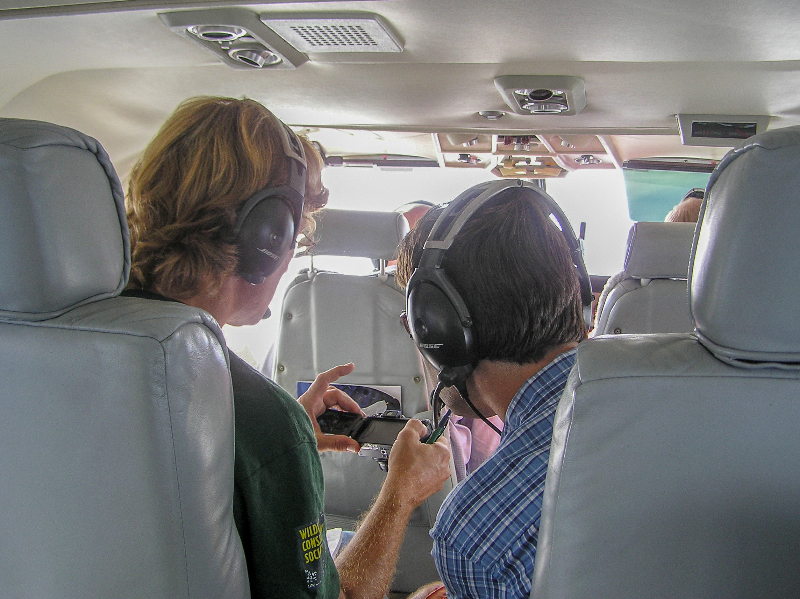 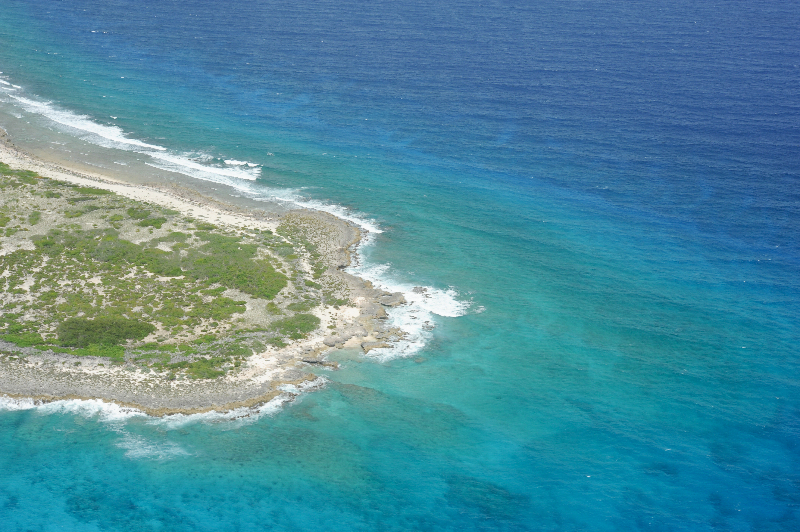 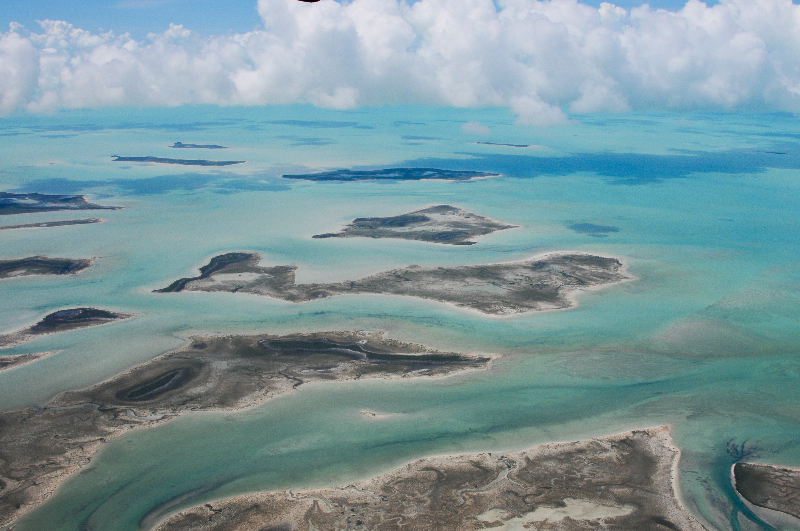 Dr. Andrew Bruckner and Dr. Sam Purkis conduct an aerial survey. 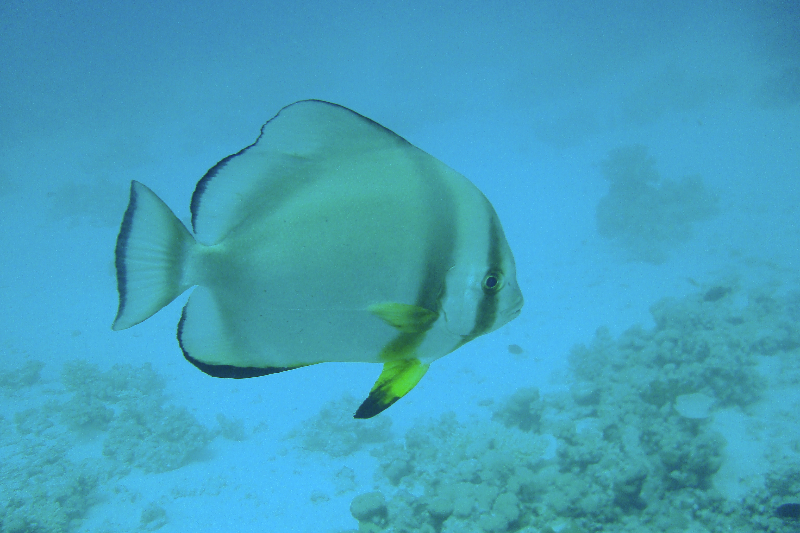 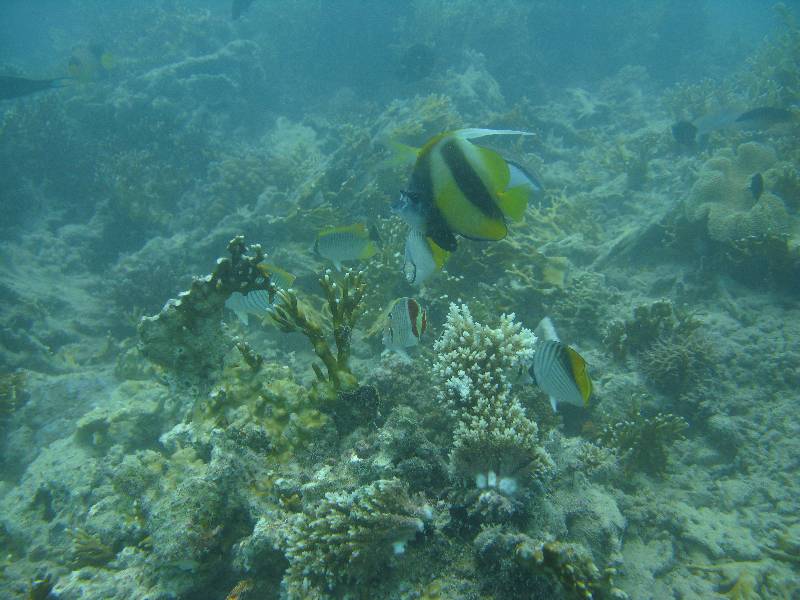 French Grunts, Bluestriped Grunts, and Blue Tang. 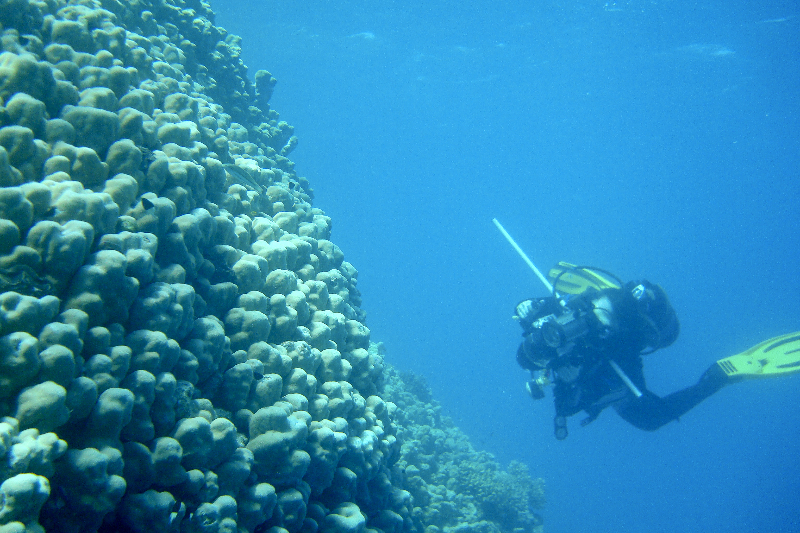 Scientific divers perform a survey. 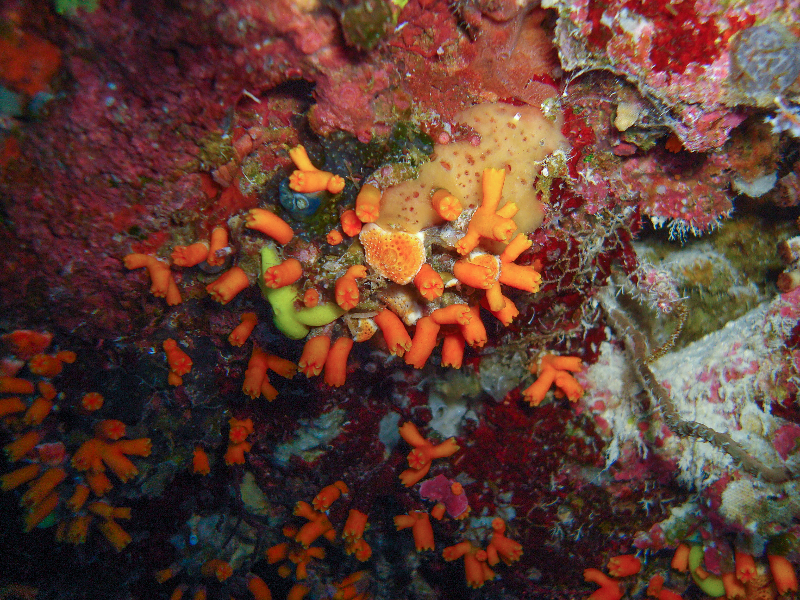 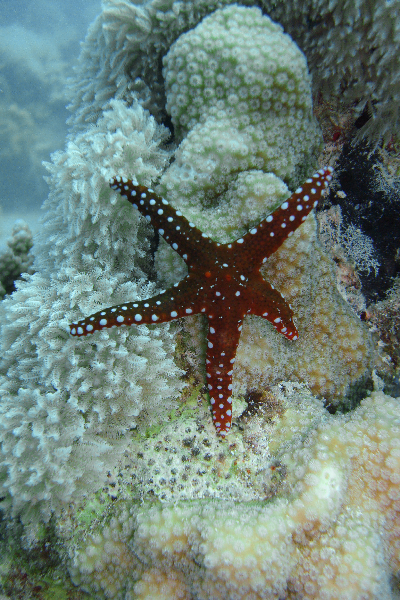 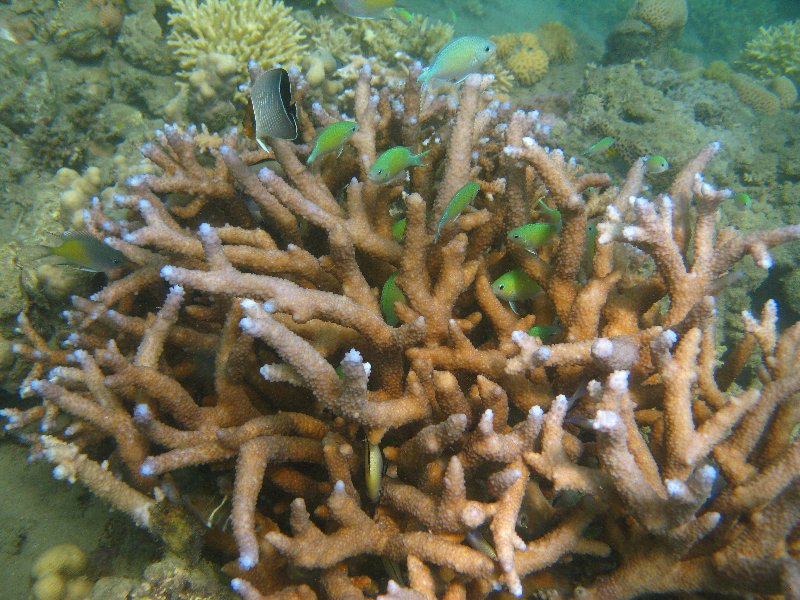 Boulder Star Coral, Finger coral and several types of soft corals, algae, and sponges. 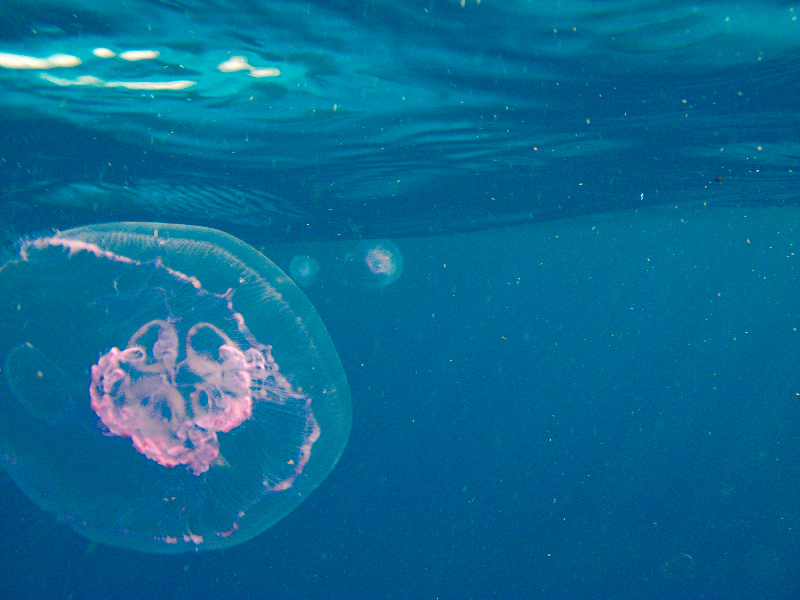 Although technically plankton, these jellies do not sit still. 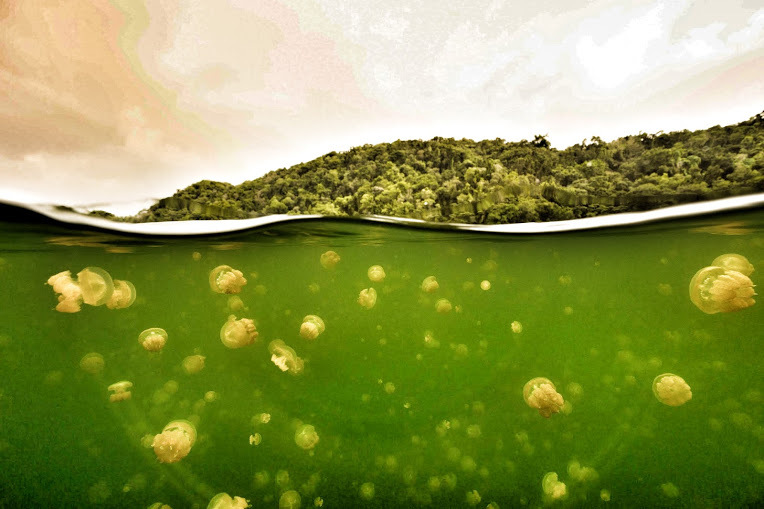 In order to provide the right amount of sunlight for their symbiotic algae (and stay away from their only known predator- an anemone), every day they follow the path of the sun across the lake, avoiding the shade. 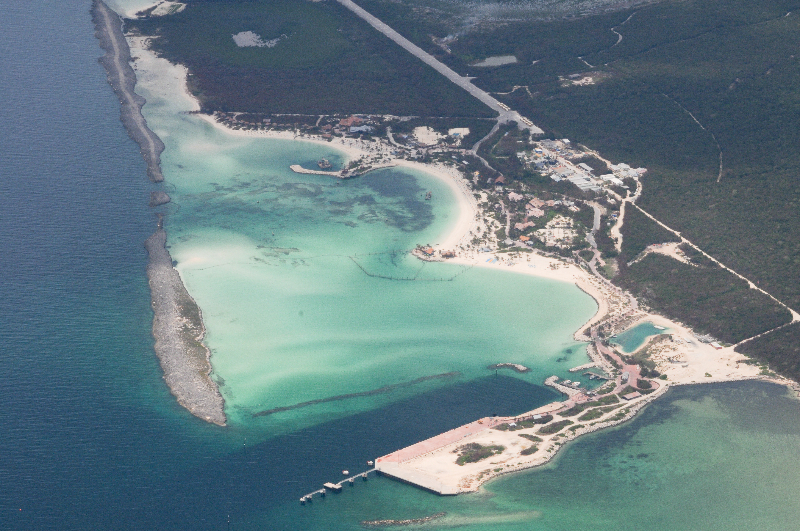 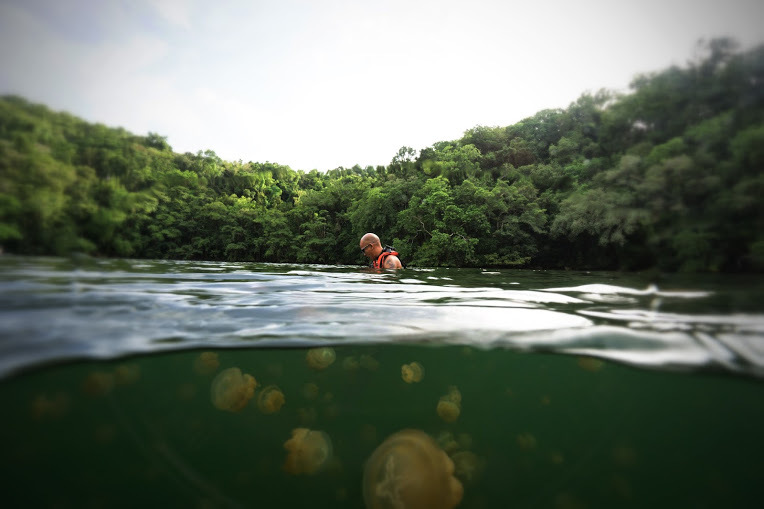 Tourists are allowed to snorkel in Jellyfish Lake, but no diving is allowed. 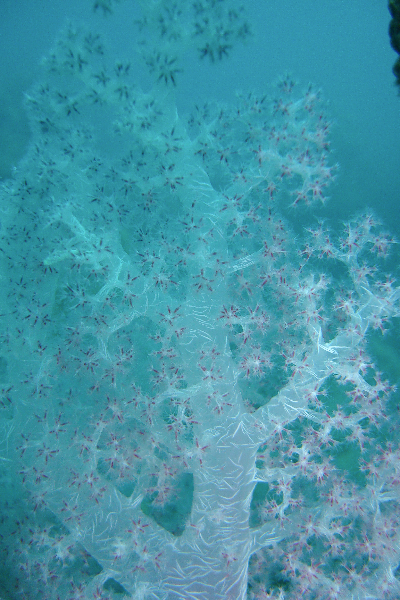 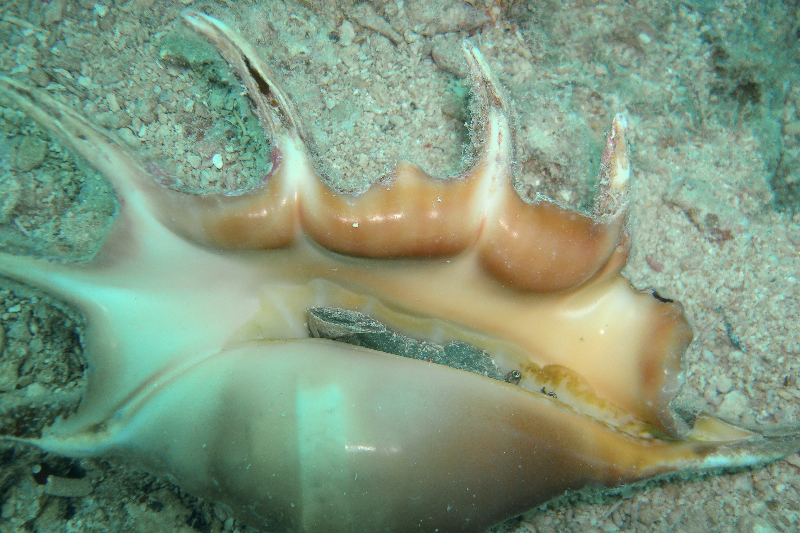 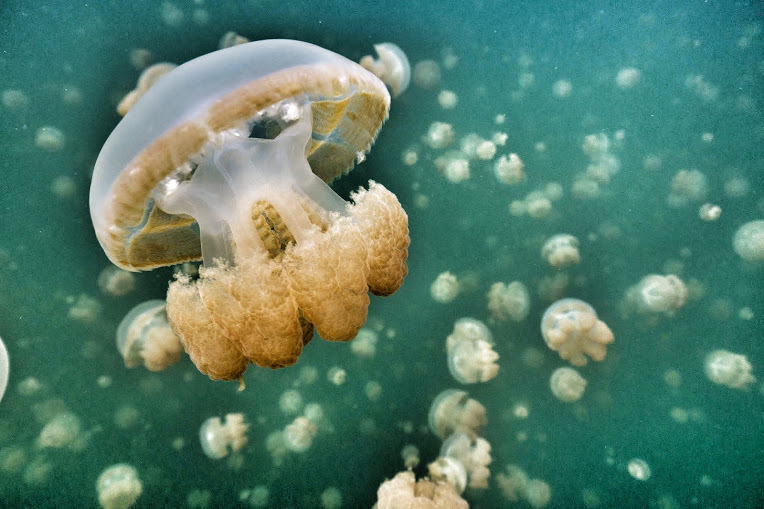 People can swim with these jellies without fear of being stung, these jellies lost their sting. 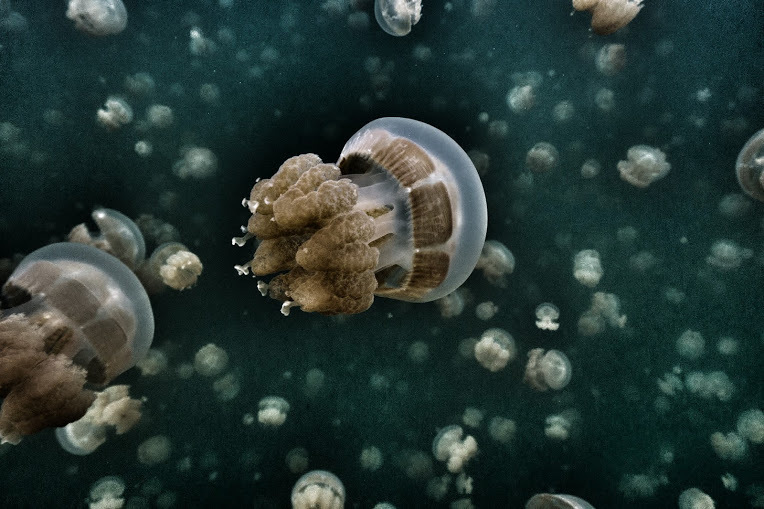 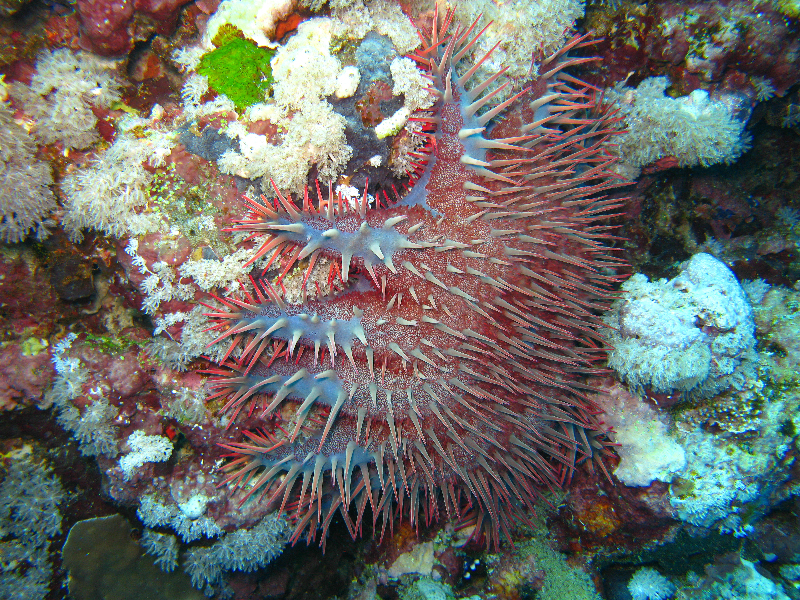 They still do have stinging cells, called nematocysts, but they're not strong enough to harm people. 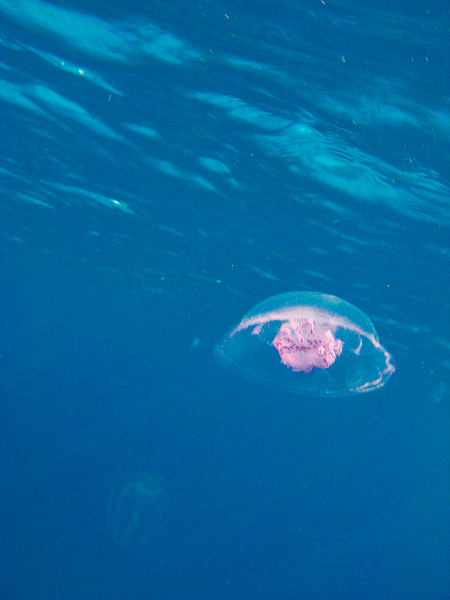 Although the jellyfish look big in these pictures, most of them are smaller than your hand. 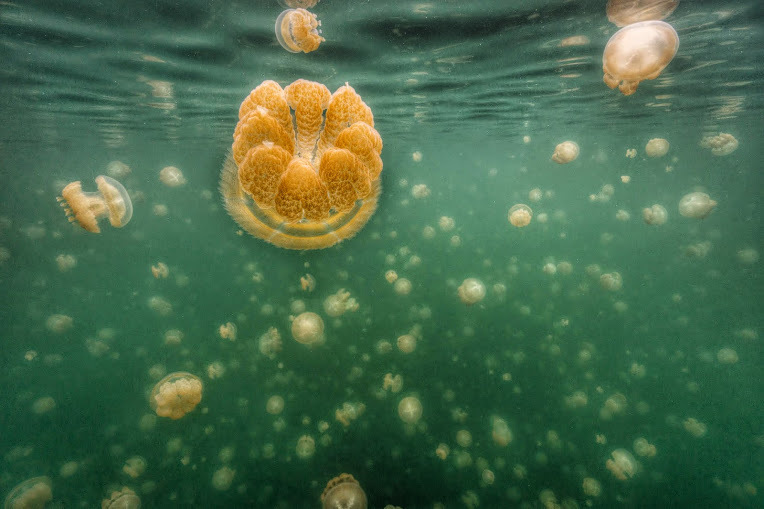 These jellies are only found in a marine few lakes on the island of Eil Malk in Palau. 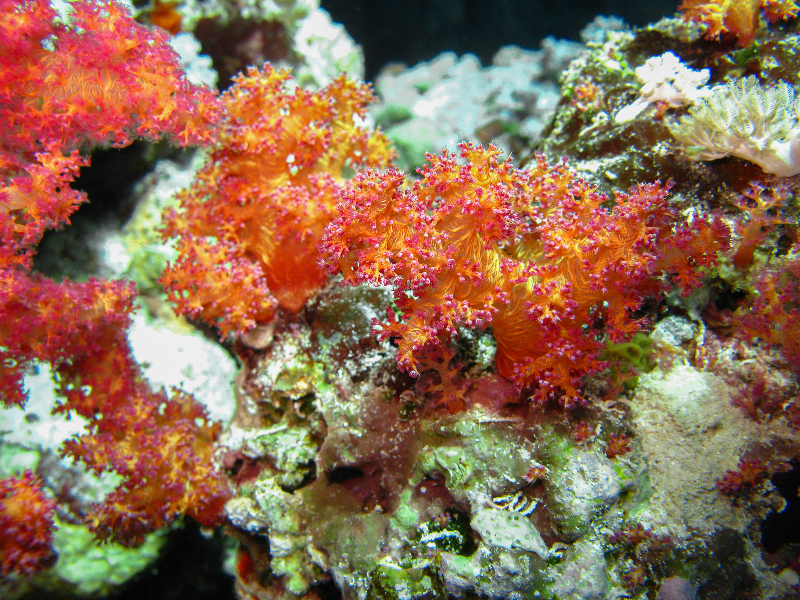 Amanda Williams mesuring dictyota algae. 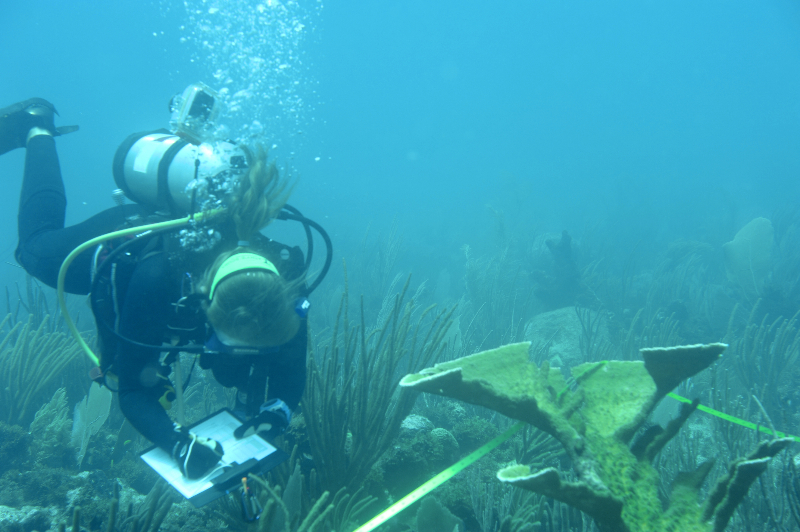 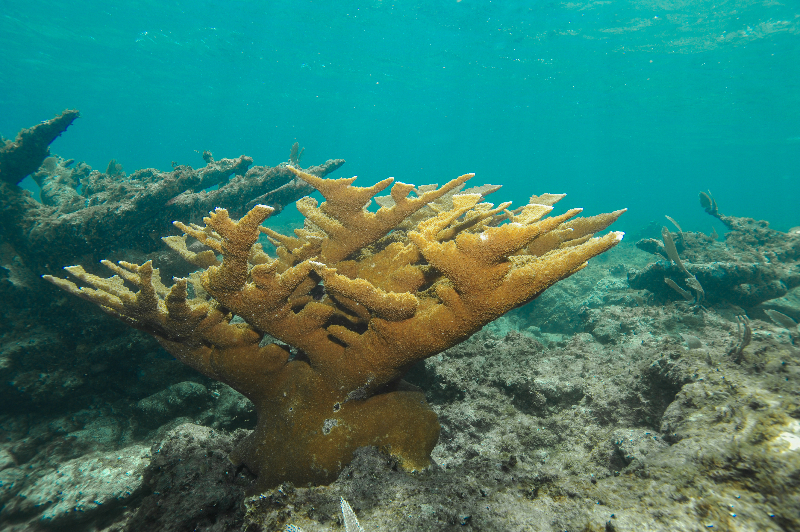 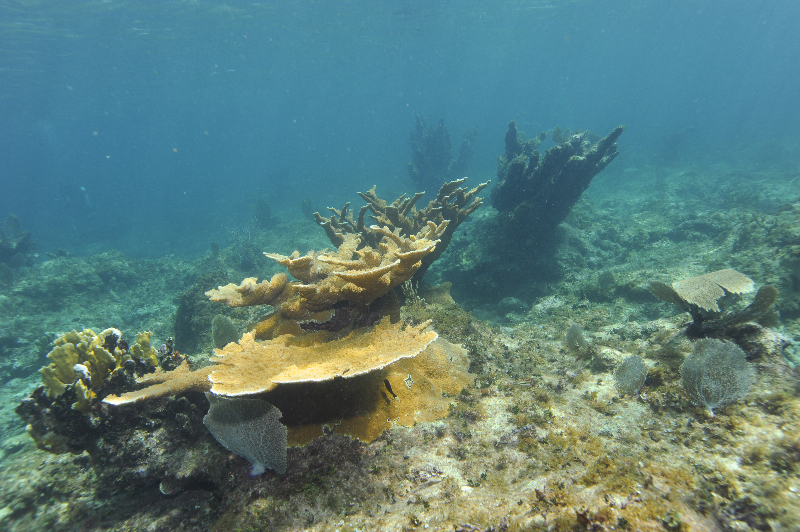 Amanda Williams taking notes about Elkhorn coral in a phototransect. 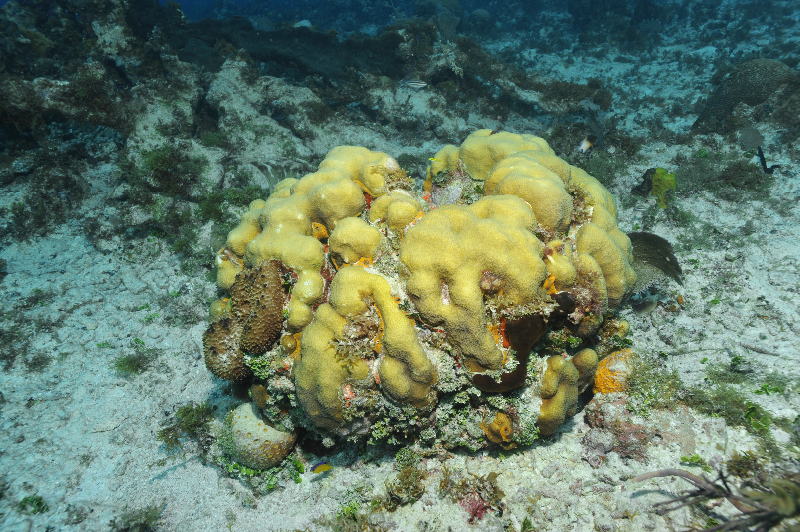 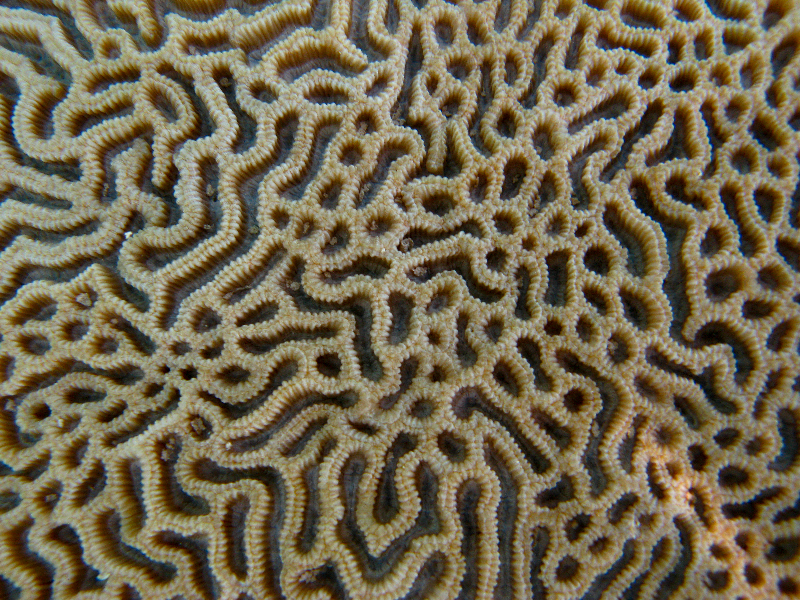 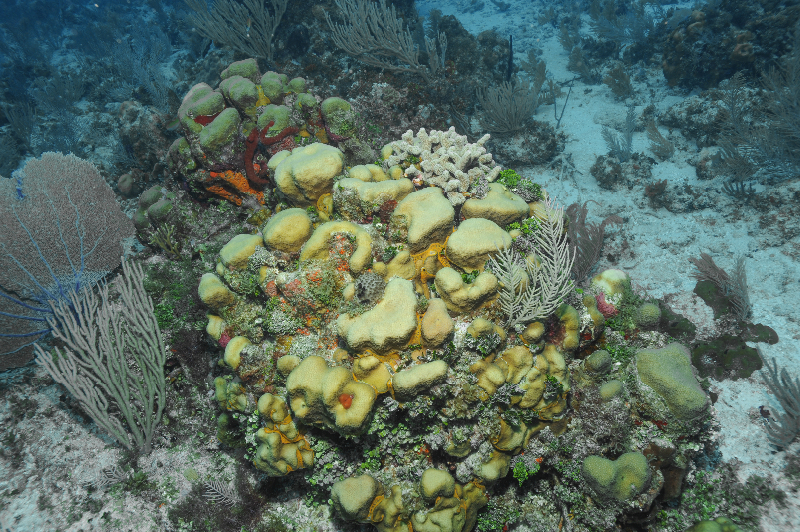 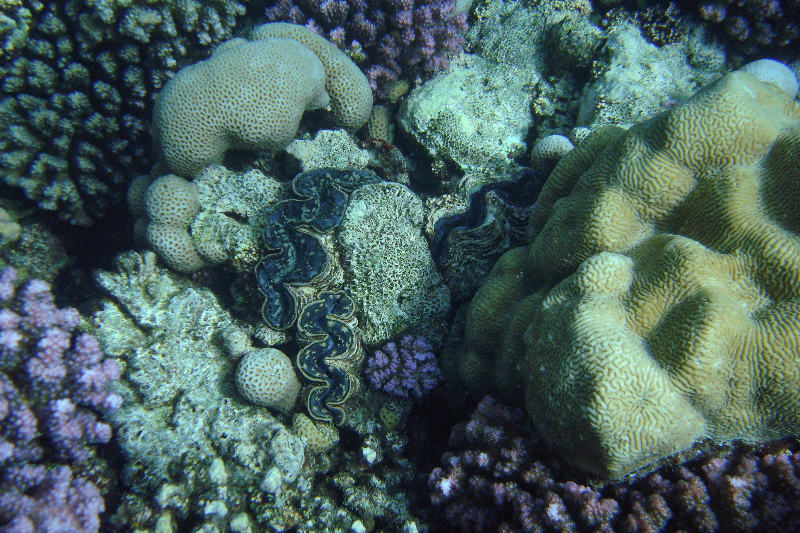 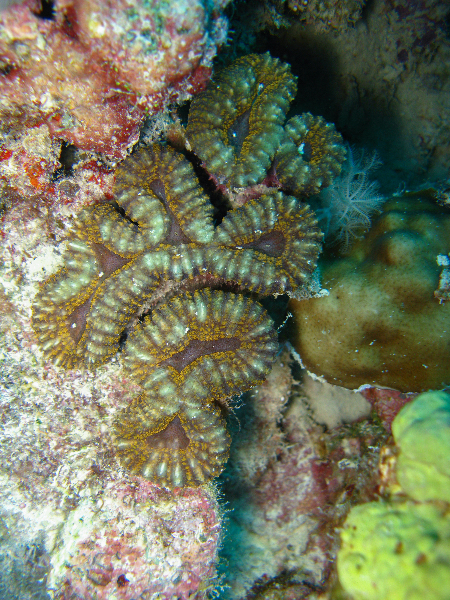 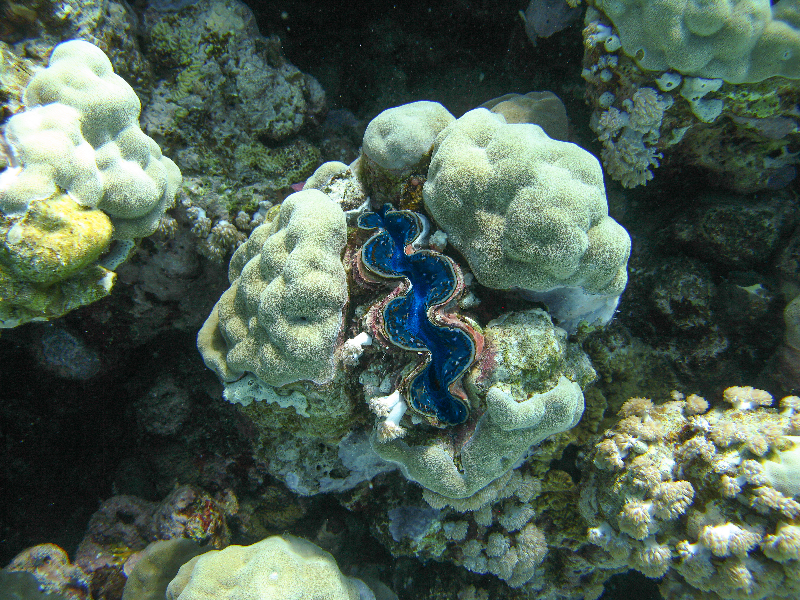 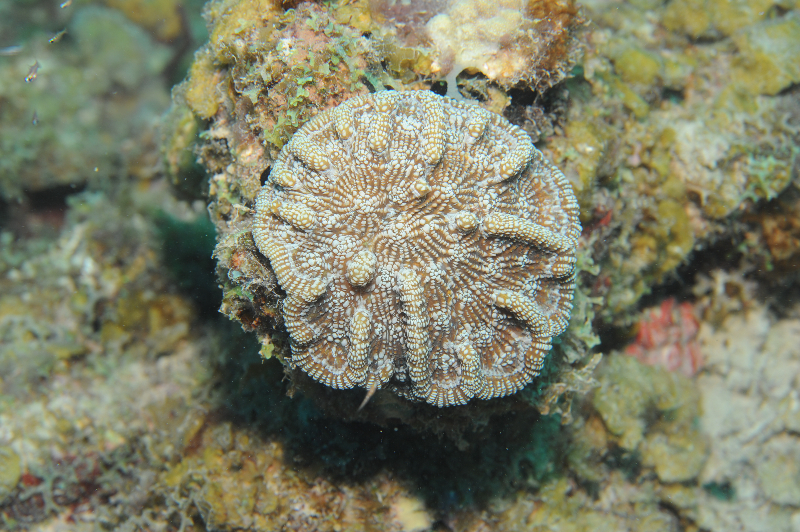 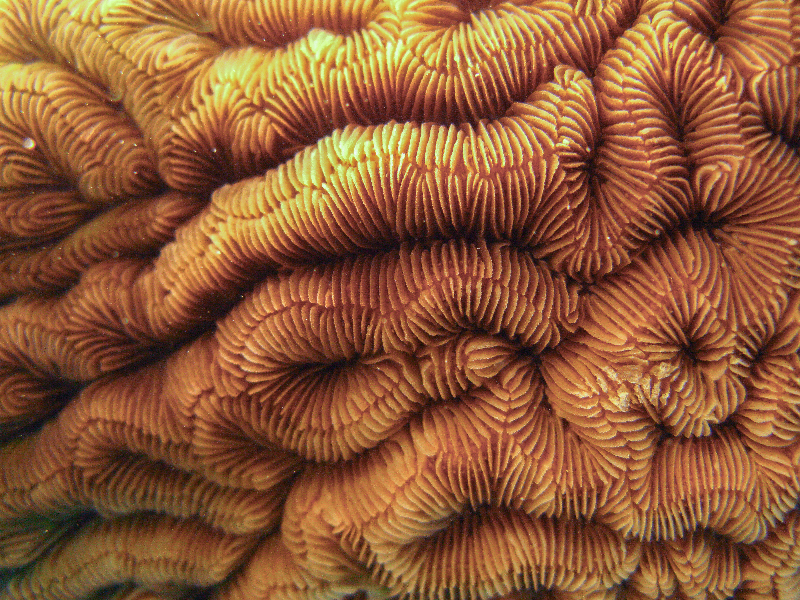 Grooved brain coral with yellow tube sponge and juvenile bluehead. 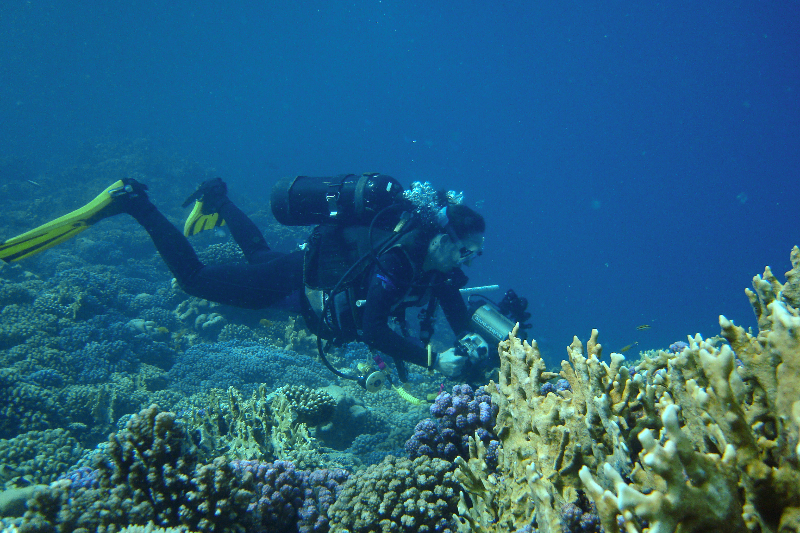 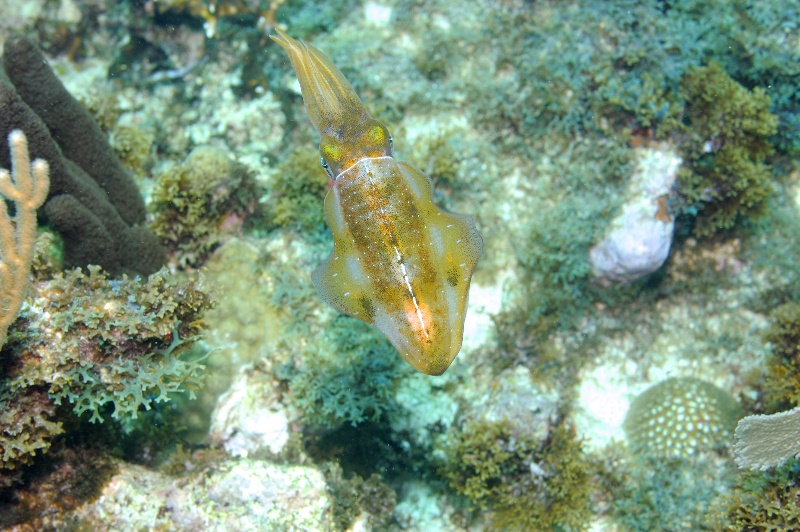 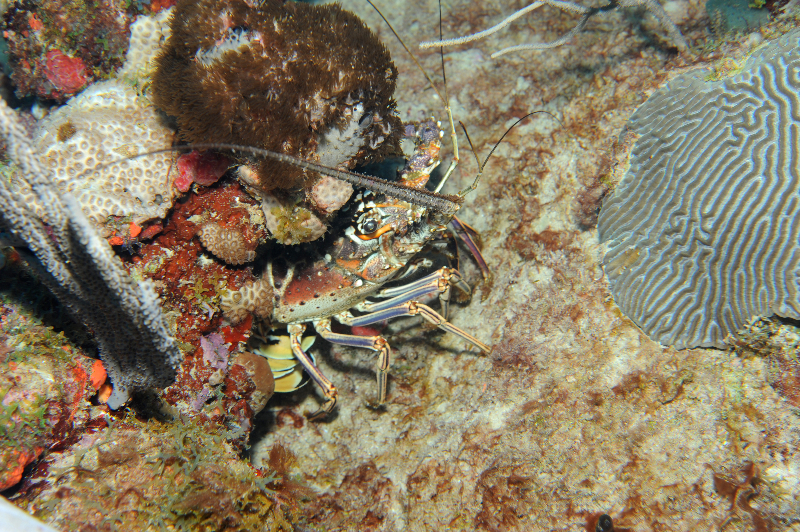 Scientific diver takes a phototransect. 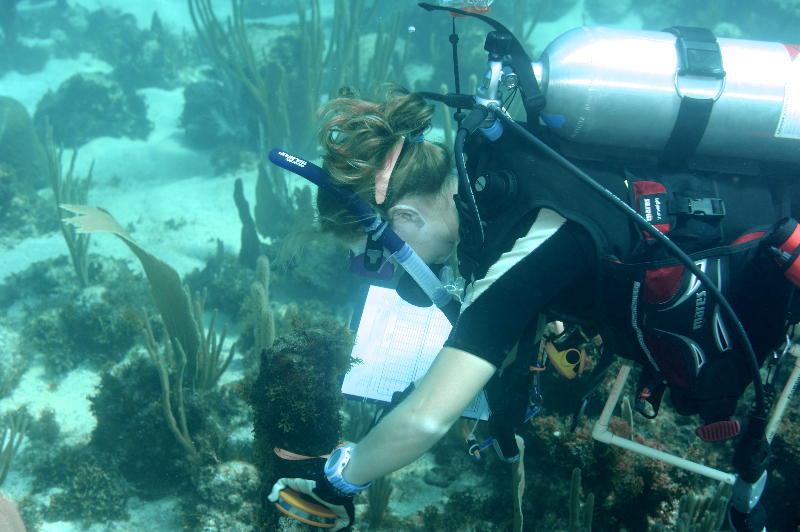 Agnessa Lundy works on a transect. 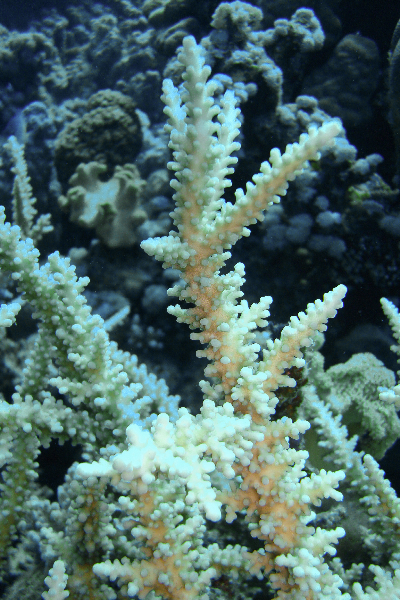 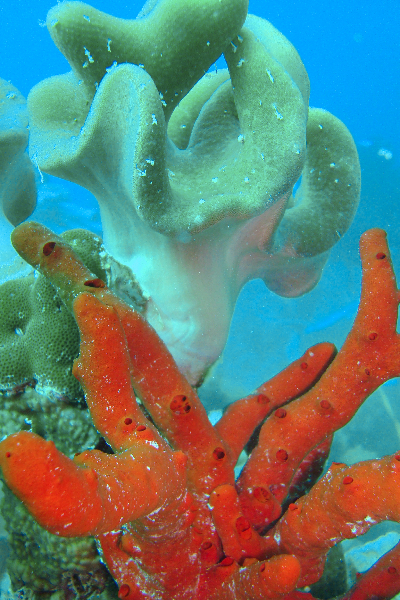 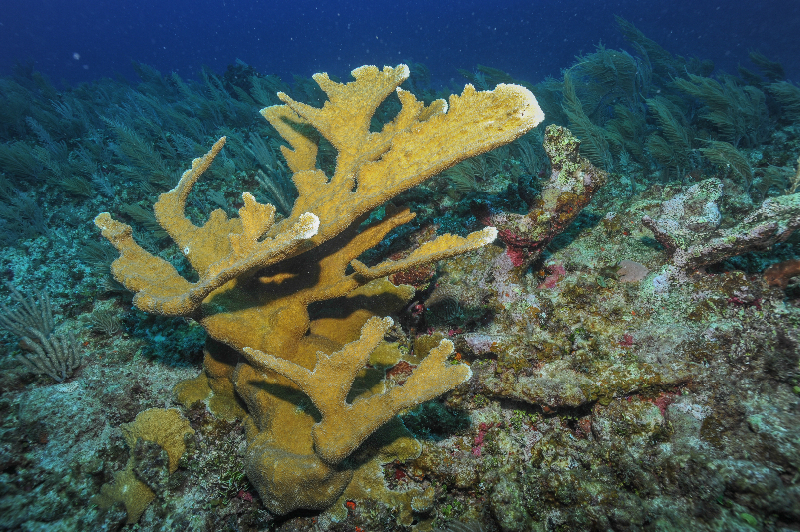 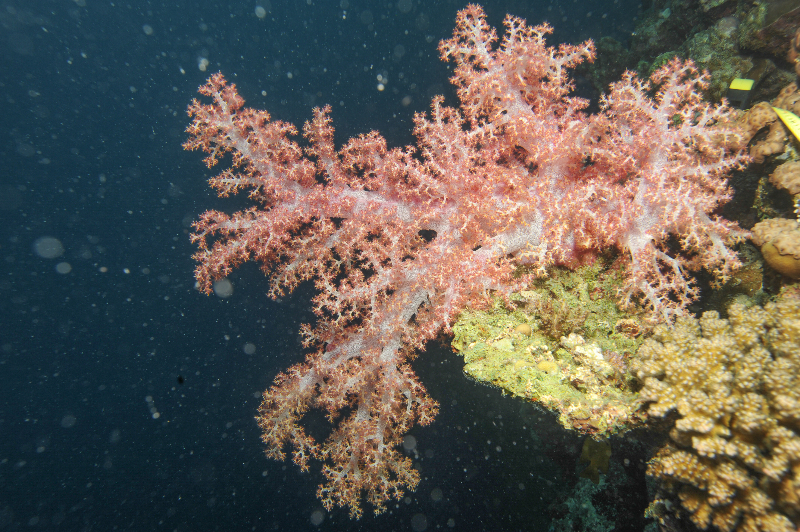 Elkhorn Coral and Blade Fire Coral. 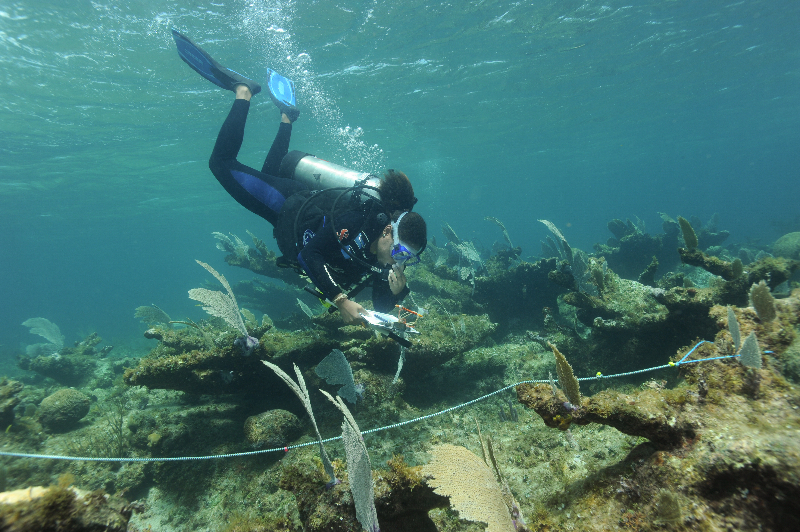 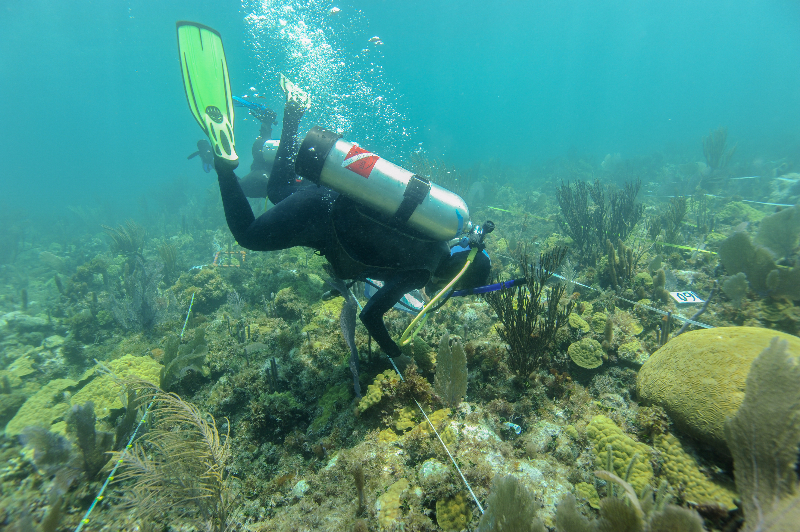 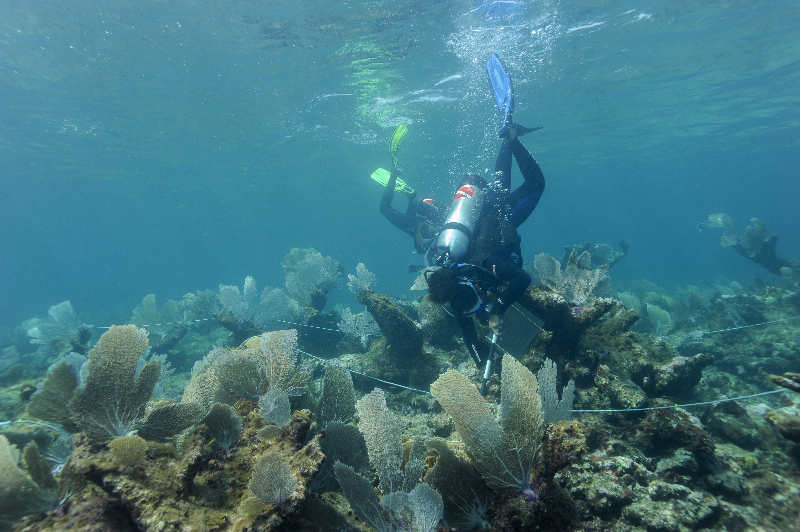 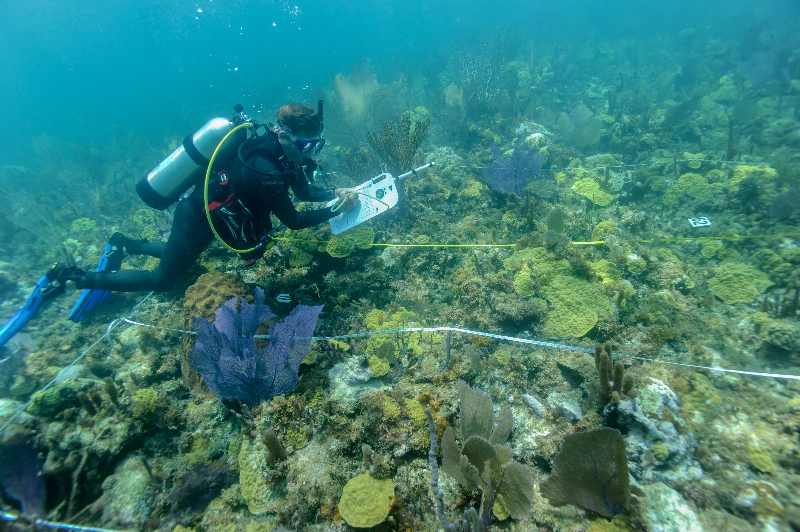 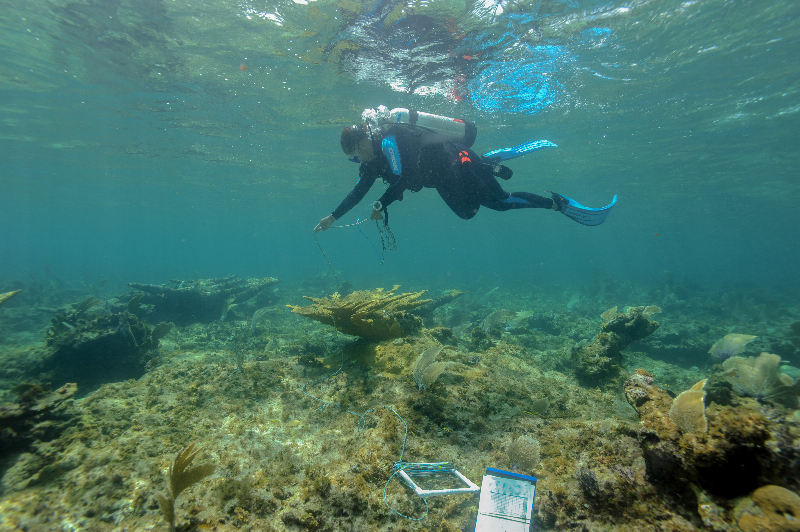 Matti Kiupel works on a quadrat near Elkhorn Coral. 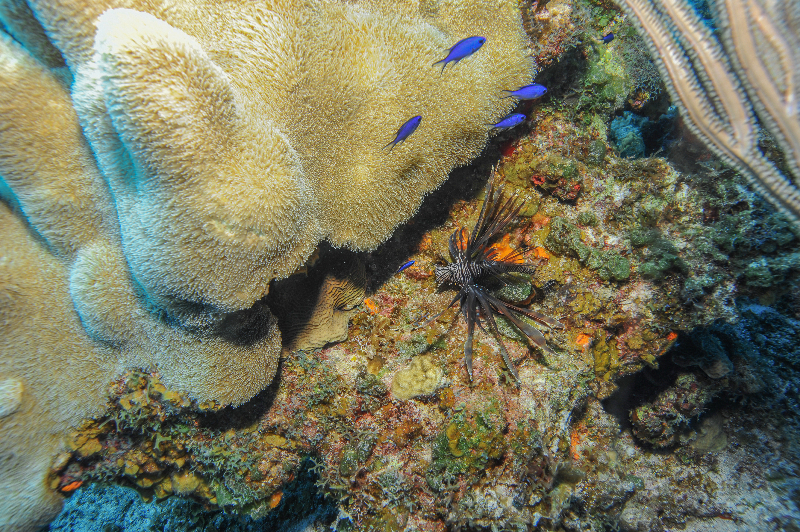 A Common Lionfish and Blue Chromis swim near Pillar Coral and Lettuce Coral. 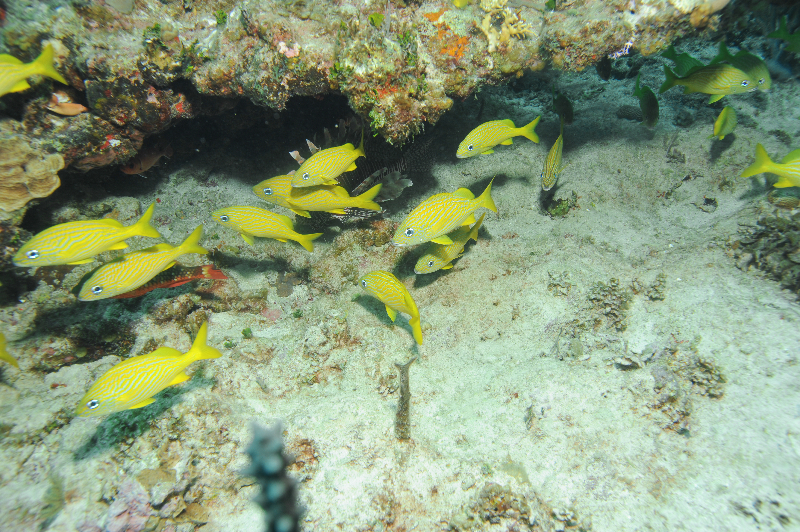 Common Lionfish, Stoplight Parrotfish, and Blackbar Soldierfishhide behind a group of French Grunts. 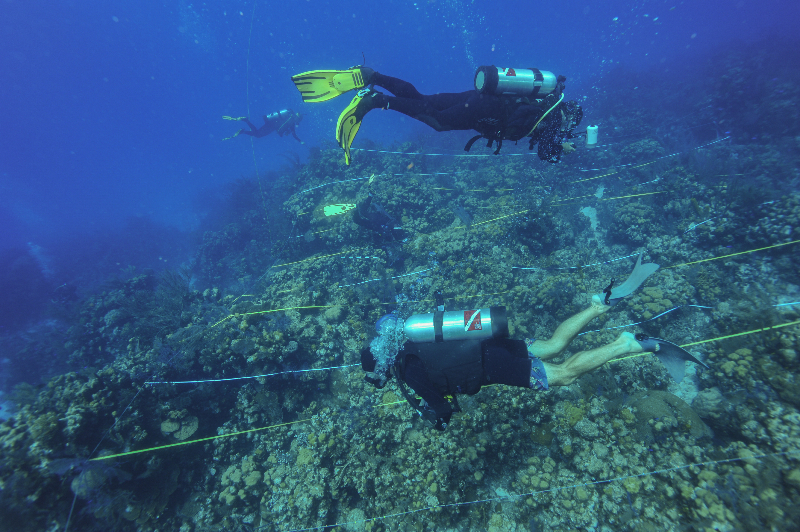 Dr. Andrew Bruckner and Dr. Bernard Reigl work on a transect. 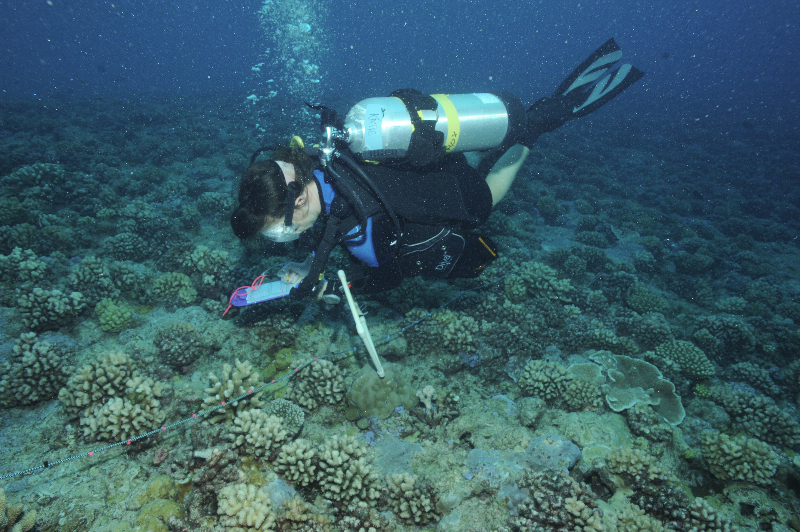 A member of the Science Team conducts a survey. 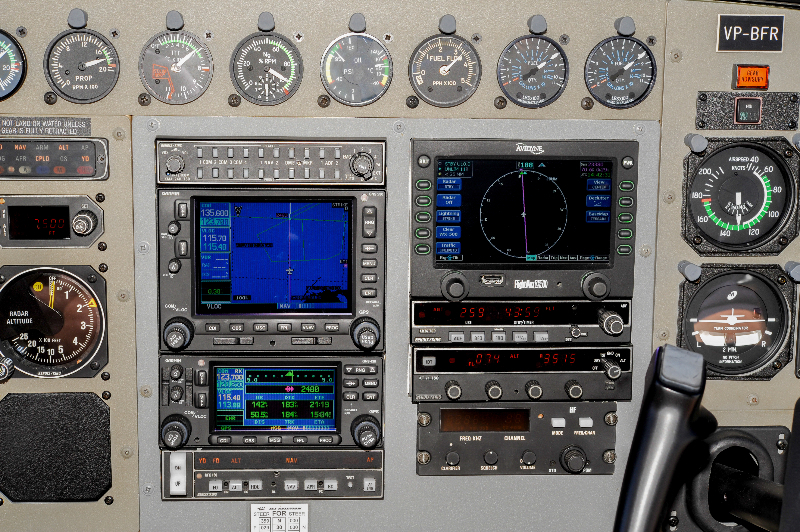 The control panel of the Golden Eye. 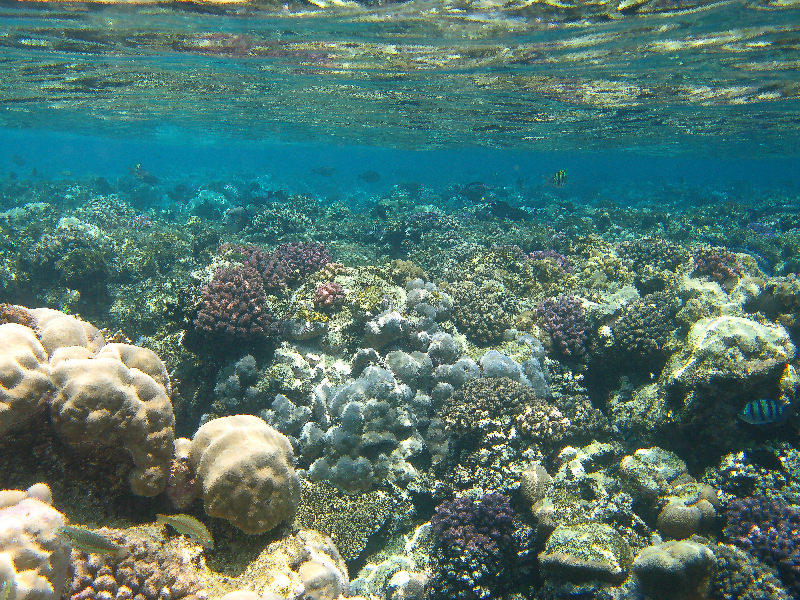 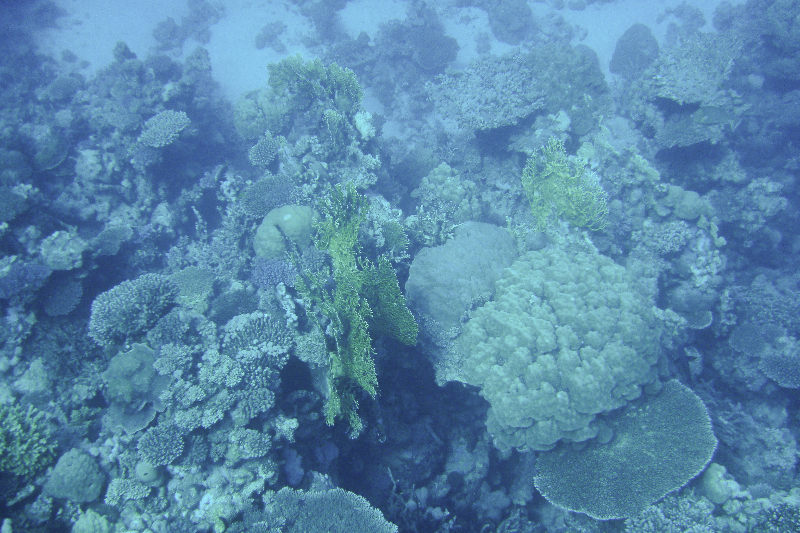 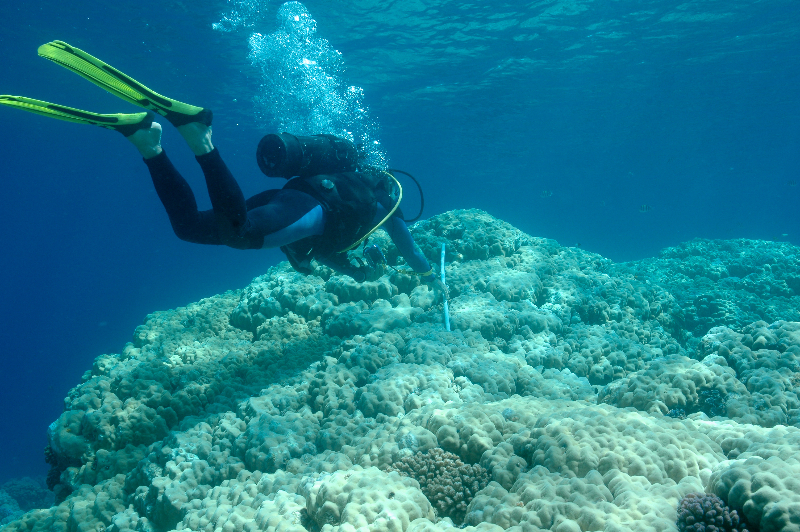 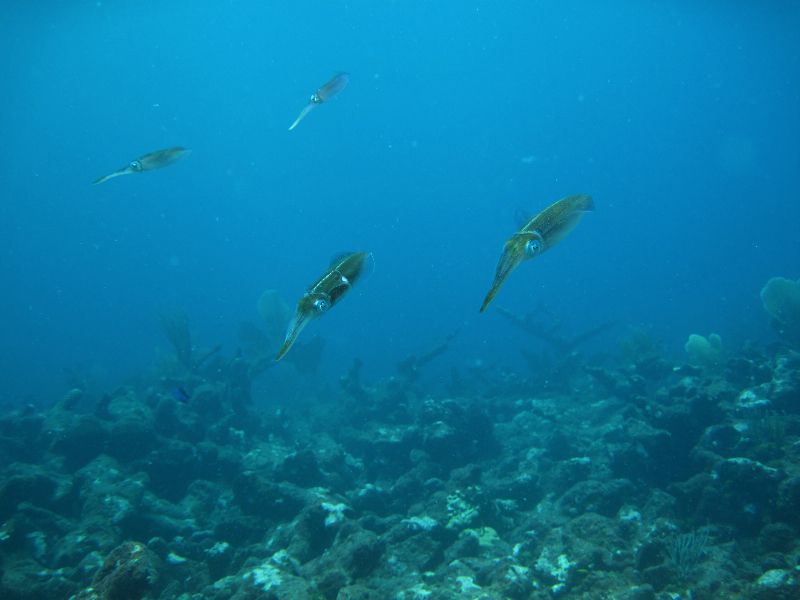 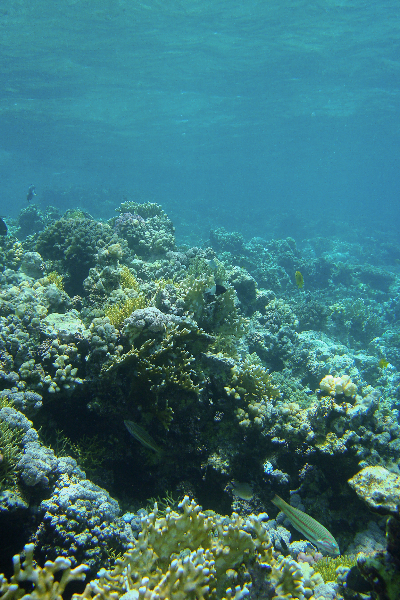 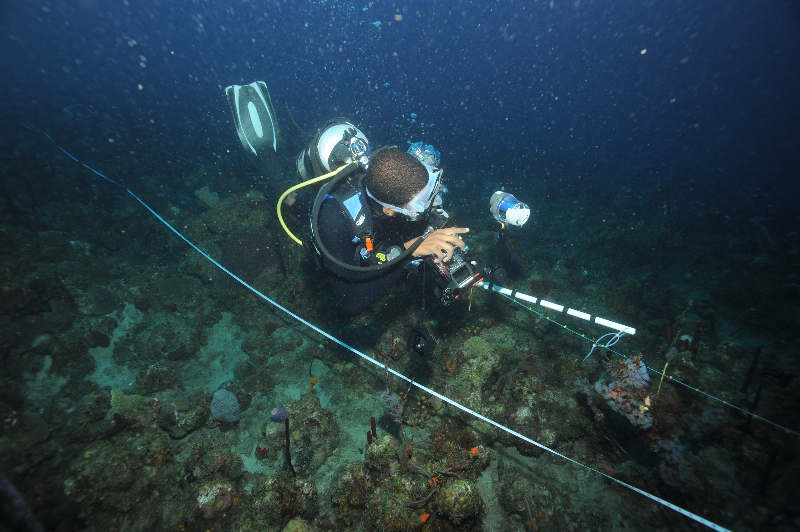 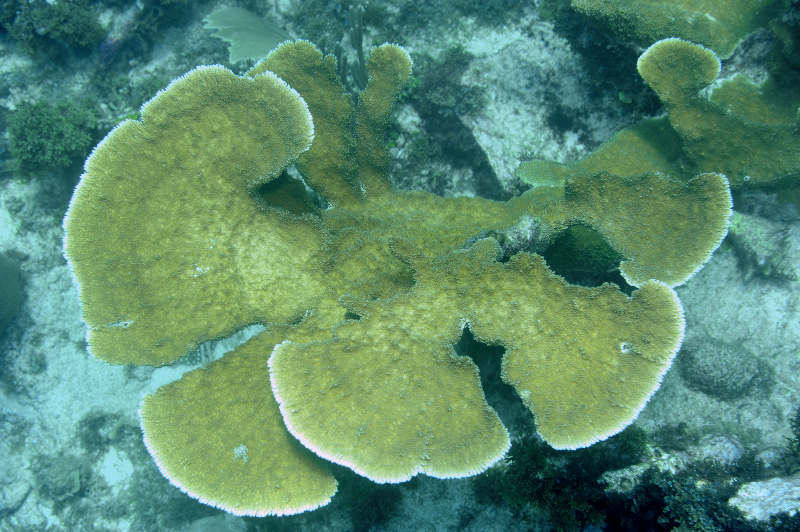 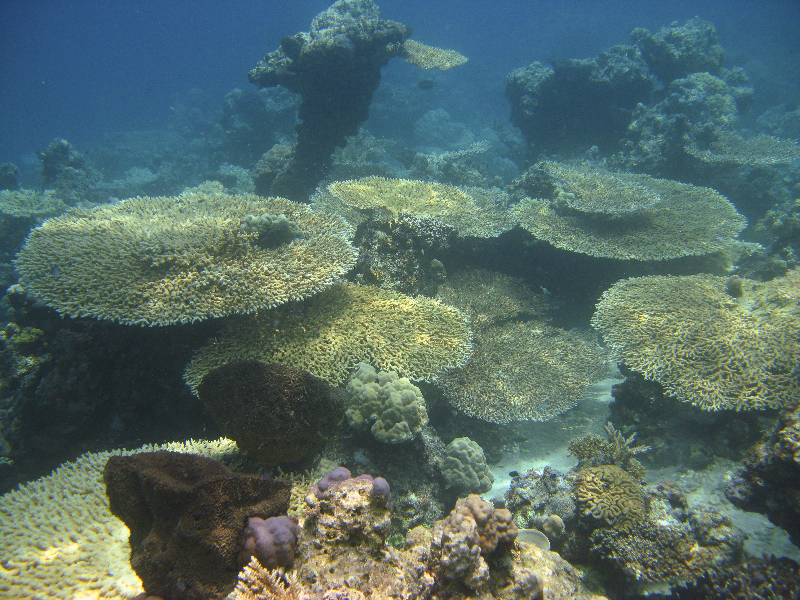 Dr. Andrew Buckner conducts a survey of the reef. 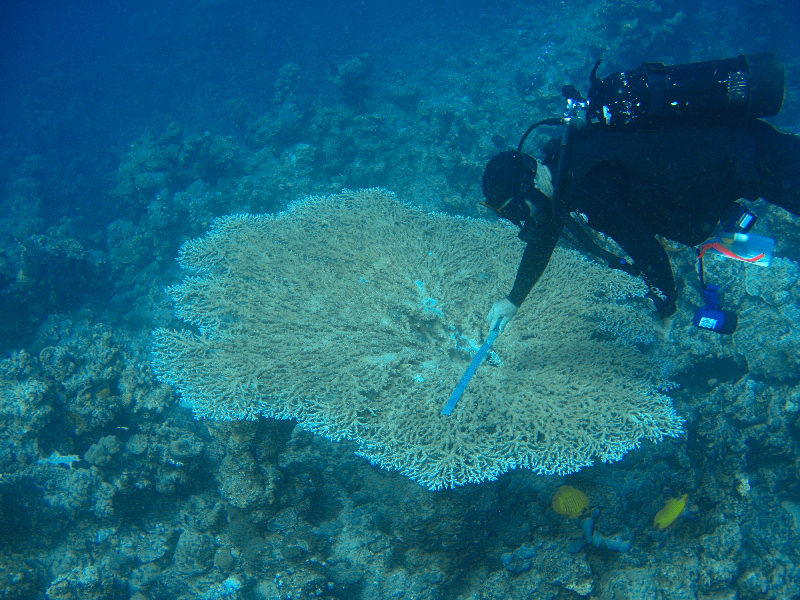 Amanda Williams conducts a survey of the reef. 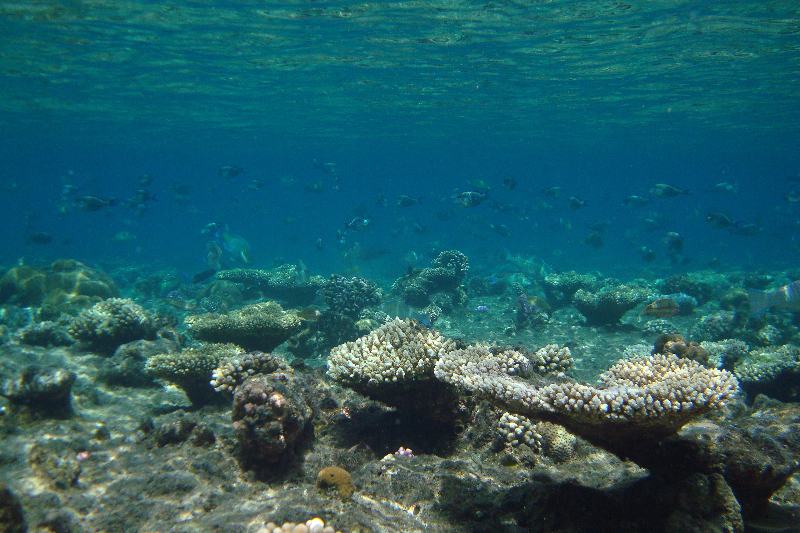 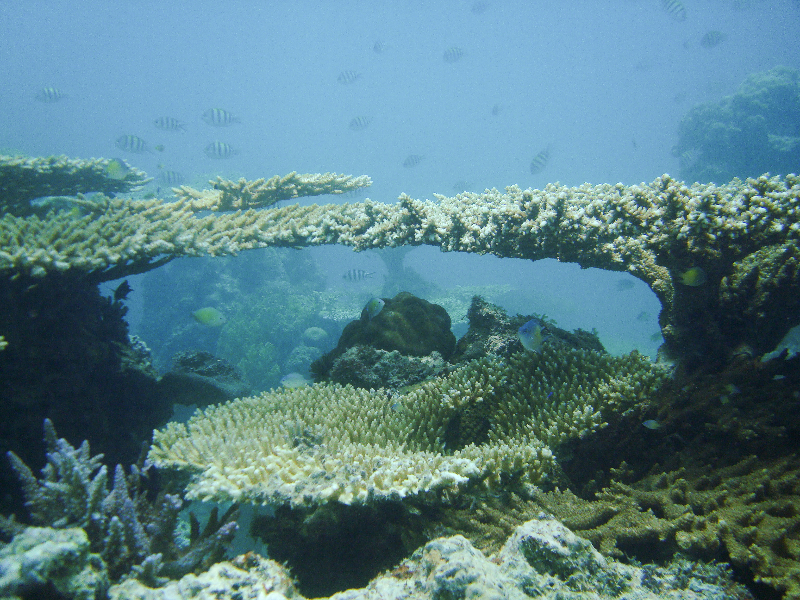 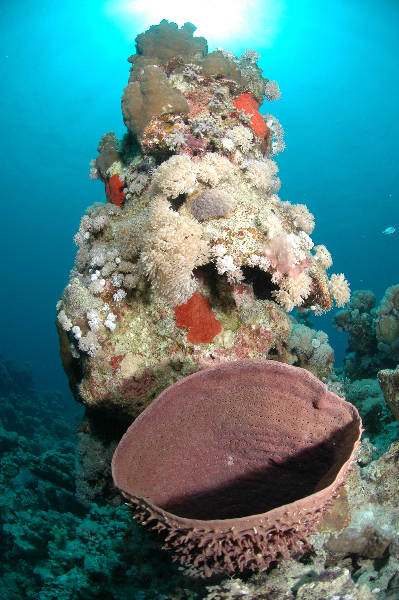 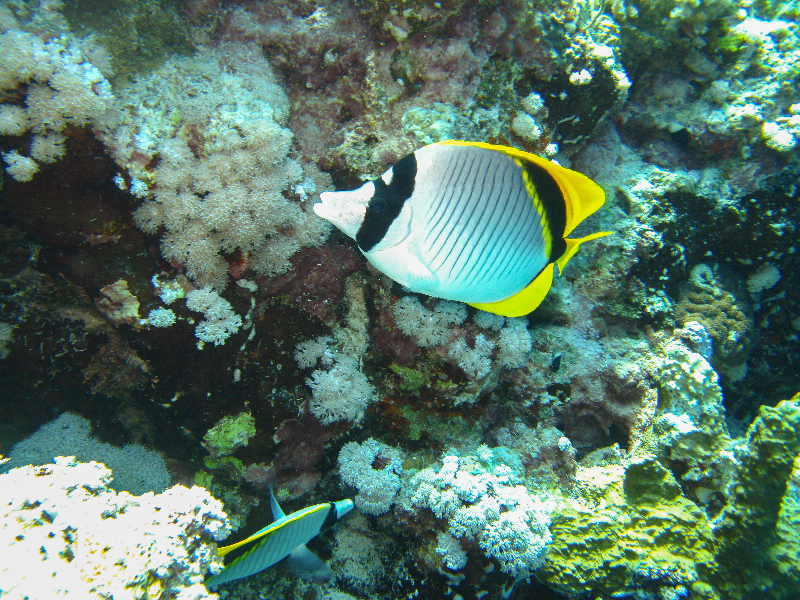 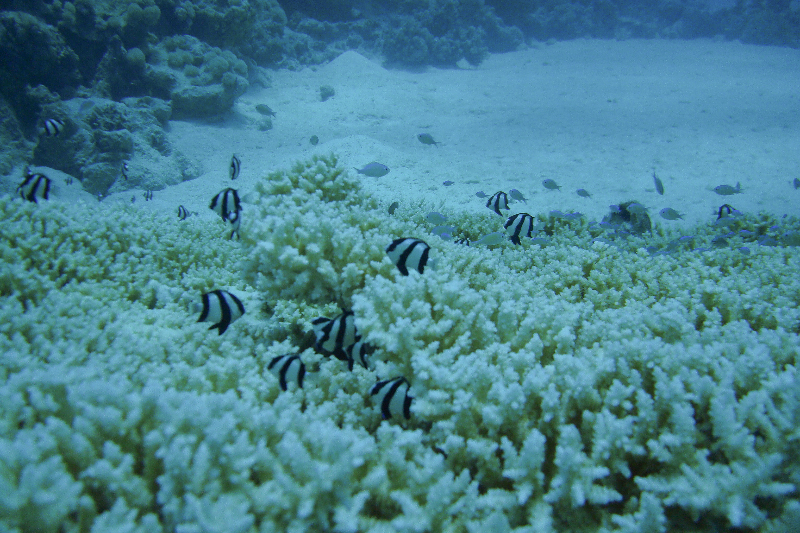 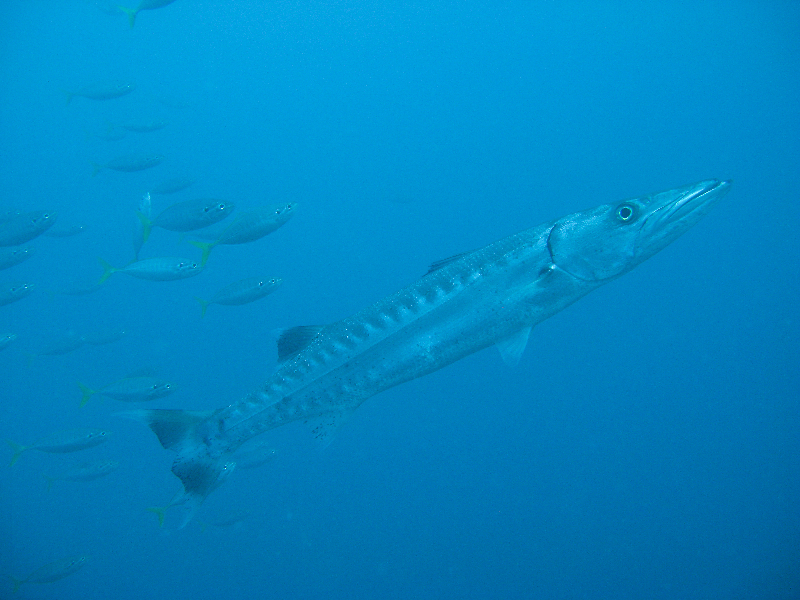 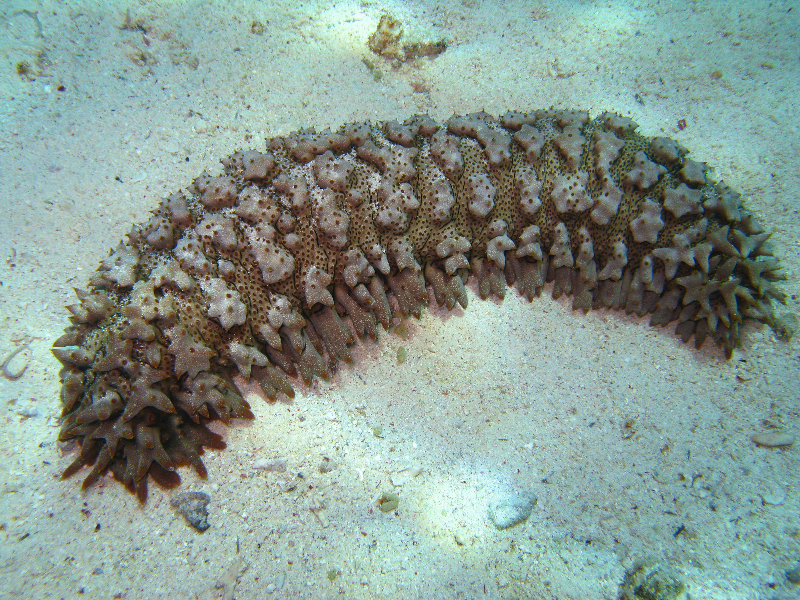 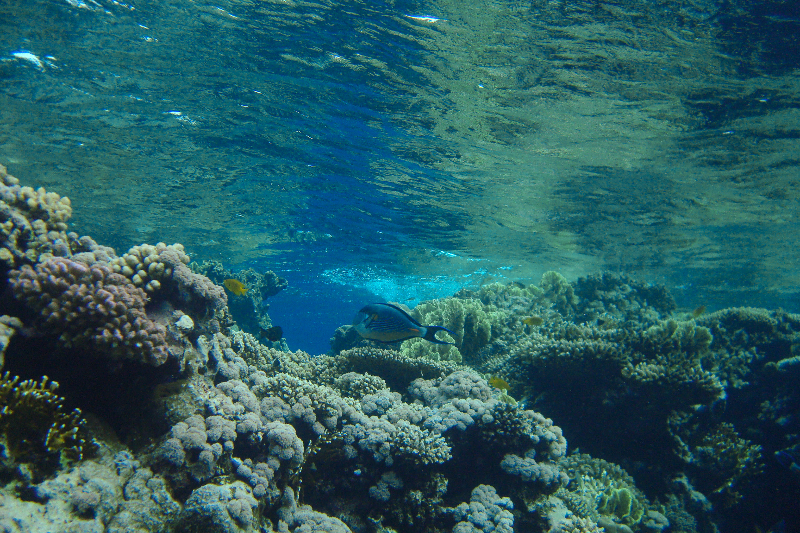 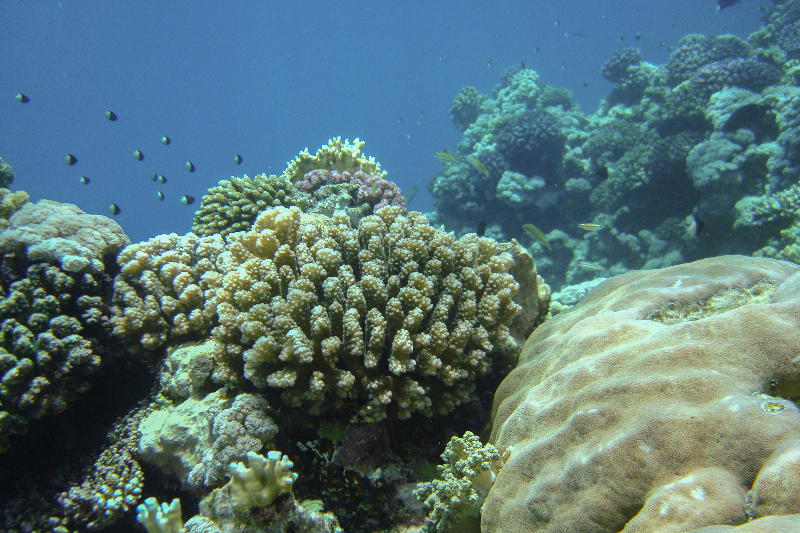 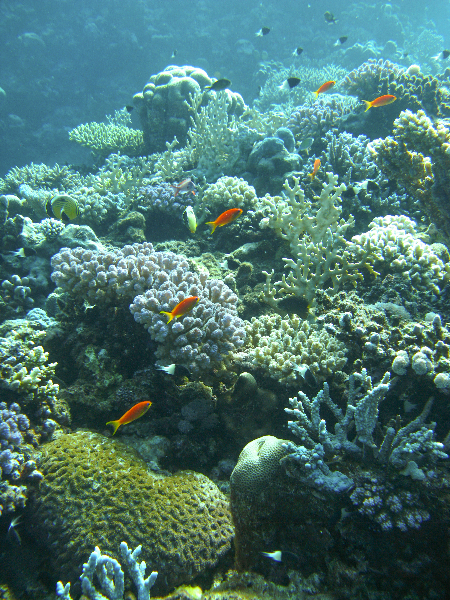 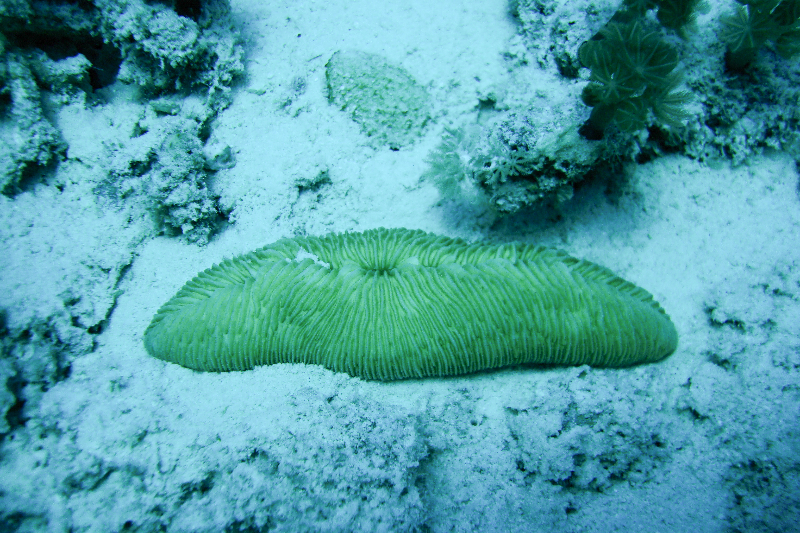 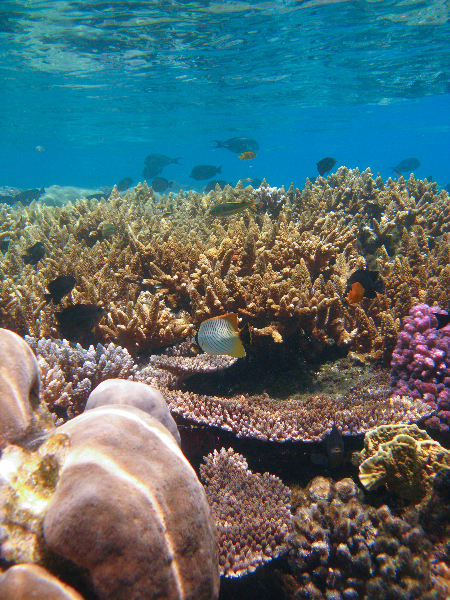 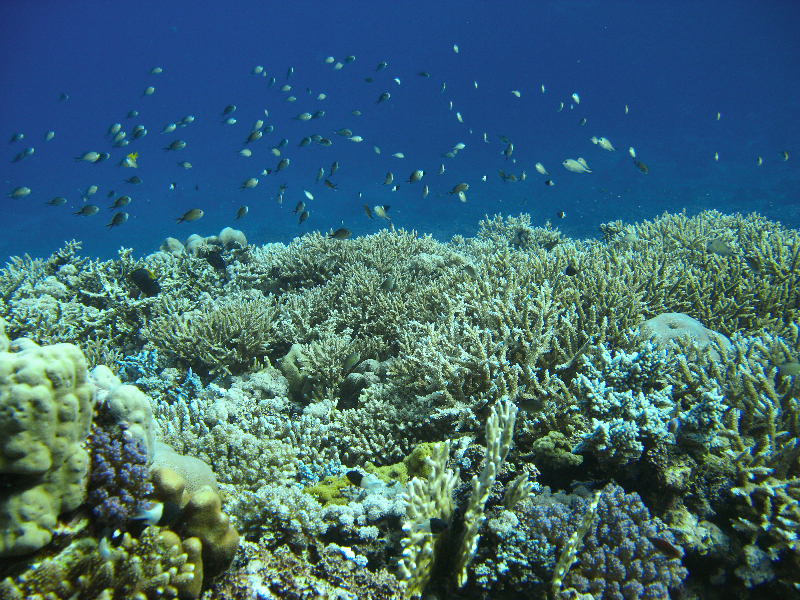 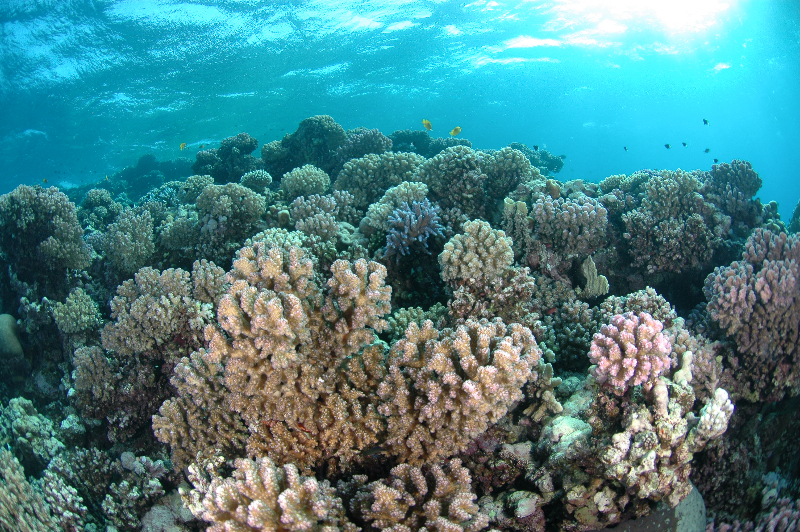 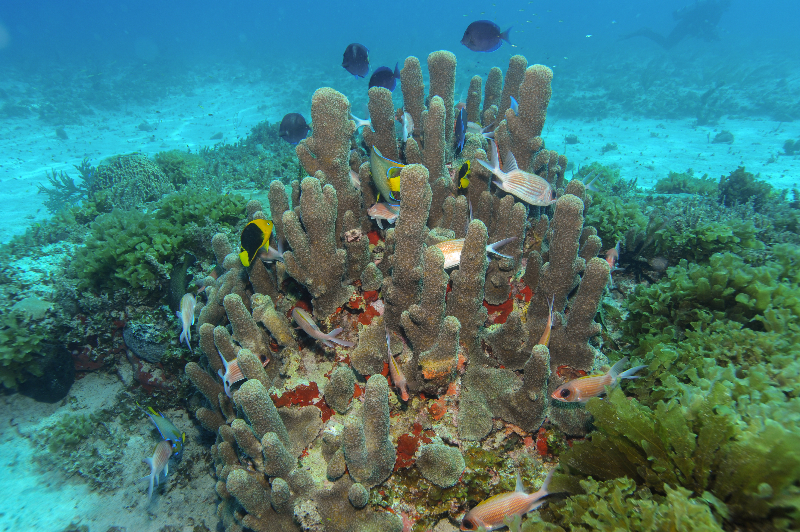 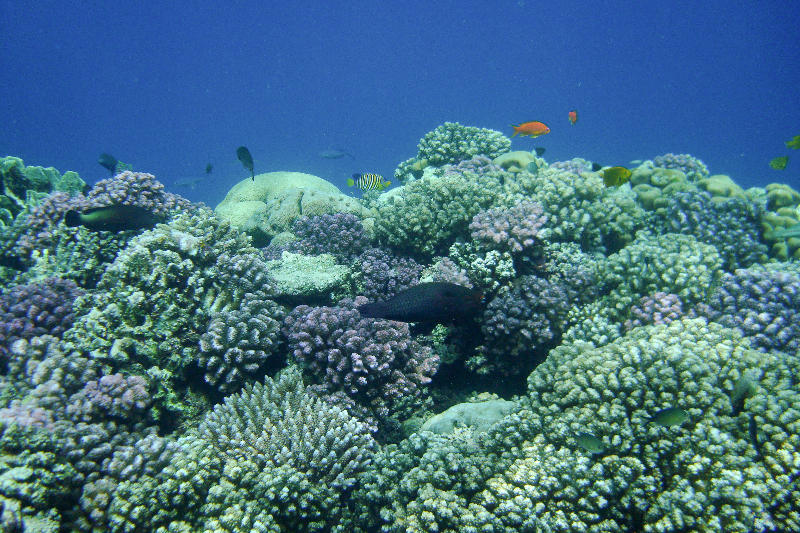 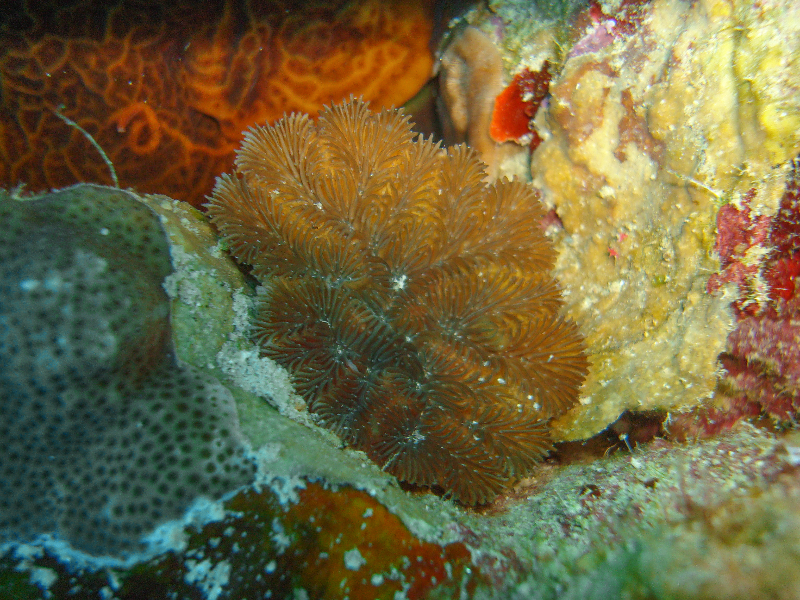 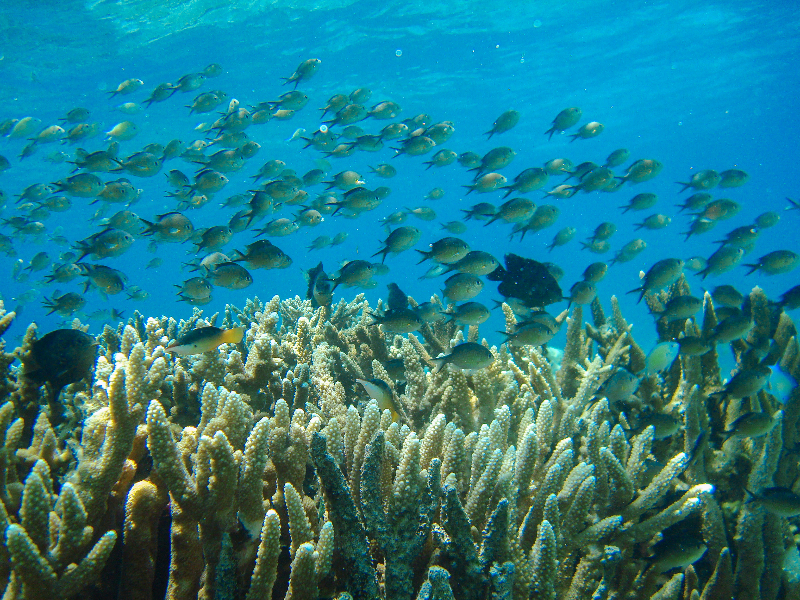 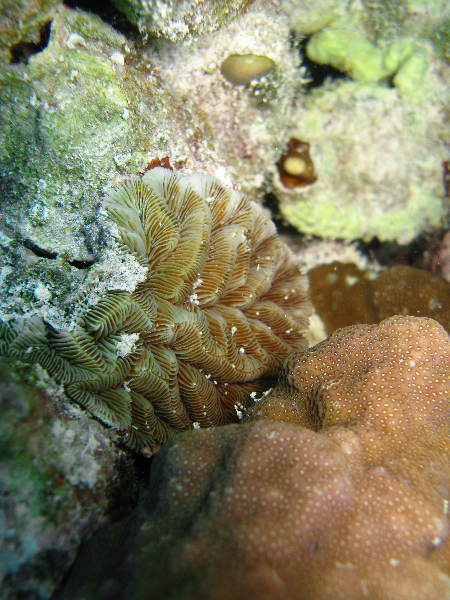 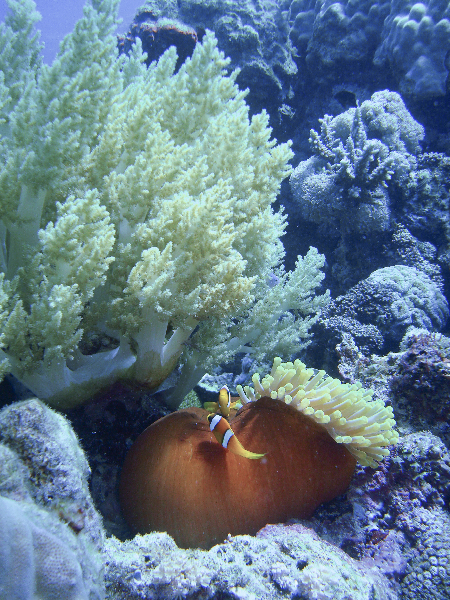 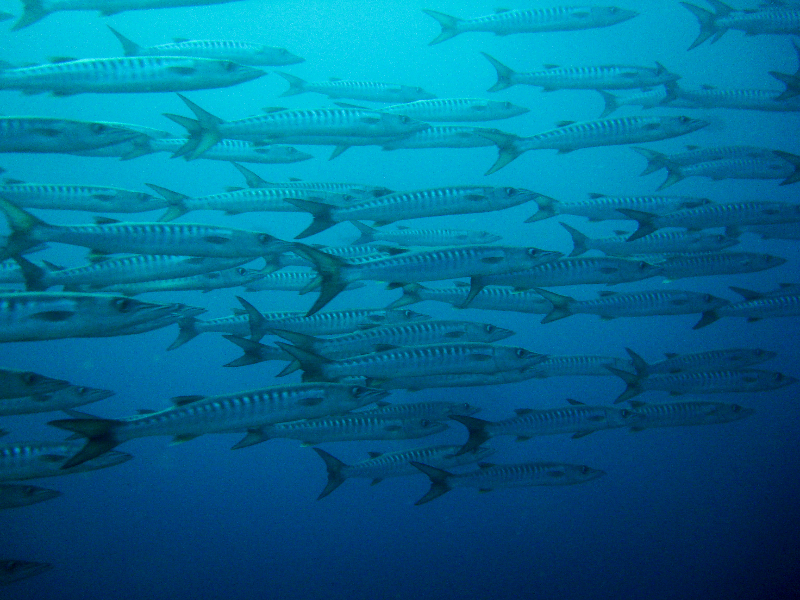 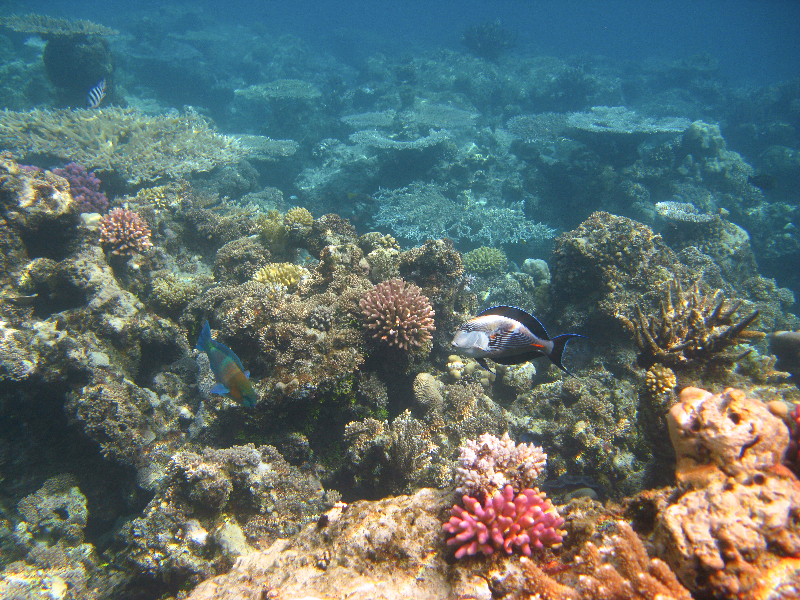 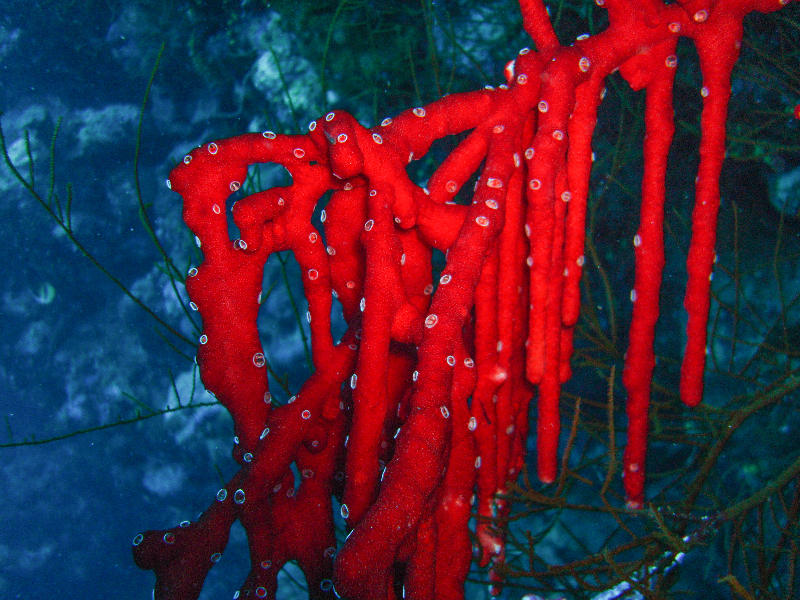 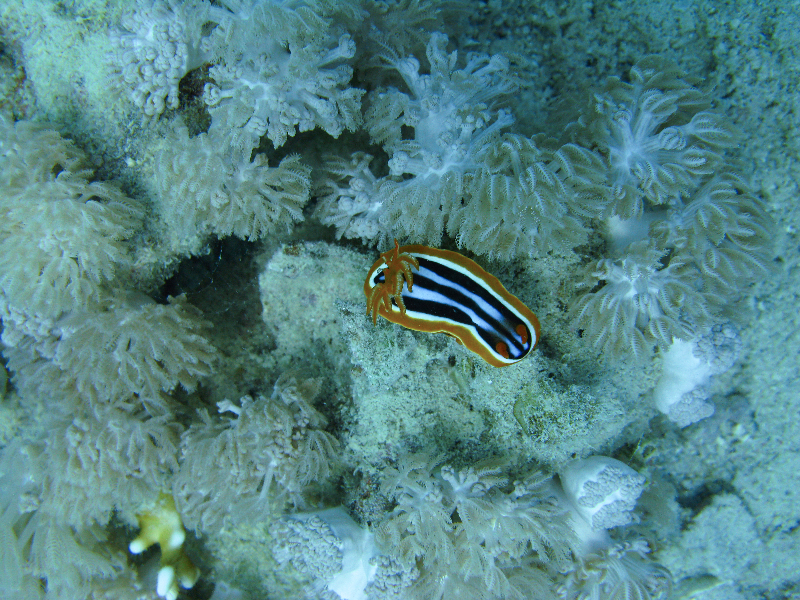 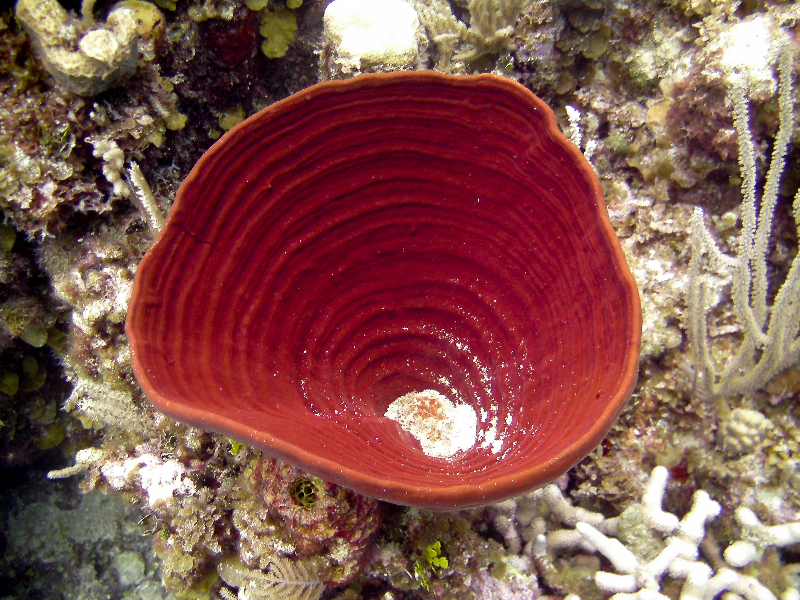 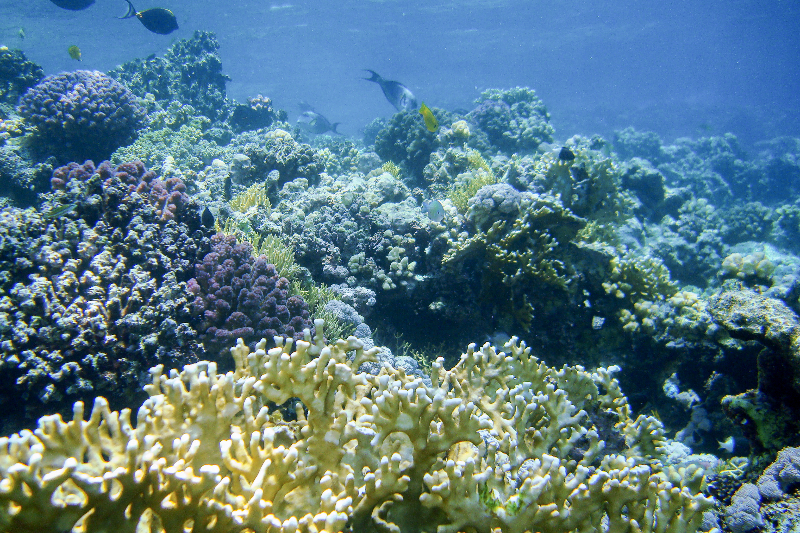 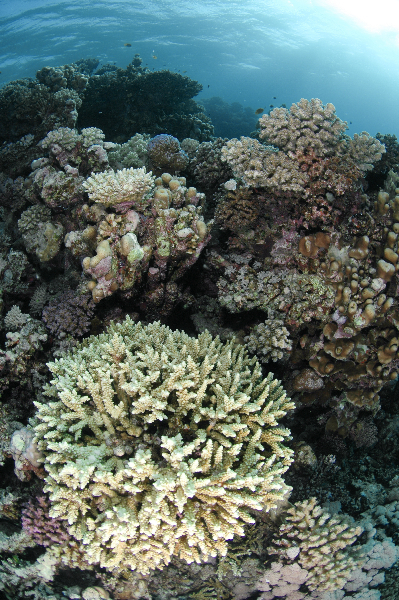 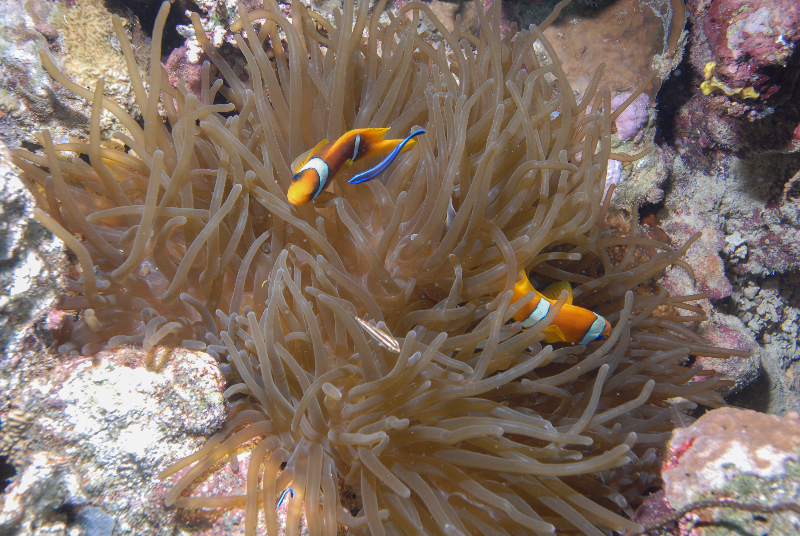 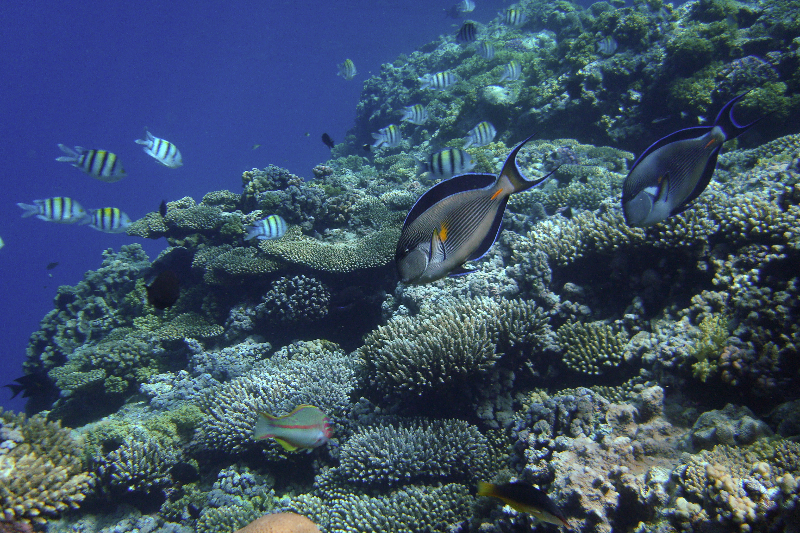 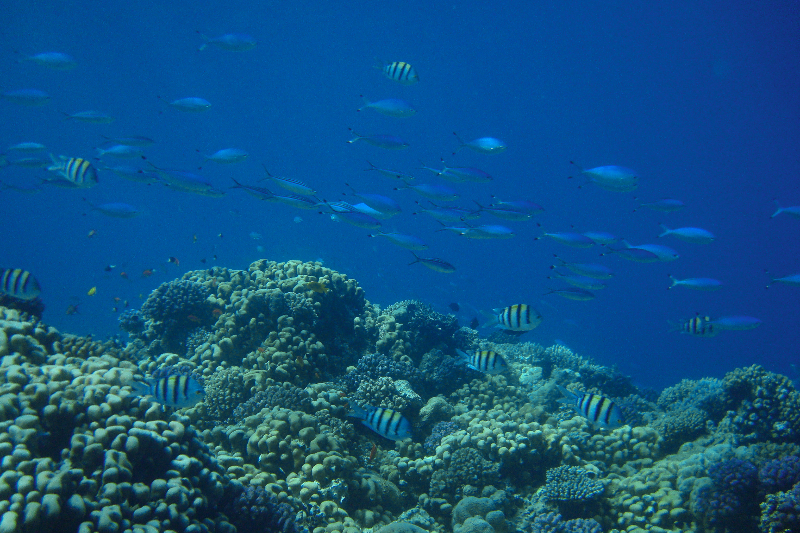 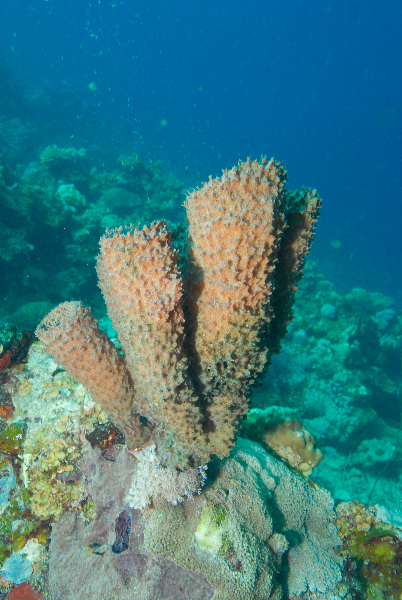 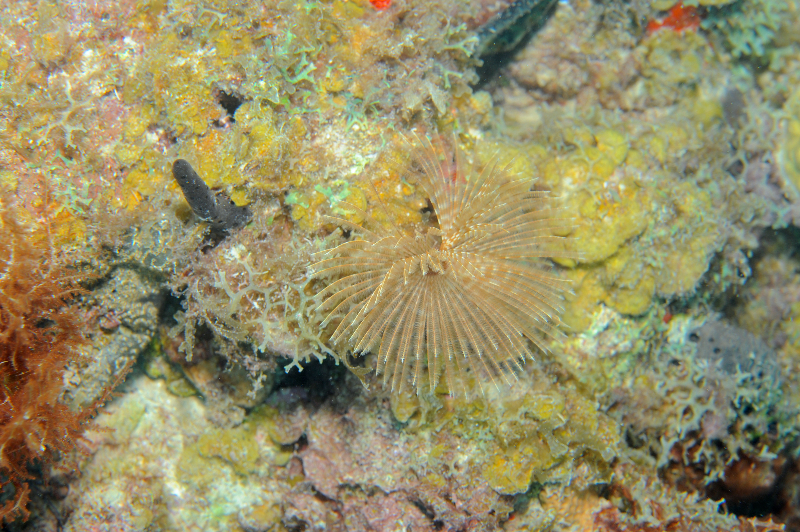 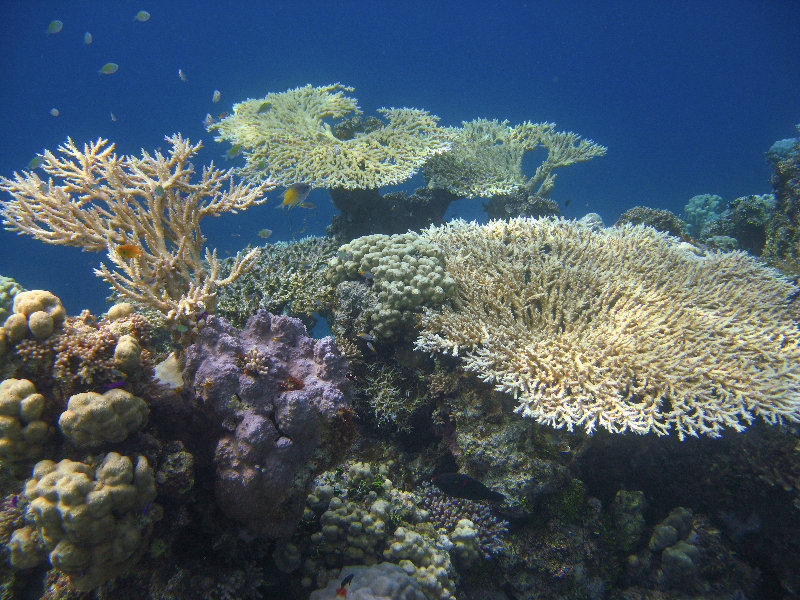 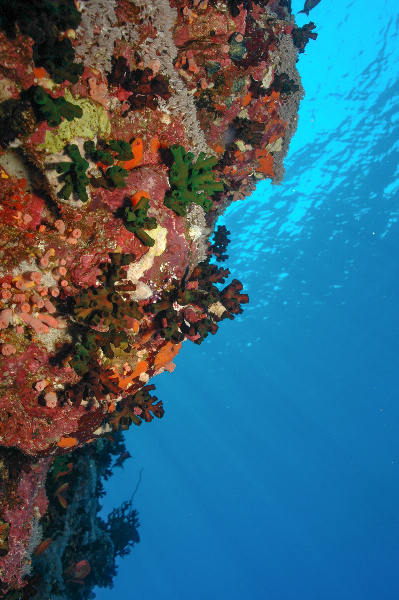 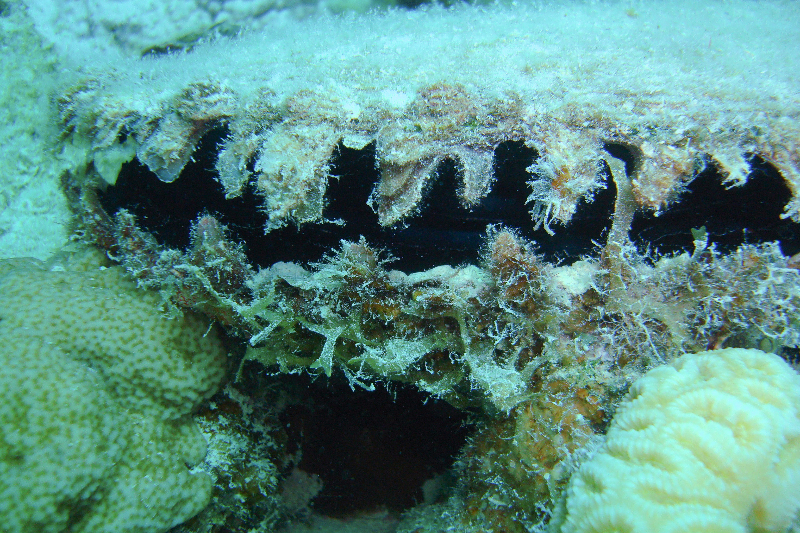 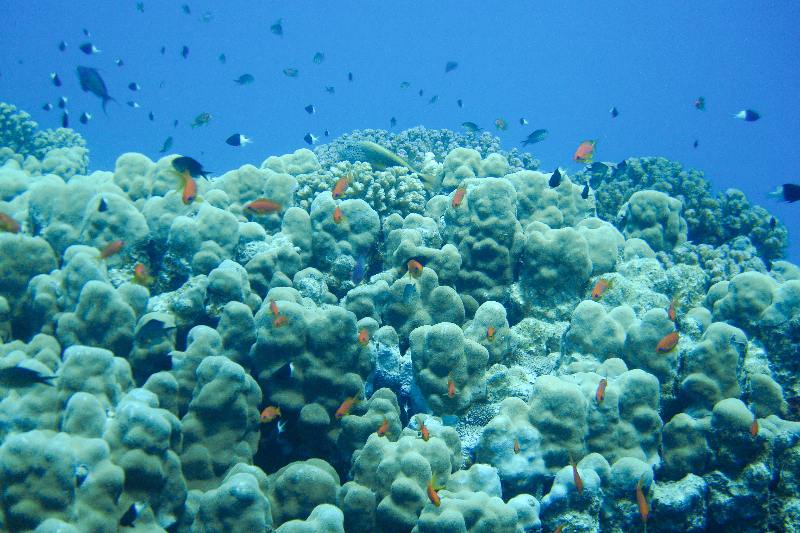 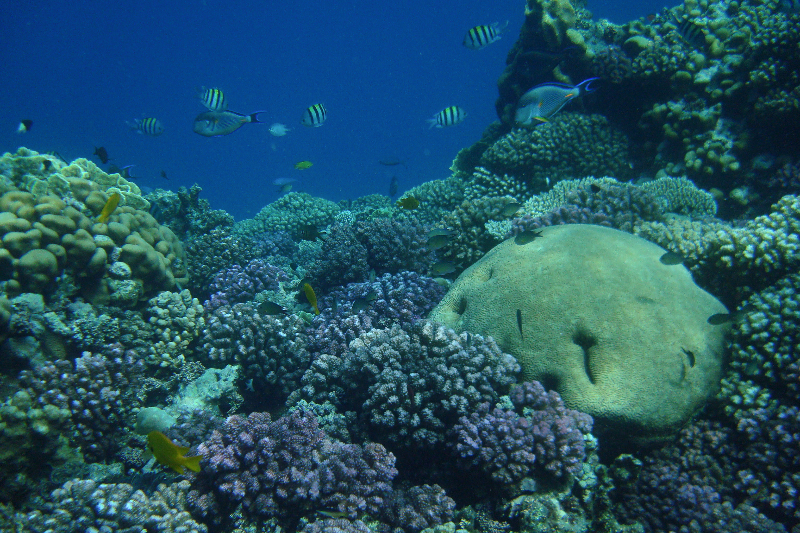 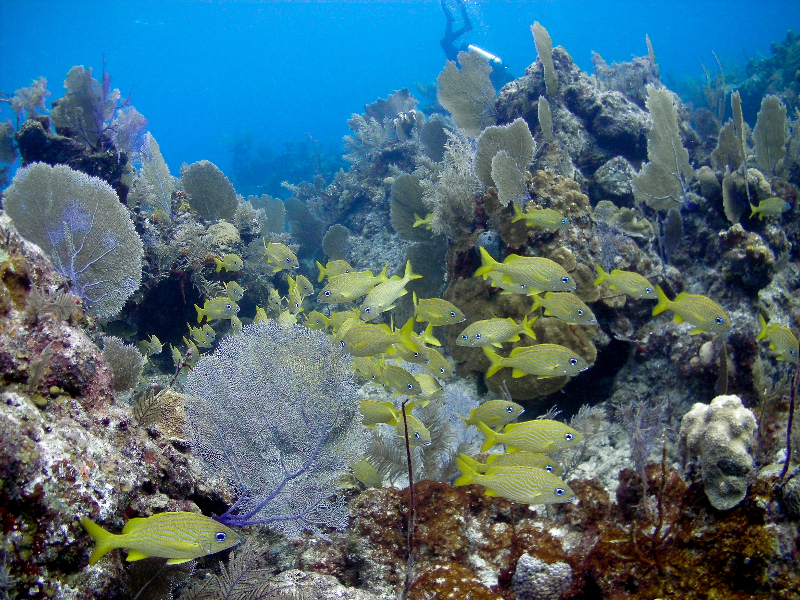 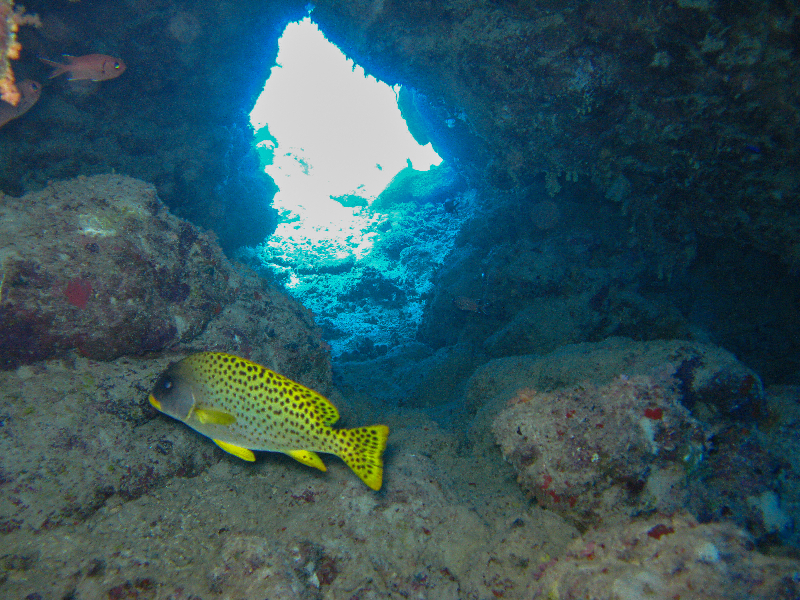 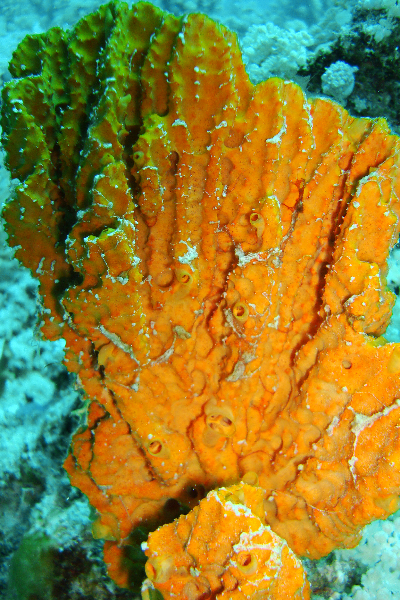 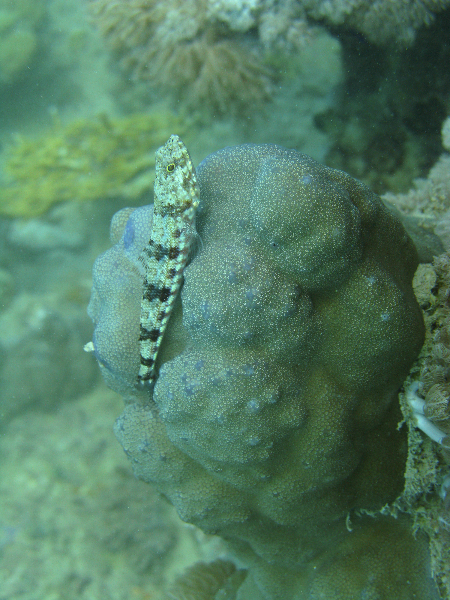 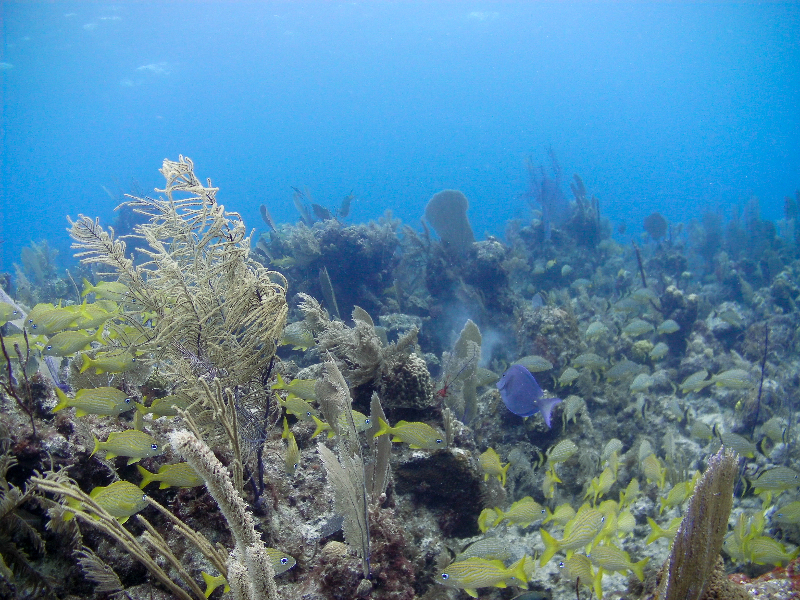 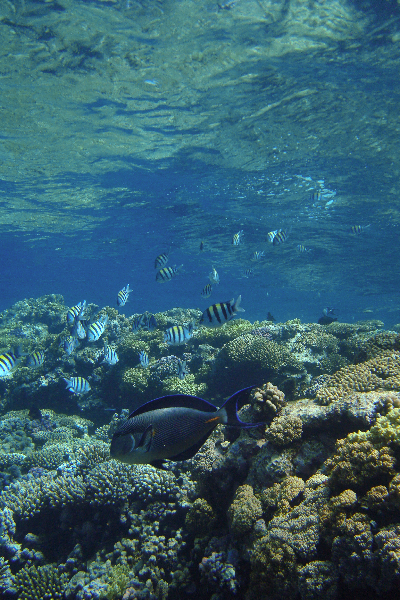 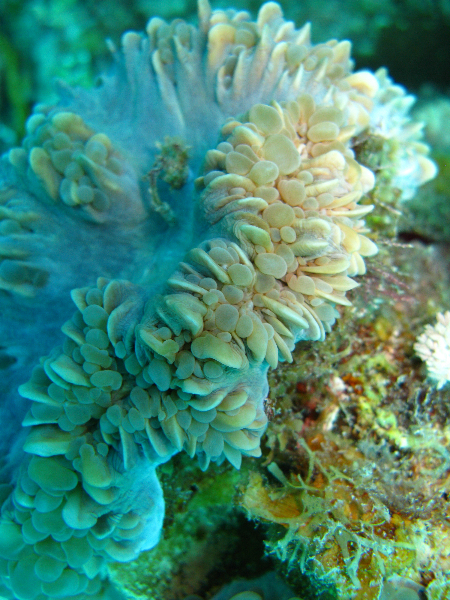 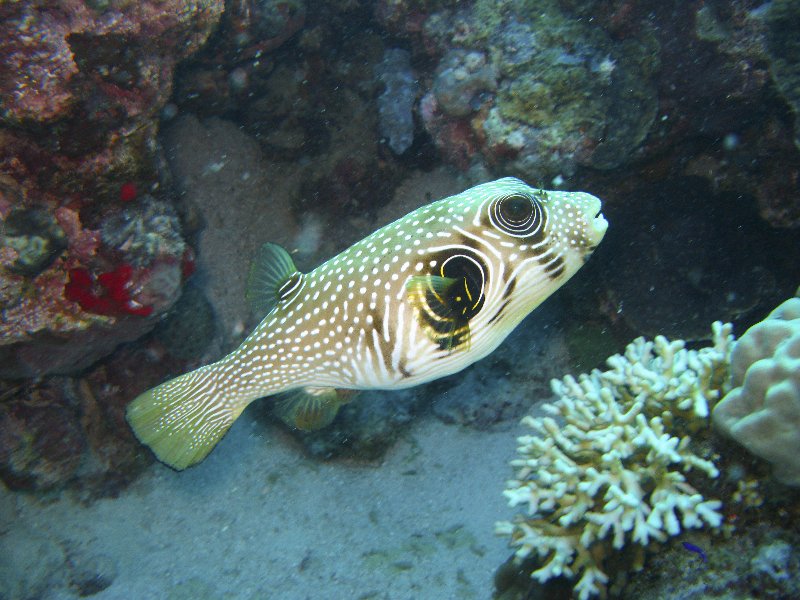 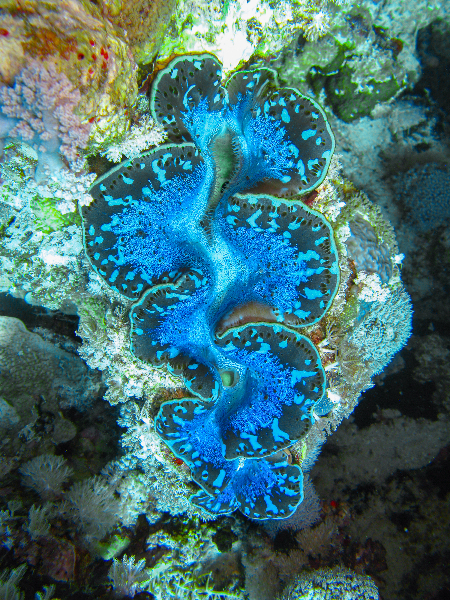 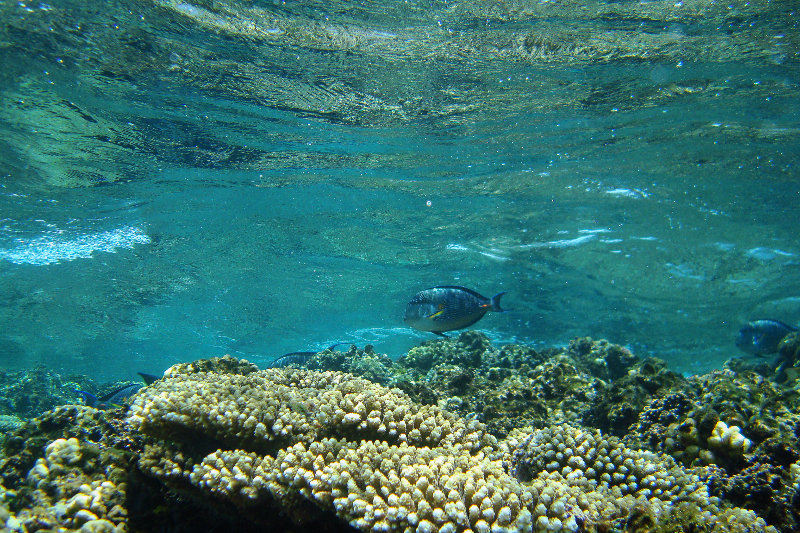 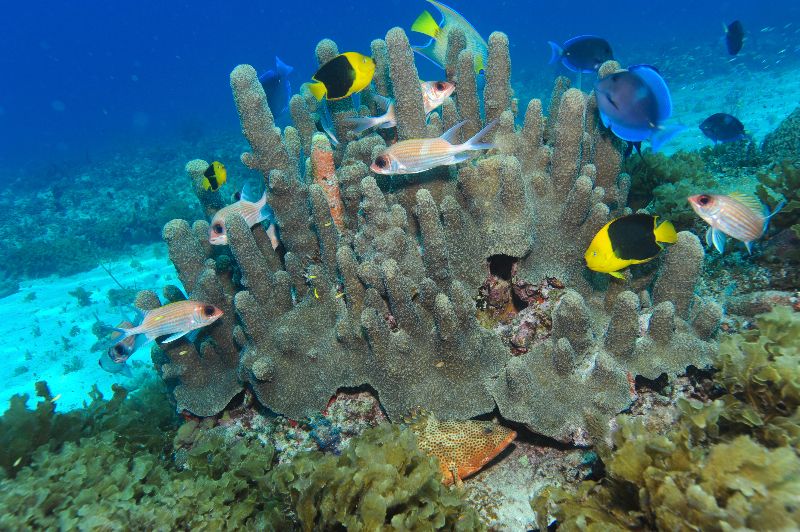 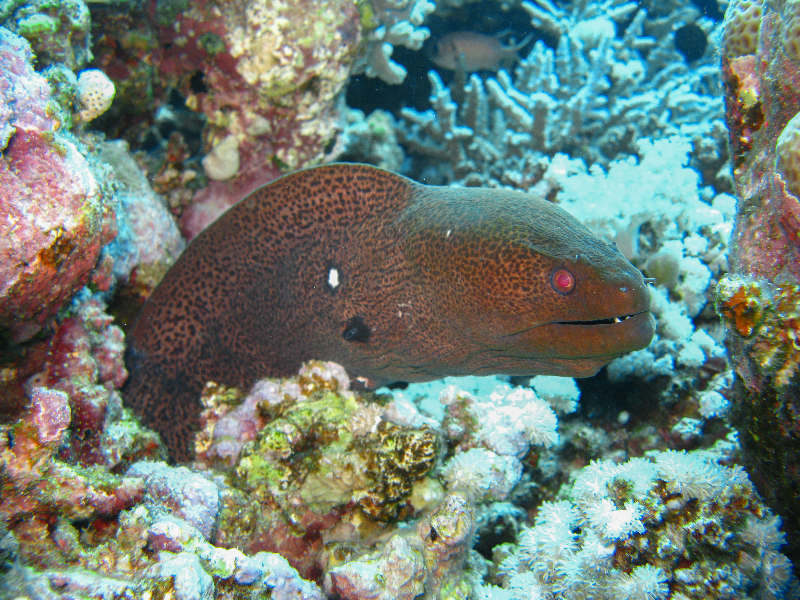 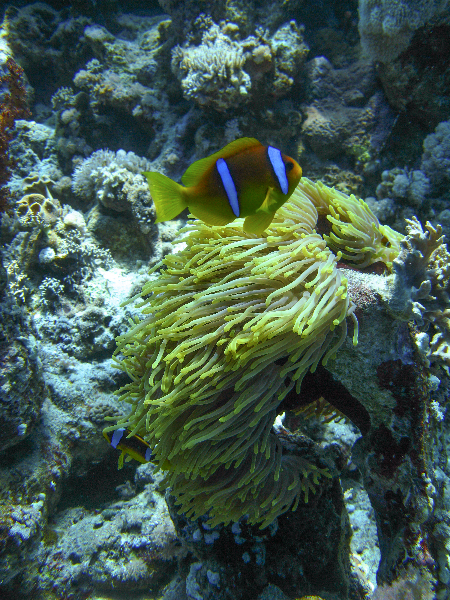 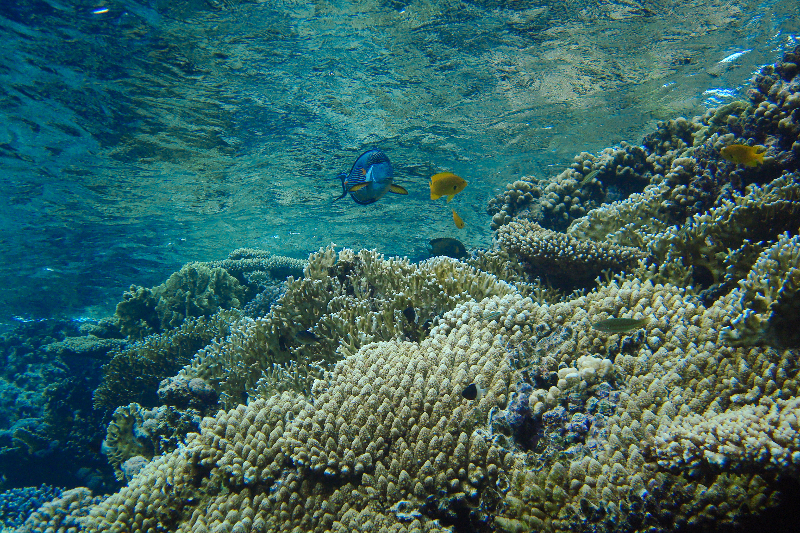 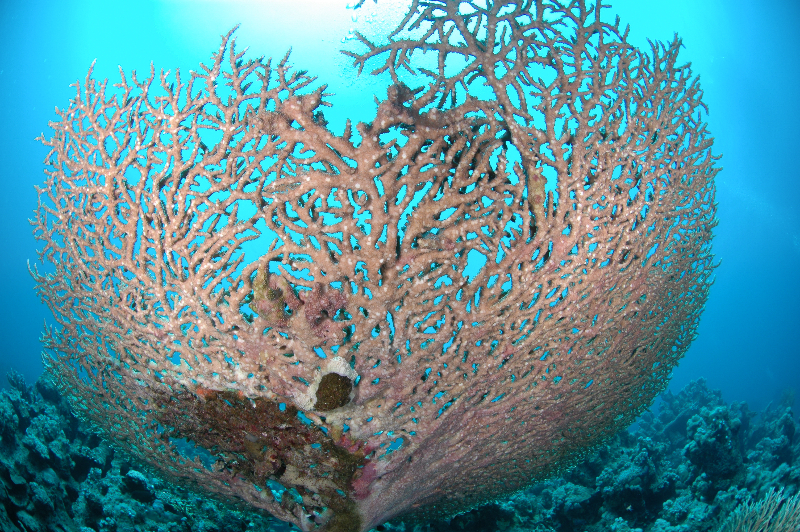 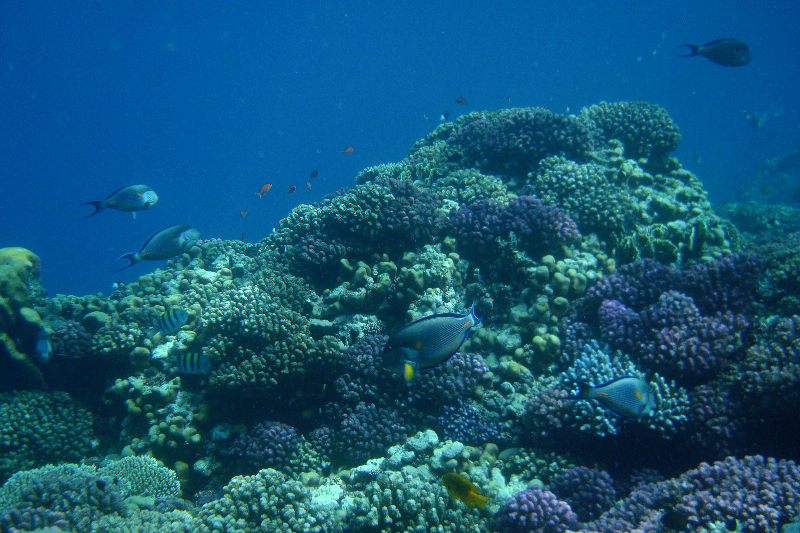 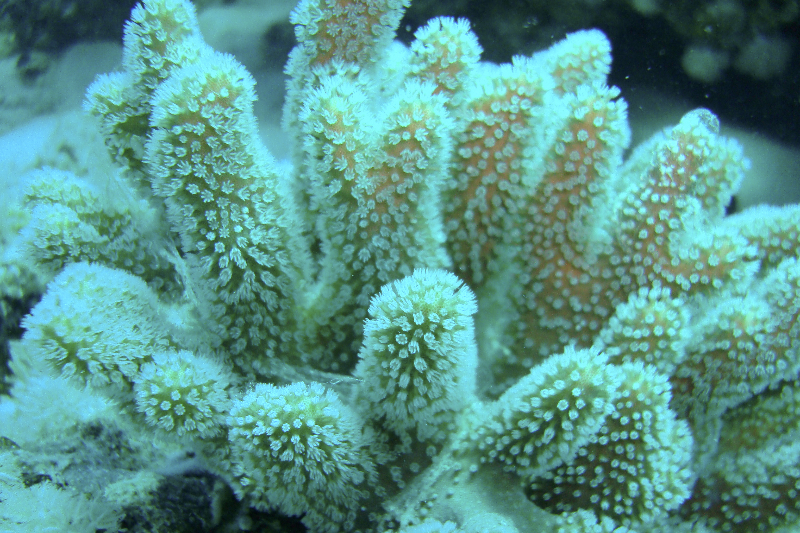 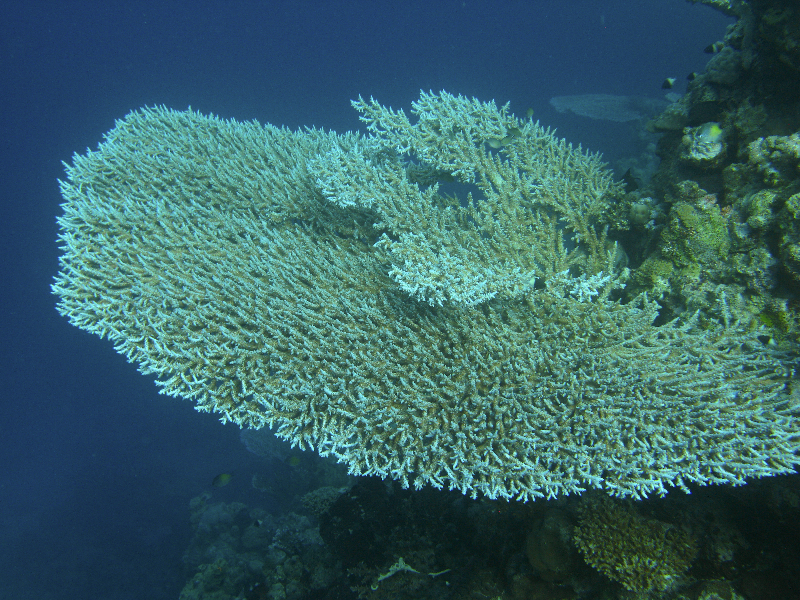 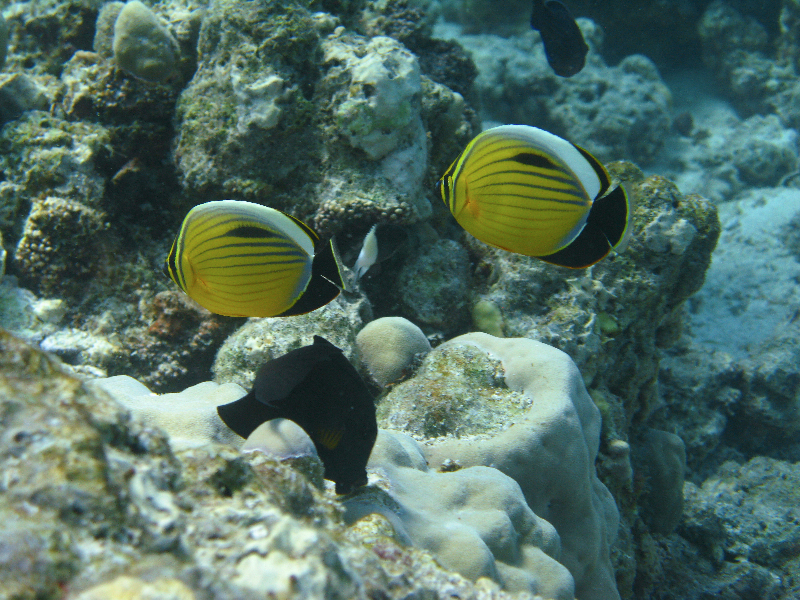 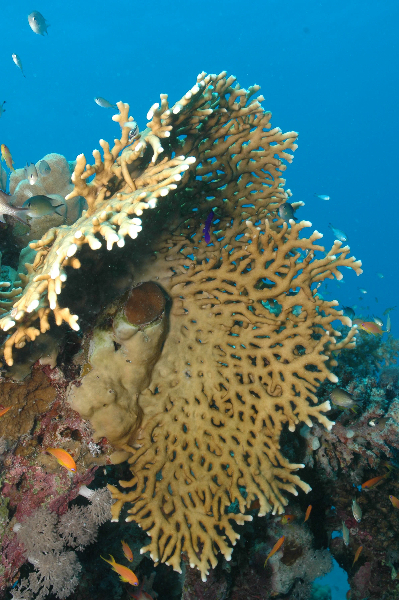 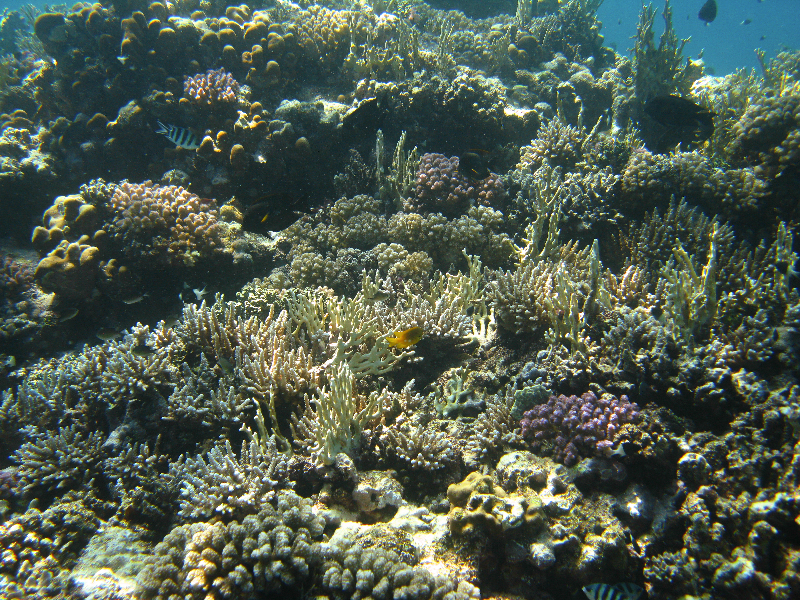 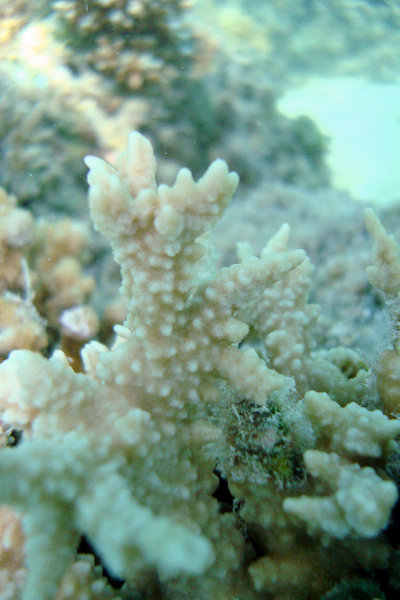 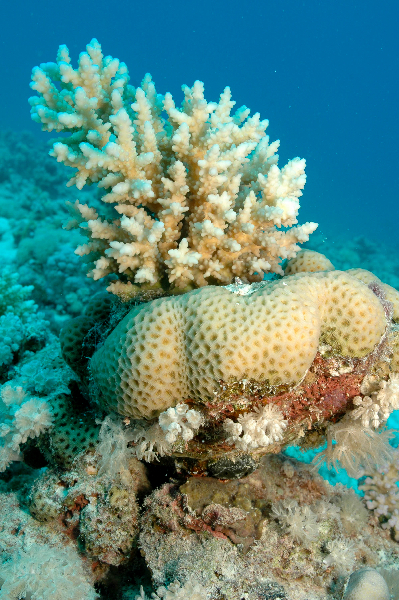 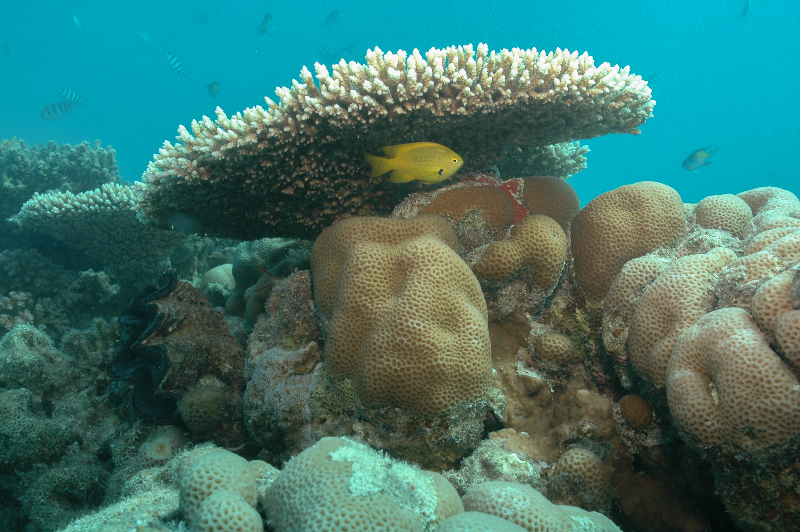 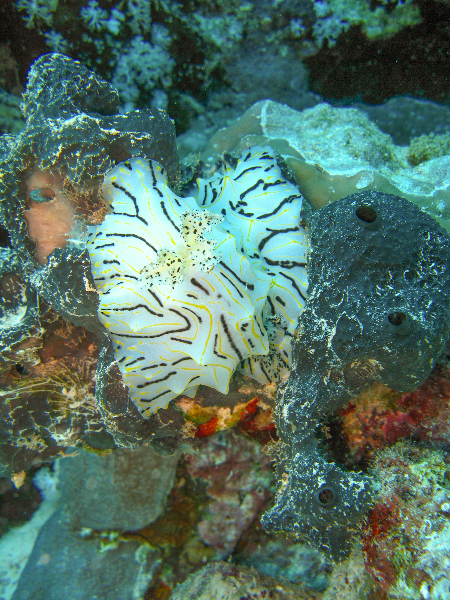 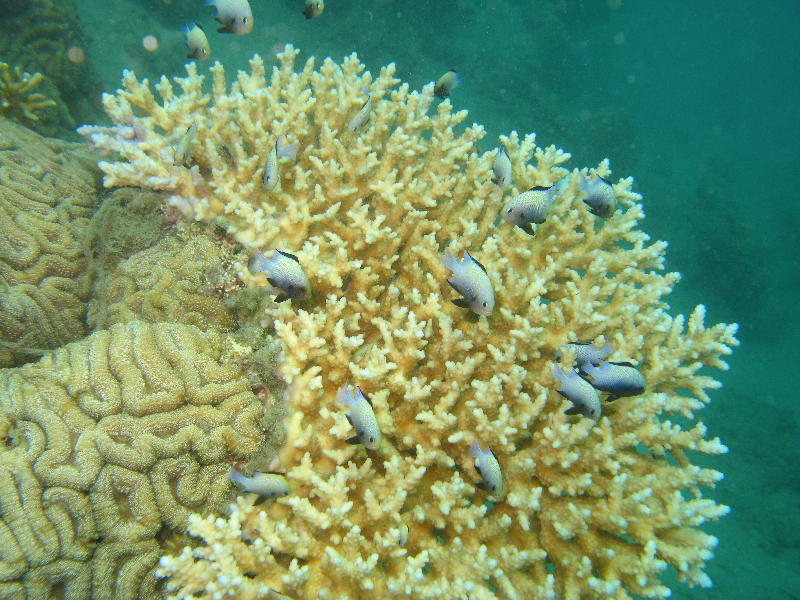 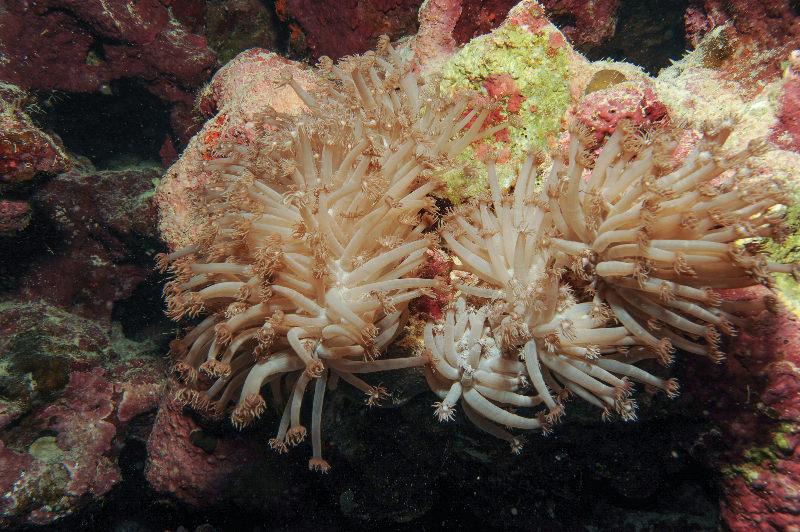 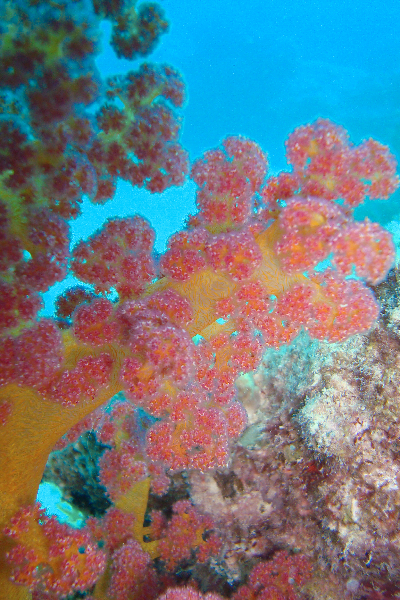 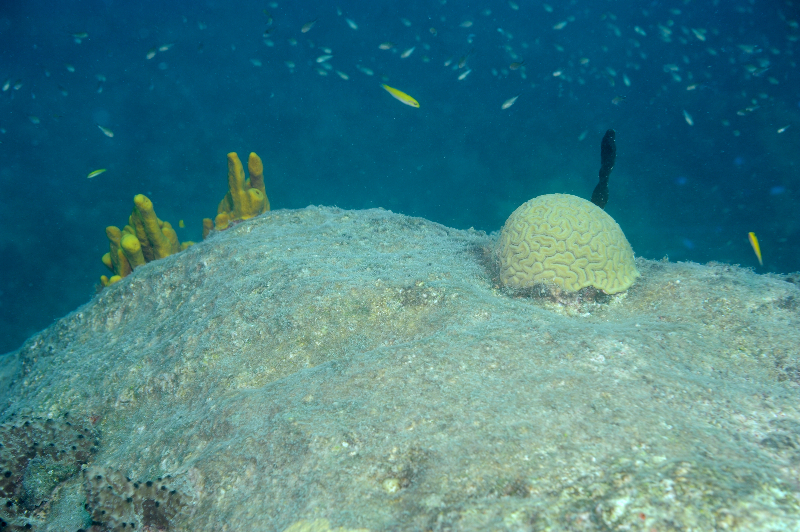 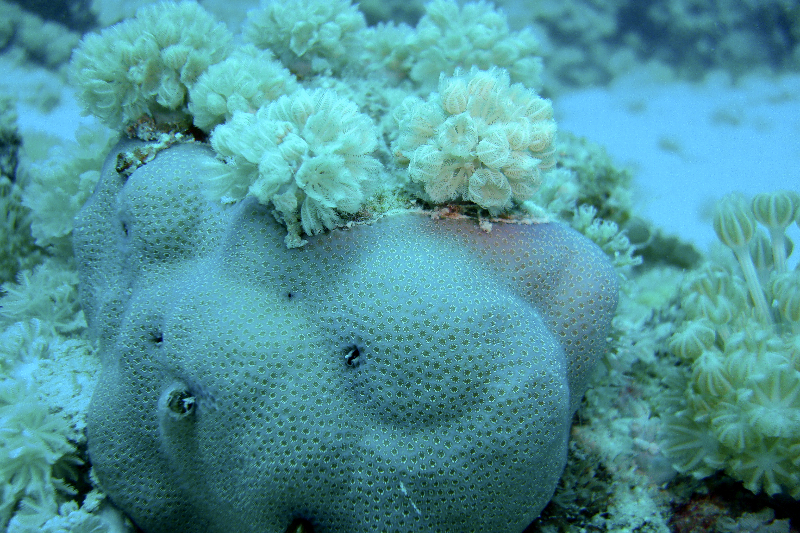 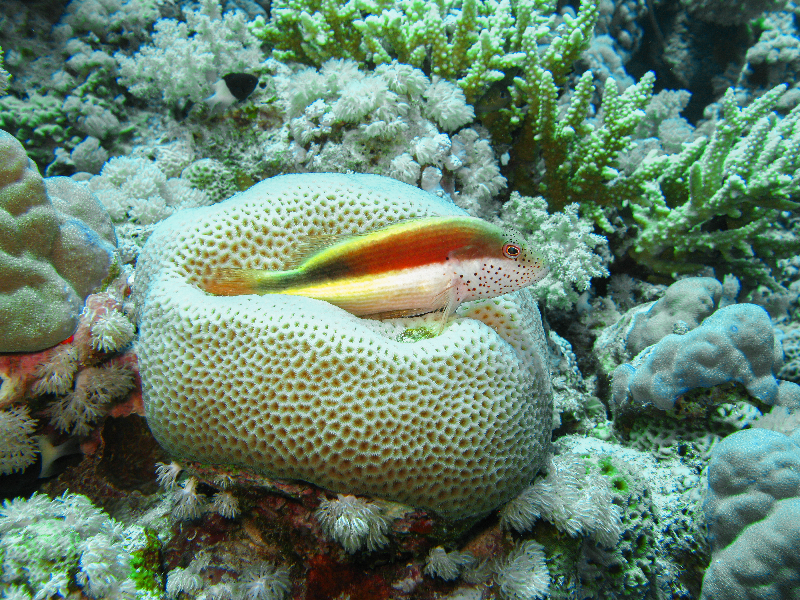 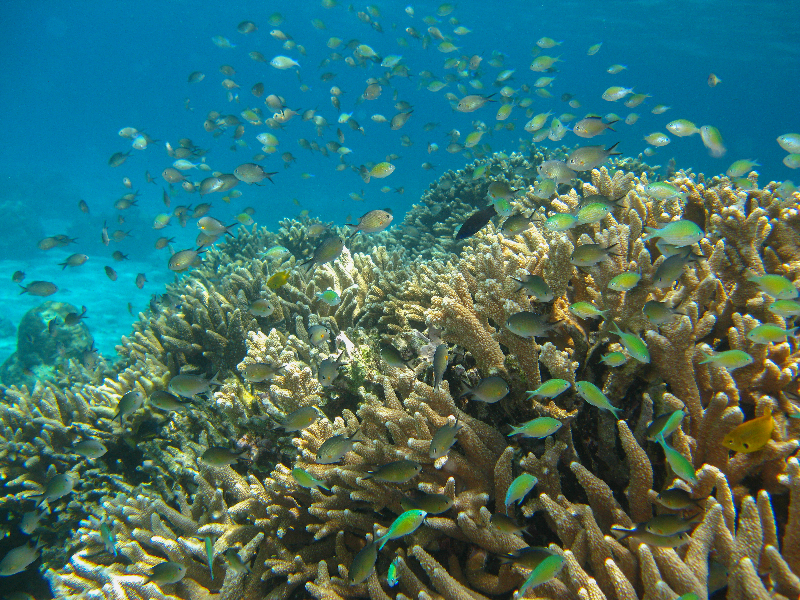 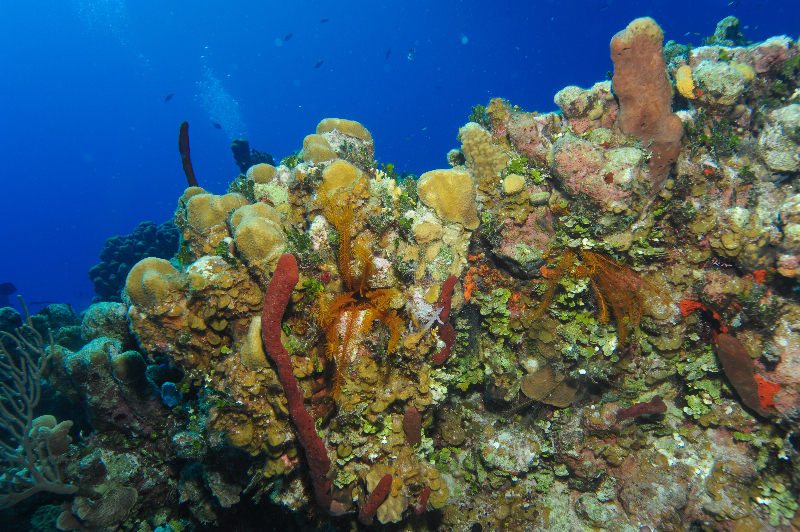 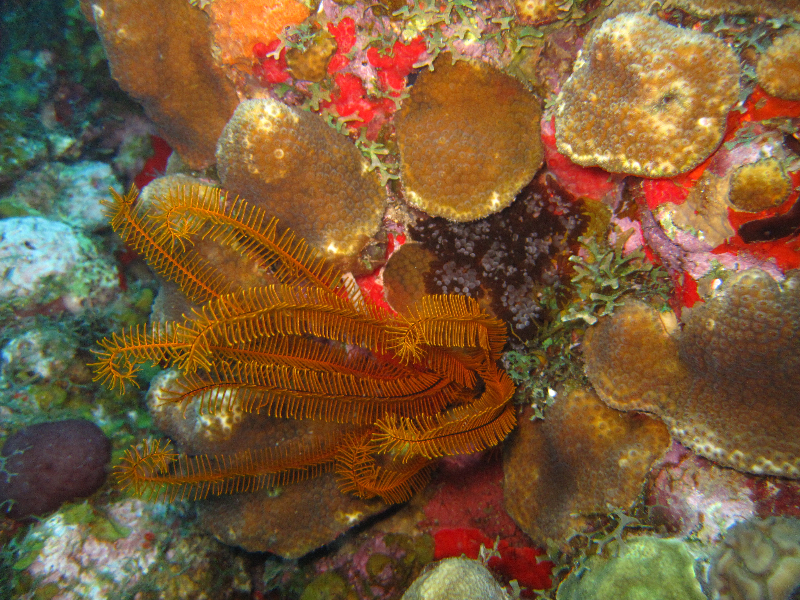 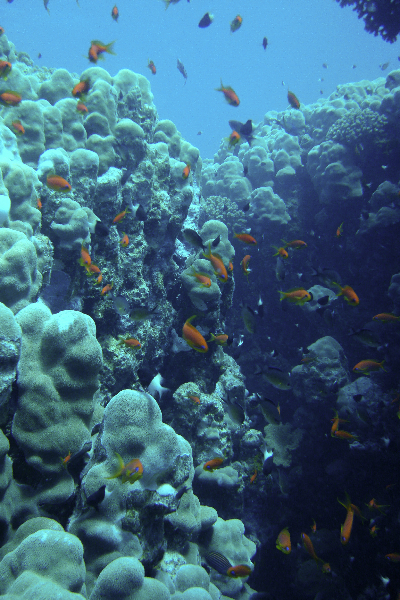 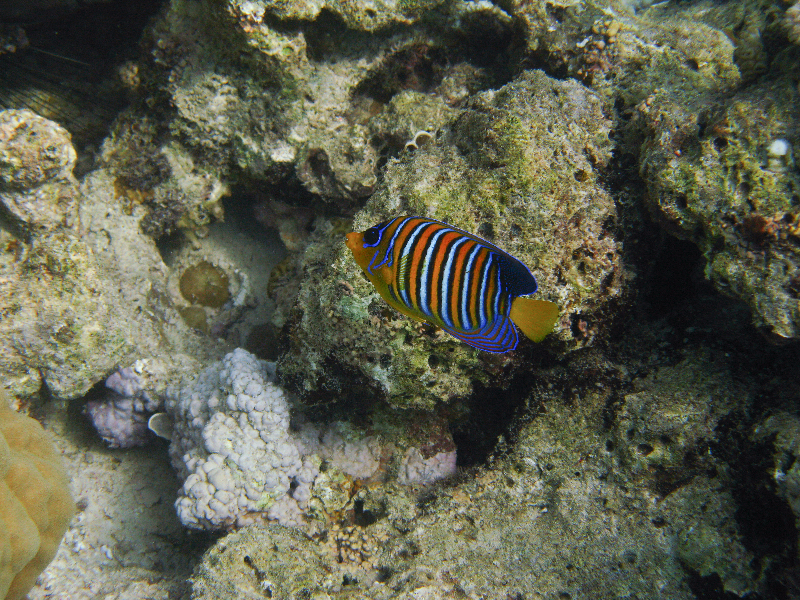 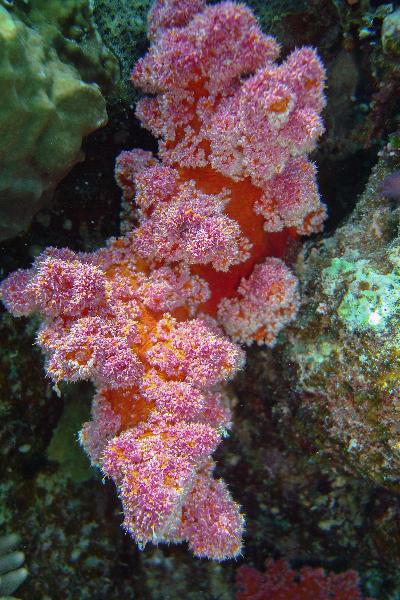 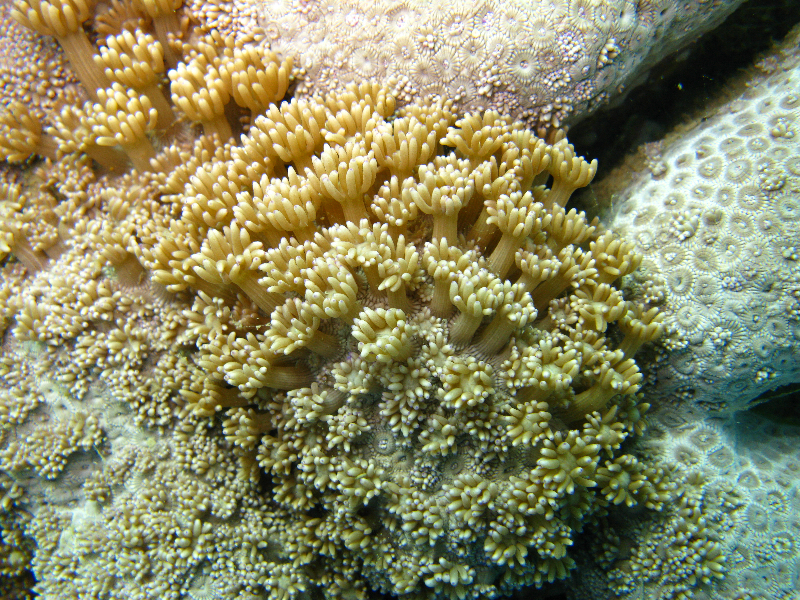 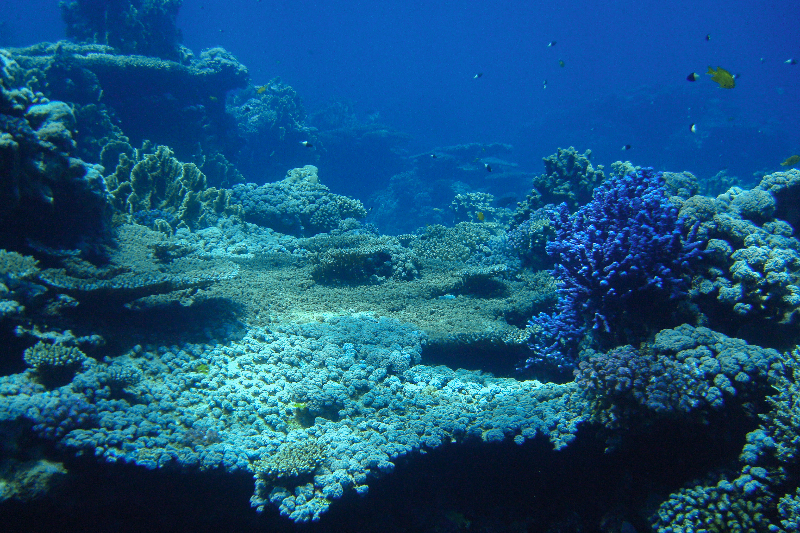 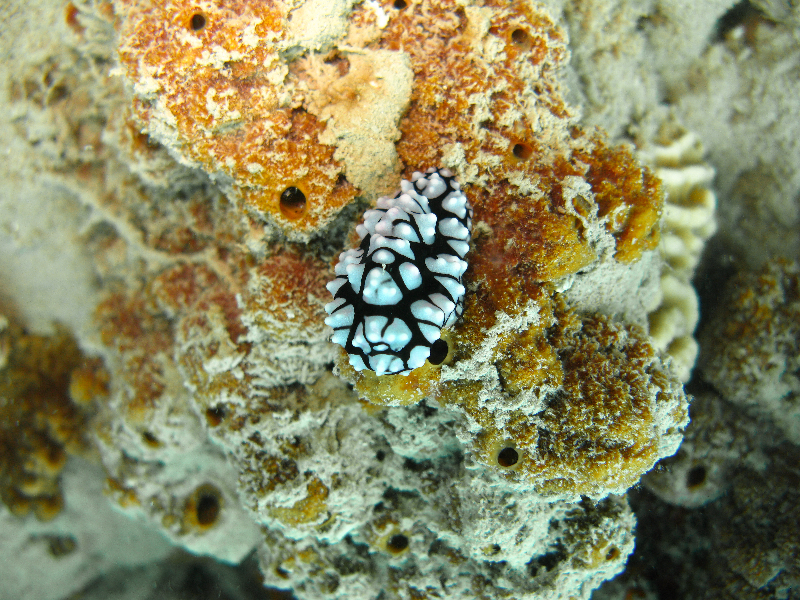 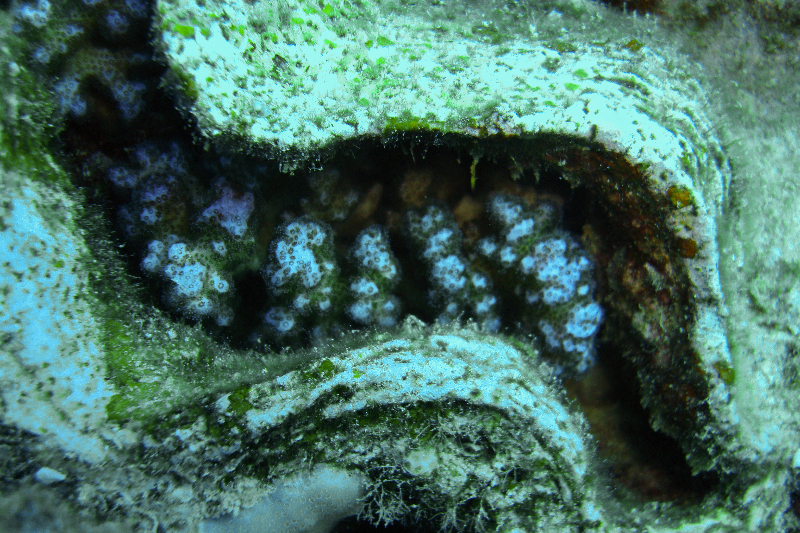 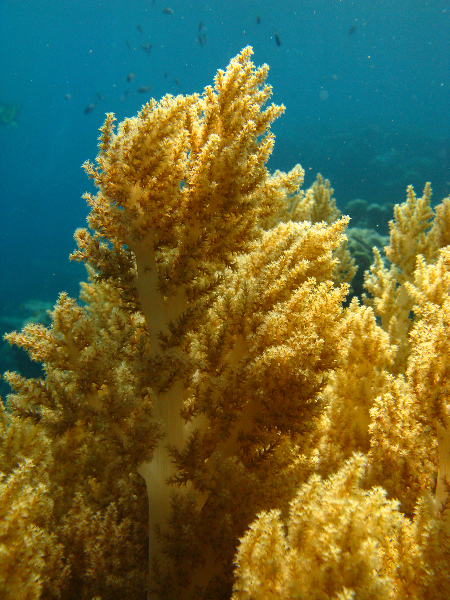 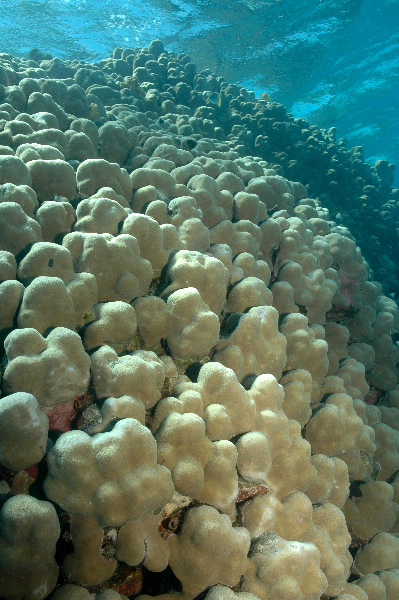 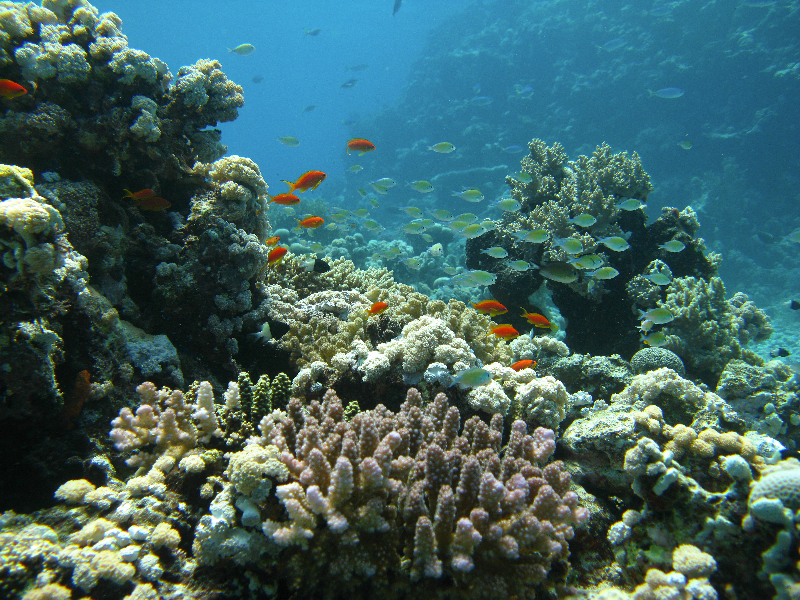 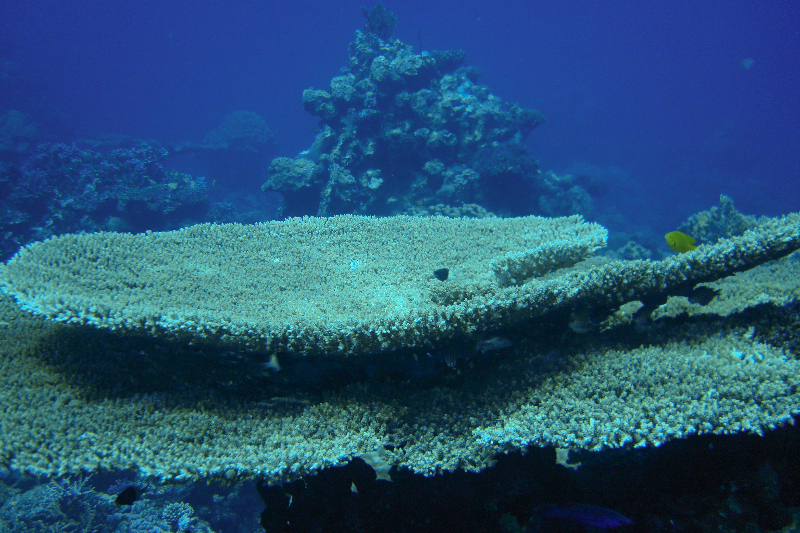 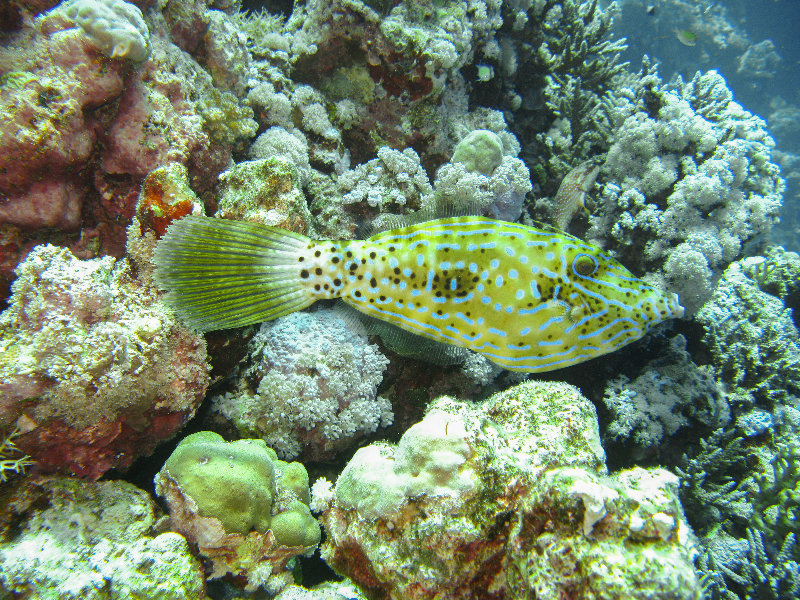 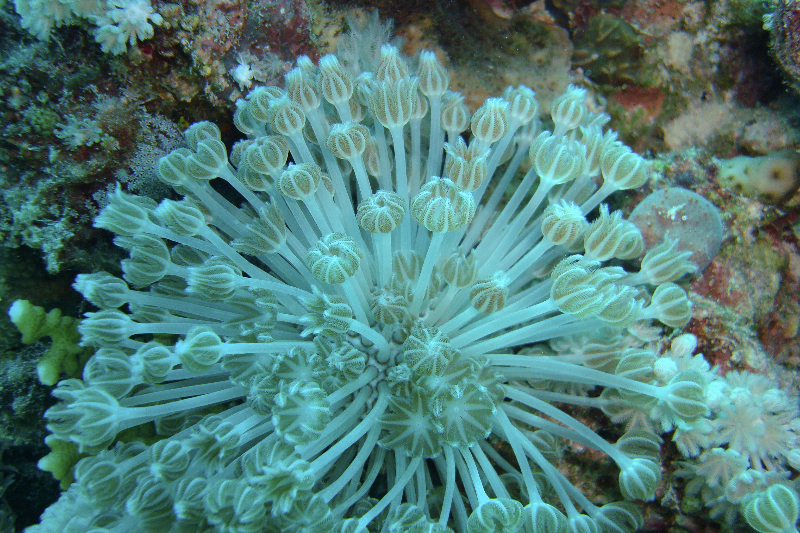 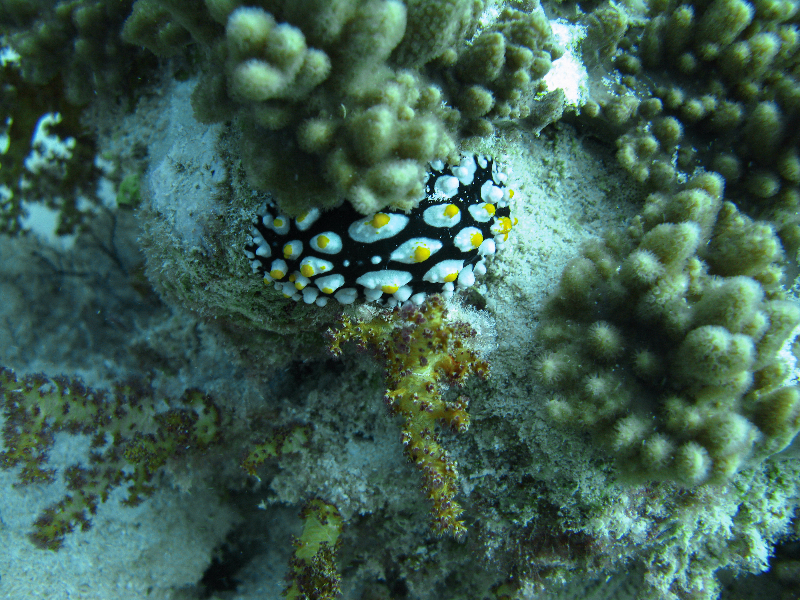 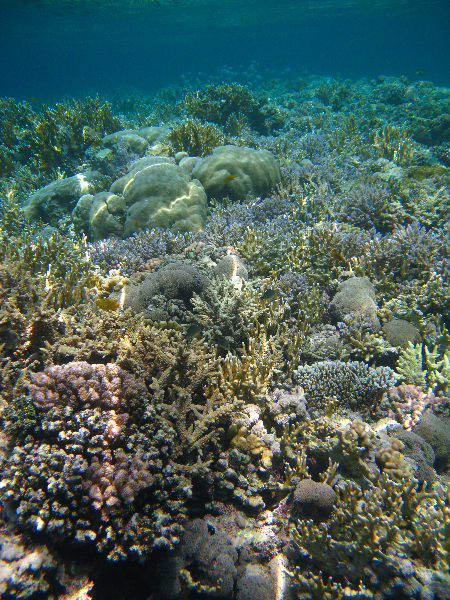 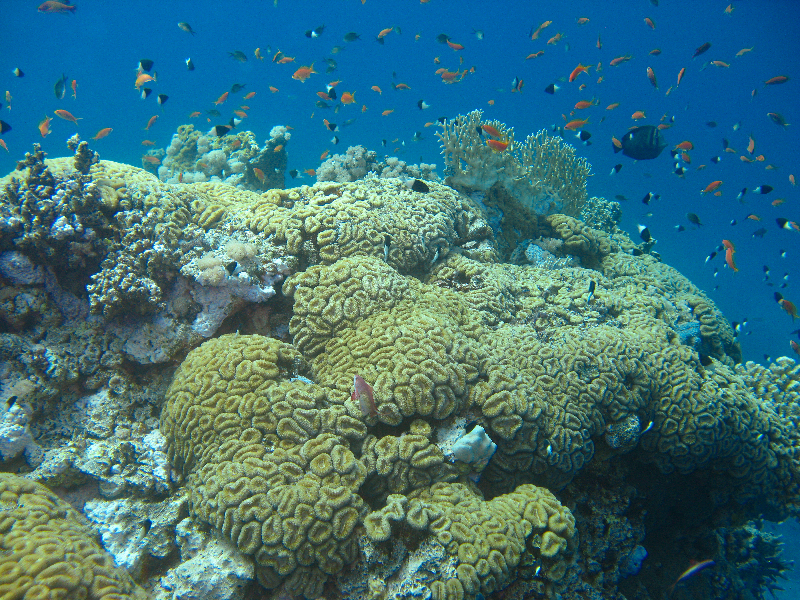 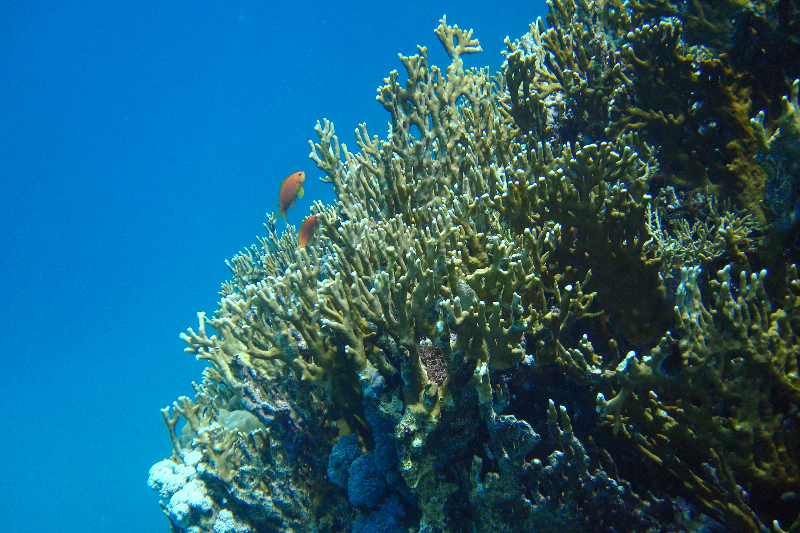 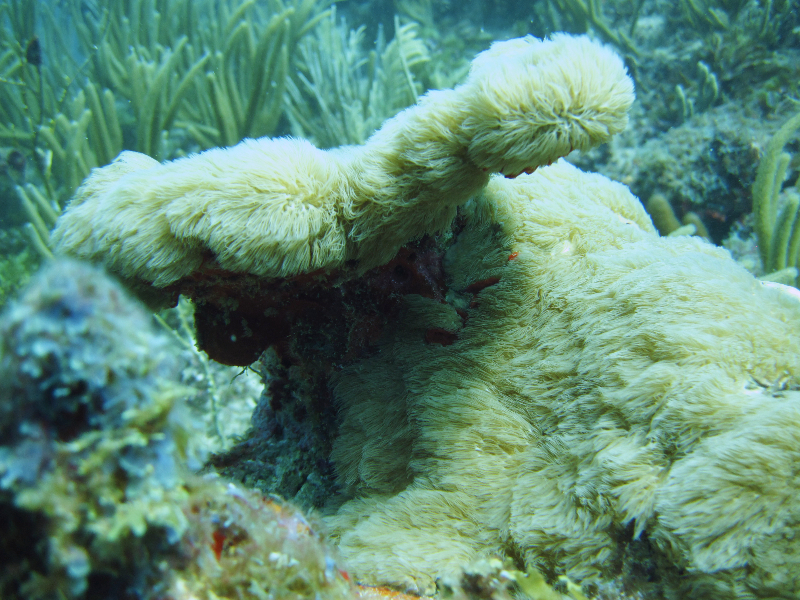 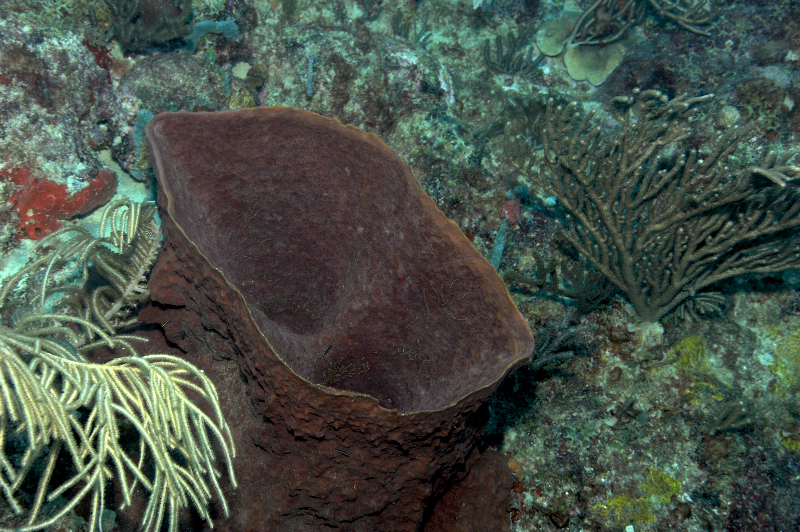 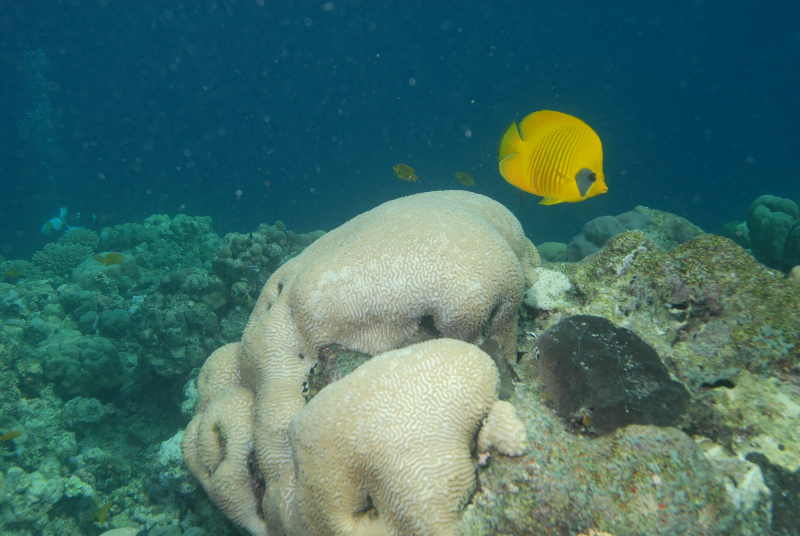 Many types of fish swim through a pillar coral.